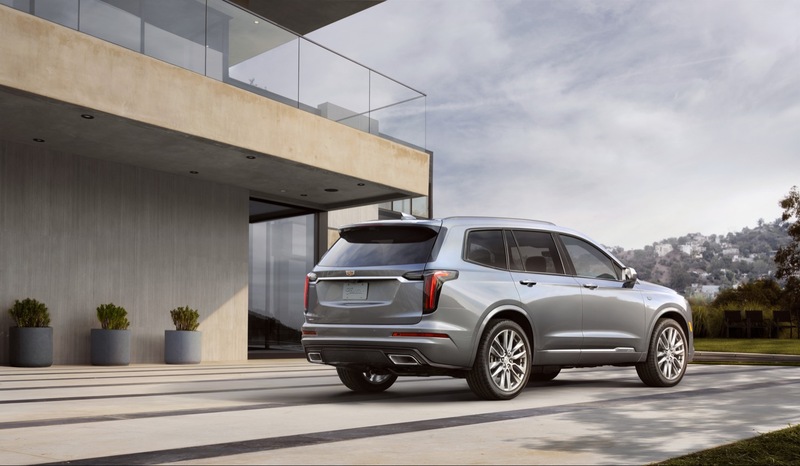 Cadillac and Lincoln are clawing their way back to prominence in their own way. 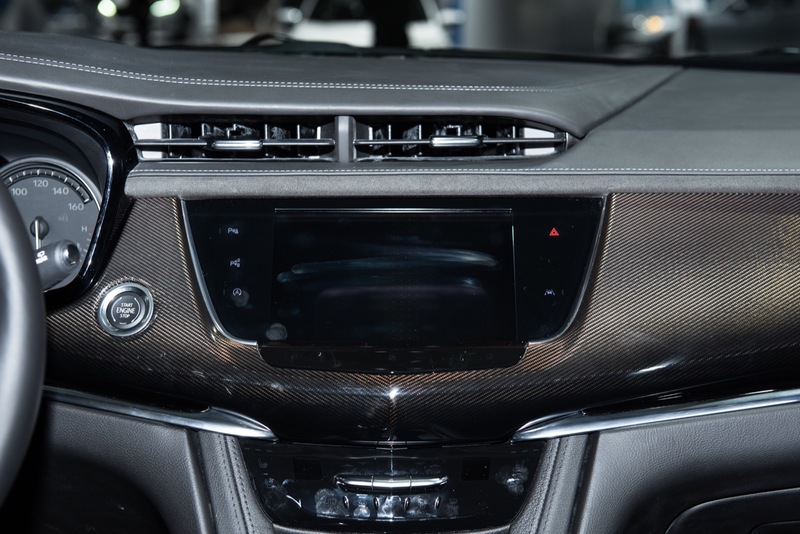 Both have invested vast amounts of time and money over the last few years to develop products that can take on the best from Germany and Japan. However, both are doing so in their own unique way. 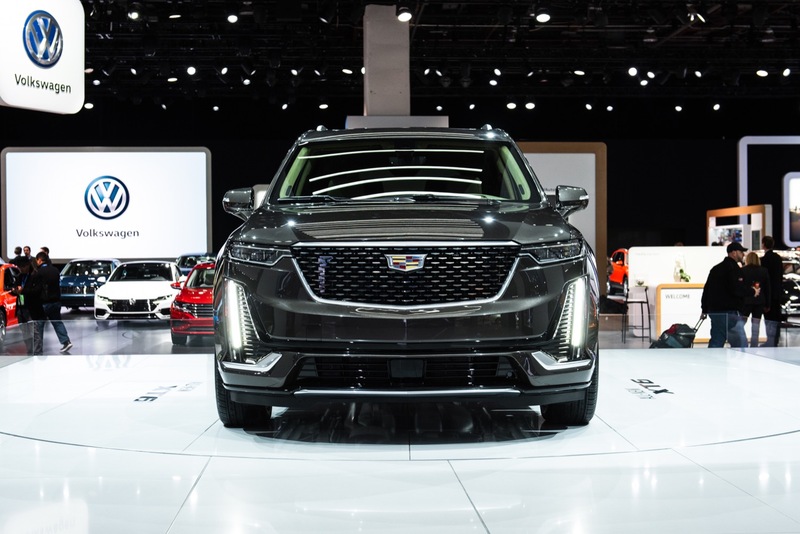 Cadillac is slowly filling out its product portfolio with lucrative crossovers and SUVs, platform sharing with other GM products. 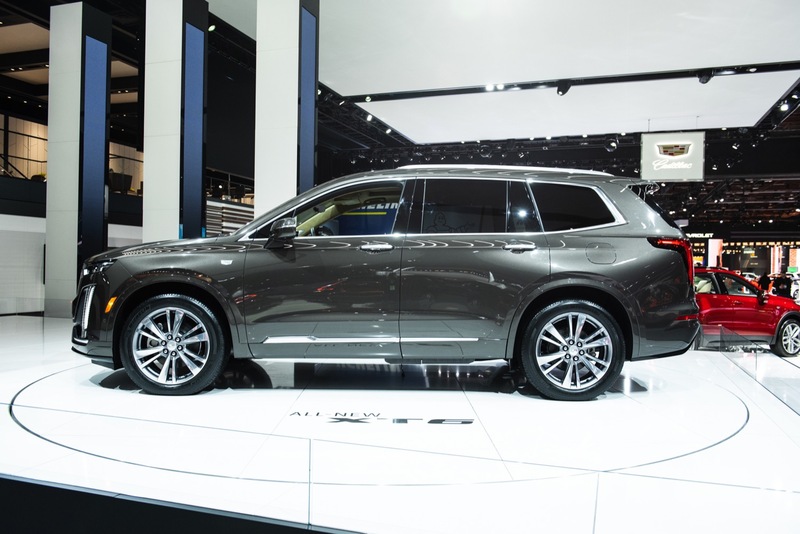 Lincoln, which has suffered from badge engineering run amok, is finally diversifying its products with distinct styling, powerful powertrains, and high-end materials. 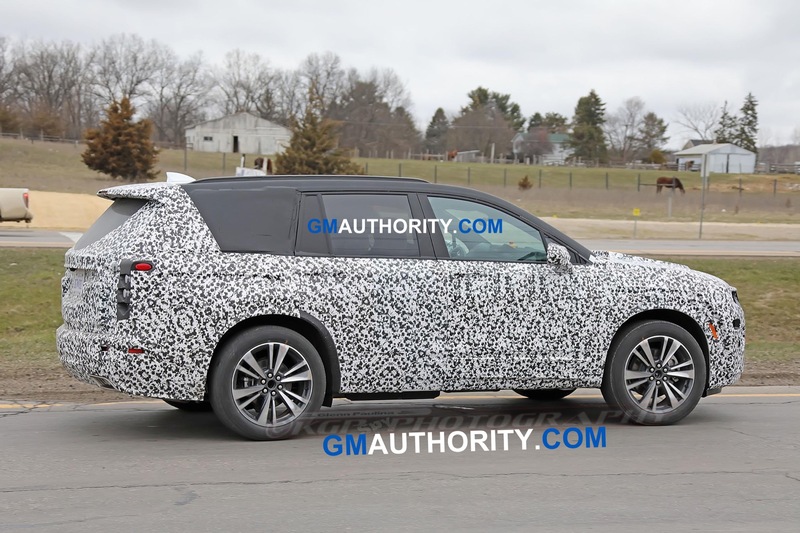 Just look at the 2020 Lincoln Aviator. 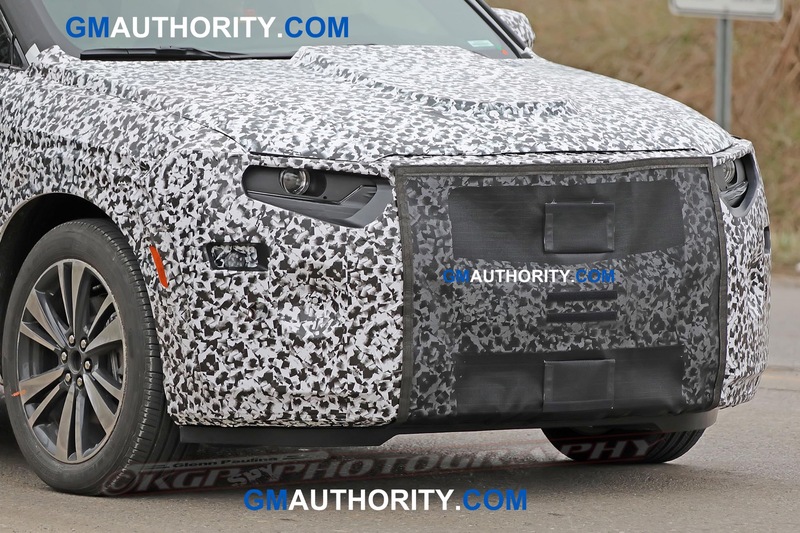 It rides on the next-generation, rear-wheel-drive CD6 platform, and it looks nothing like a Ford. 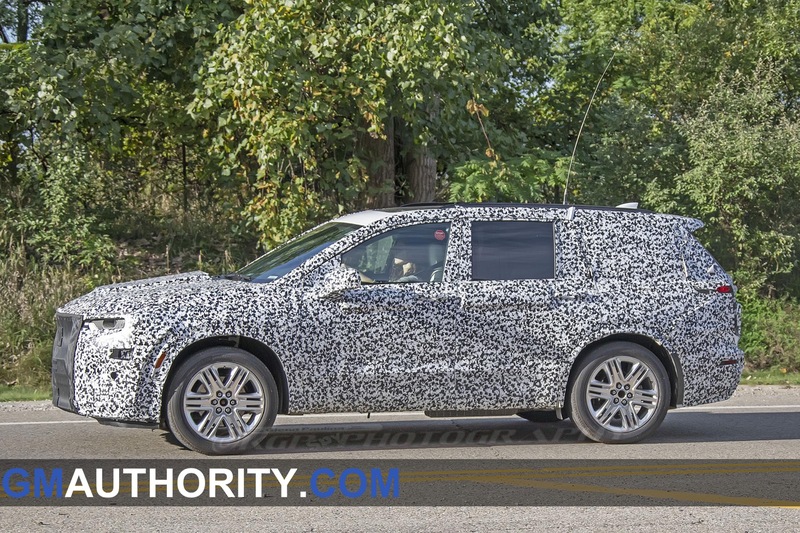 Cadillac is preparing the XT6 three-row crossover, which will slot between the XT5 and Escalade, to launch for the 2020 model year. 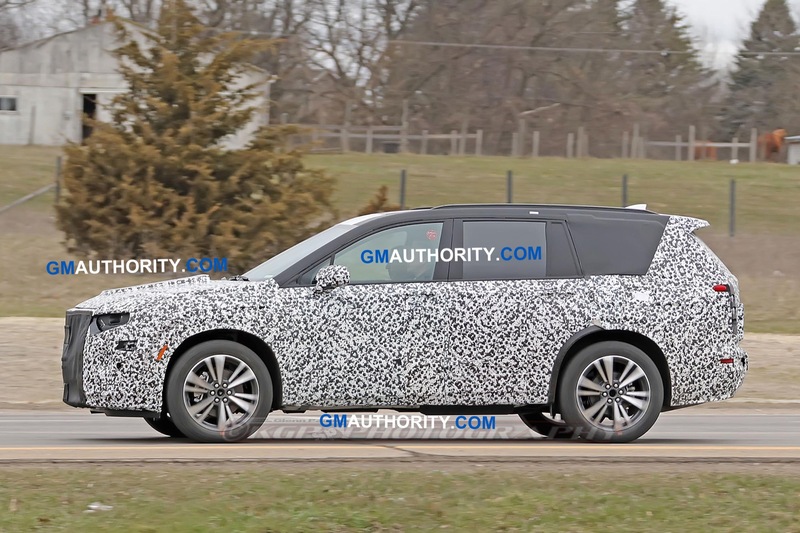 It’s expected to ride on the same extended wheelbase C1 platform as the Buick Enclave and Chevrolet Traverse. 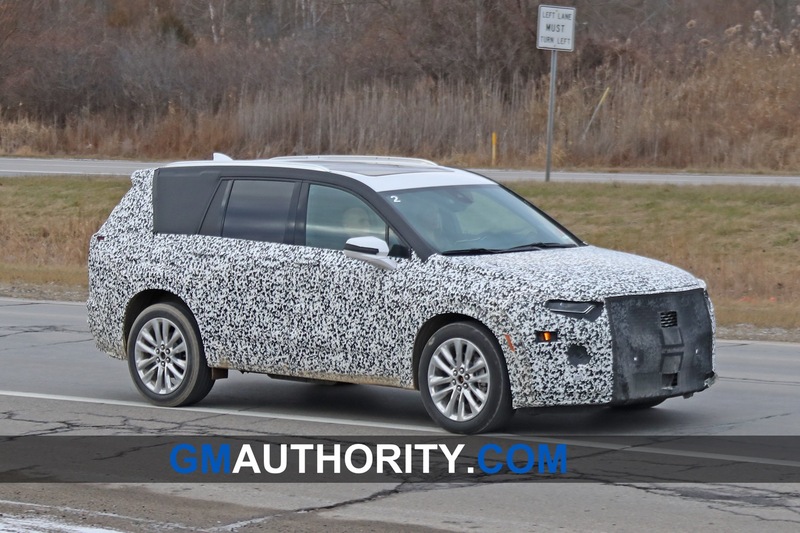 That would mean it’s front-wheel-drive-based product that’ll likely use the same engines found in the Enclave and Traverse. 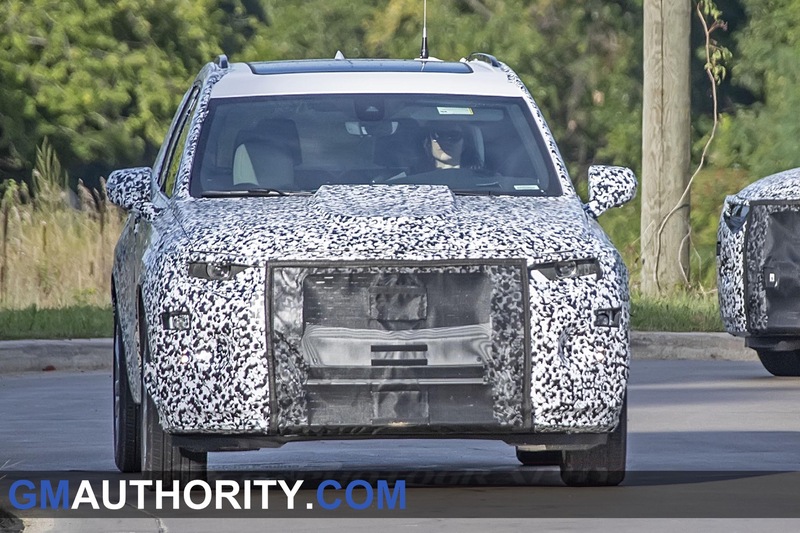 Its distinct Cadillac styling may not be enough to take the RWD Aviator head-on. 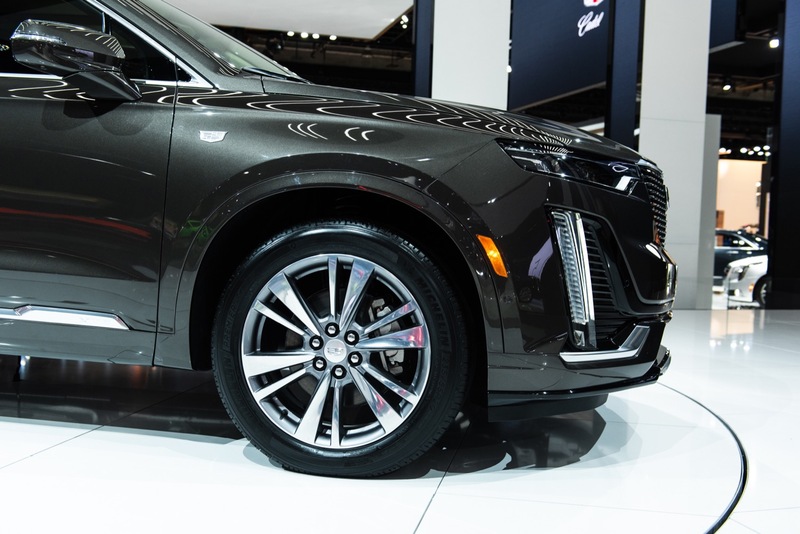 Comparing Cadillac and Lincoln brings up an interesting question. What is luxury these days? 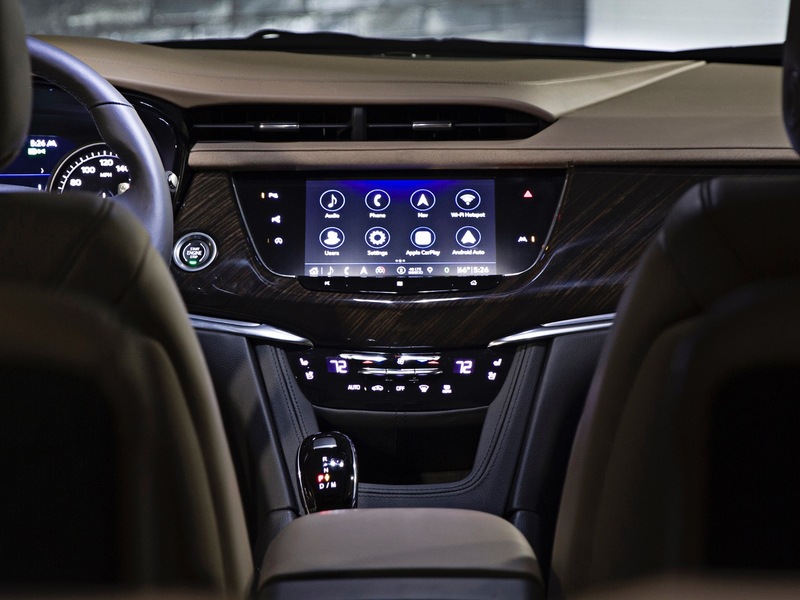 The democratization of technology means affordable cars can come packed with the latest gadgets and gizmos—heated seats, blind-spot monitoring, an upgraded sound system, and much more. 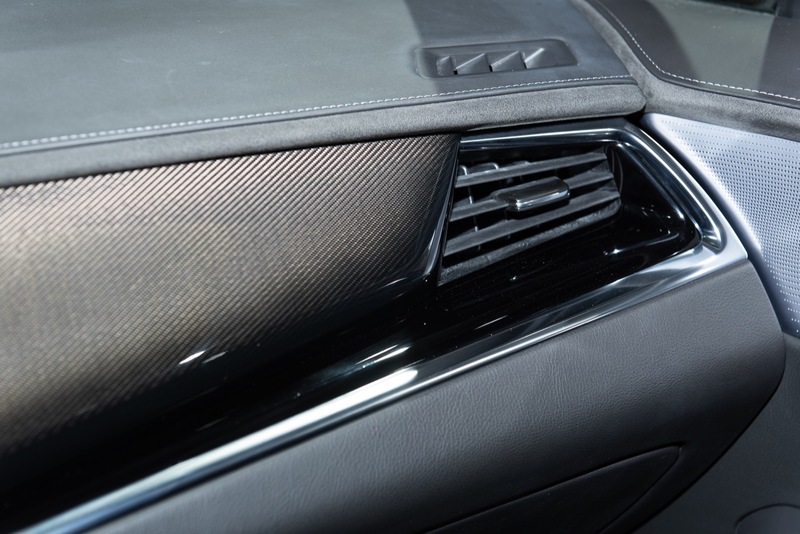 Packing a new car with nice materials and technology is no longer enough to stand out from the luxury crowd. As such, a luxury vehicle needs presence. 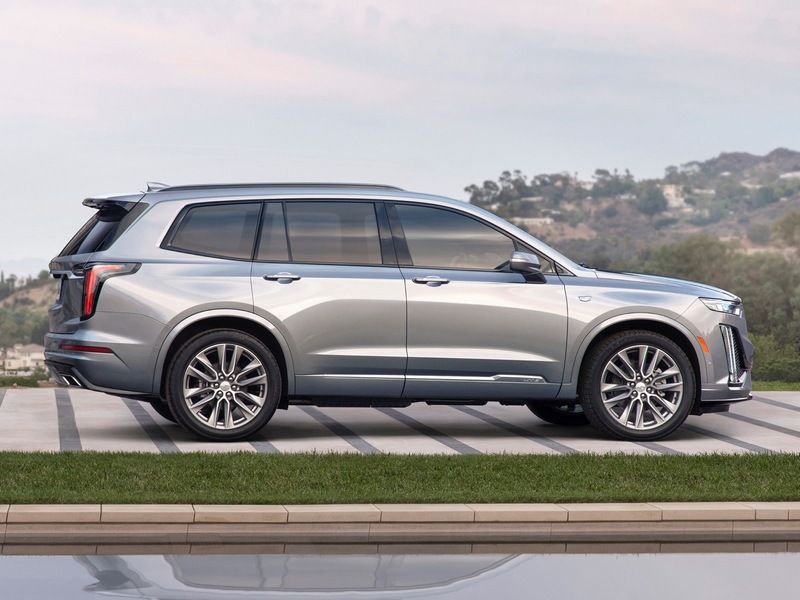 And that’s what the 2020 Lincoln Aviator seems to do exceptionally well at first blush, borrowing what made the new Navigator so successful. It oozes luxury while sitting still. 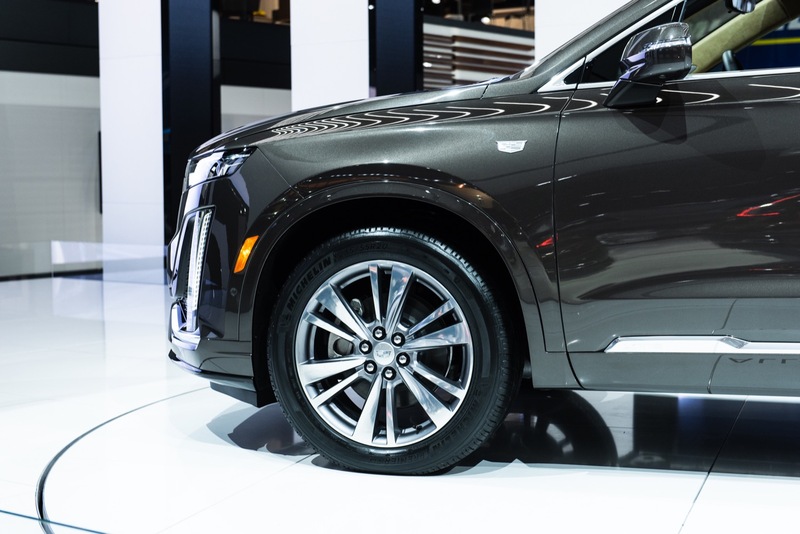 Lincoln has worked hard to define its vehicles as luxurious, creating high-end Black Label trims and packing powerful engines under the hood that don’t focus on the performance like the Germans. 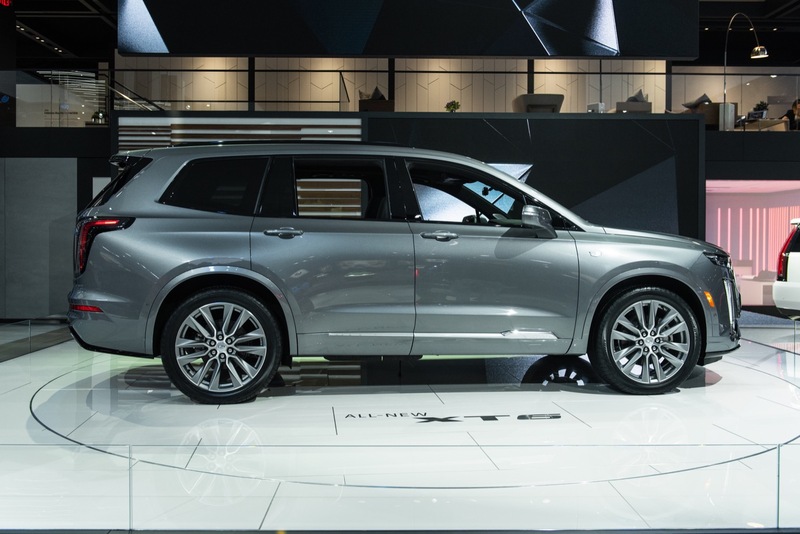 The base engine in the Aviator is a 3.0-liter twin-turbocharged V6 engine producing an impressive 400 horsepower and 400 pound-feet of torque. 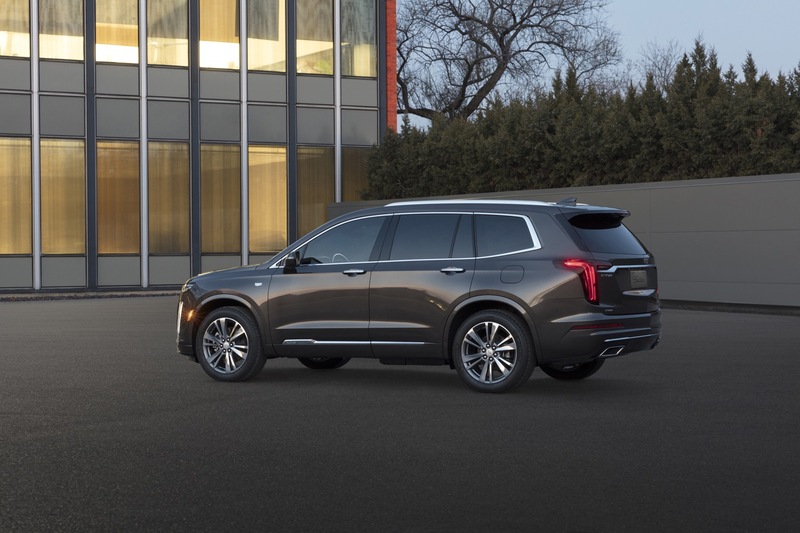 There’s a Grand Touring trim that adds a mild-mild-hybrid system that adds 50 horsepower and 200 pound-feet of torque. Yes, you read that right. 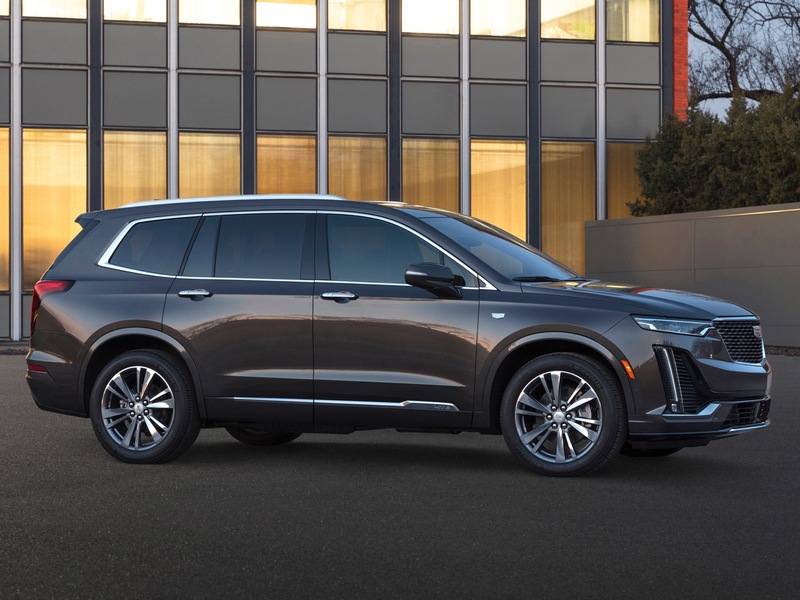 While the Cadillac XT6 and Lincoln Aviator will technically be rivals and priced similarly when both debut, they’re expected to be barely comparable beyond that. 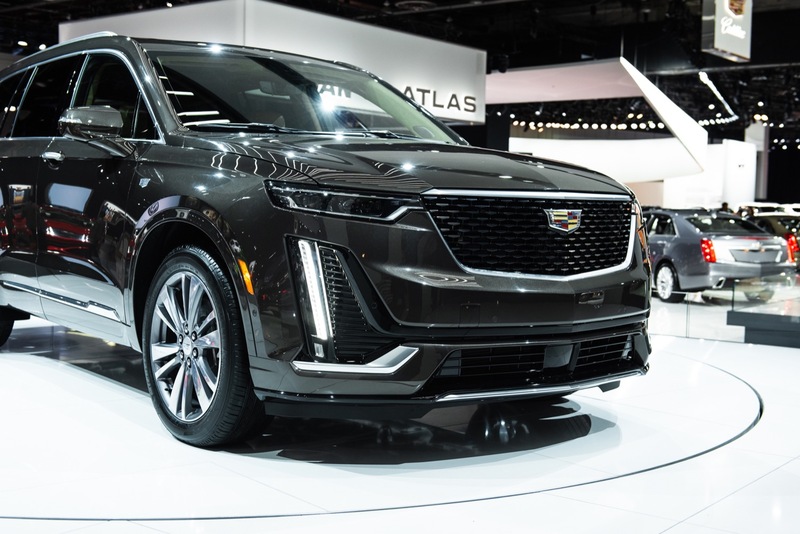 Both offer three rows of seats, but the approach is wildly different, likely leaving the Aviator unrivaled from Cadillac. 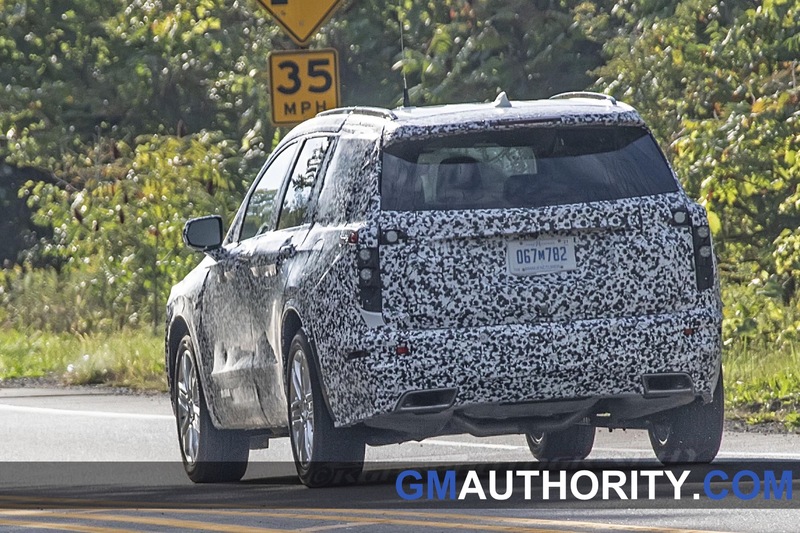 GM is losing the battle. They have lost any sense of sport or excitement save for the Camaro and Vette. 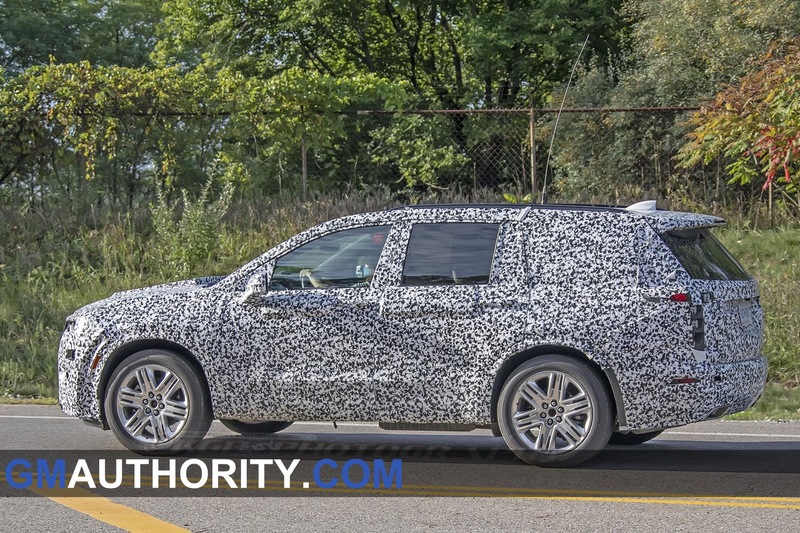 Why should Cadillac be a spin-off from a Chevy? Differentiate or die! Well the Aviator shares is architecture with the Explorer. 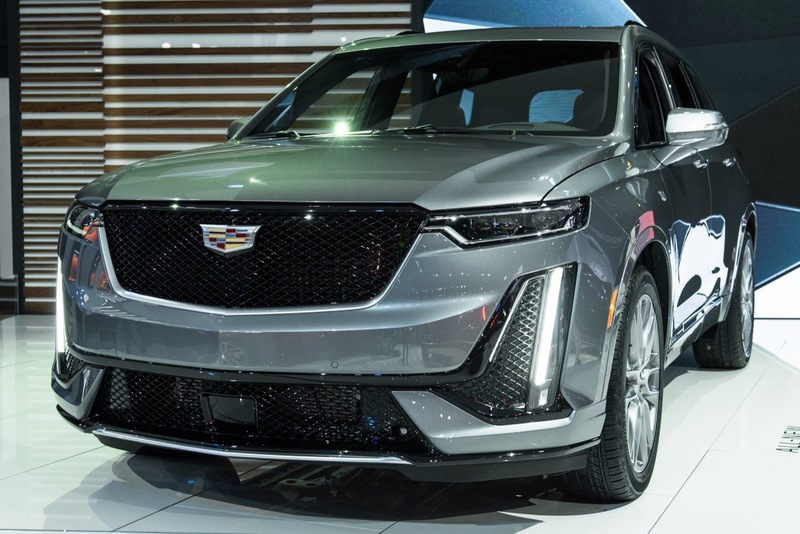 So its not shocking that the Cadillac will do the same. The Aviator looks great from what I have seen. 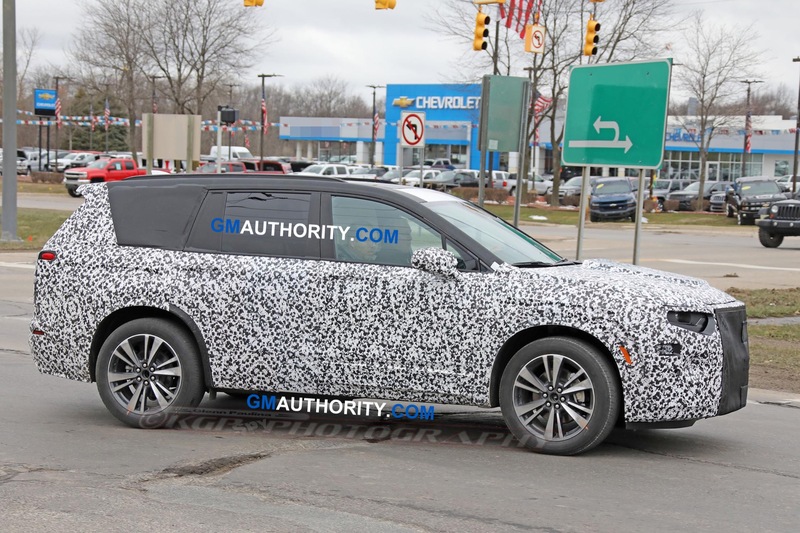 It looks a lot like a Range Rover. 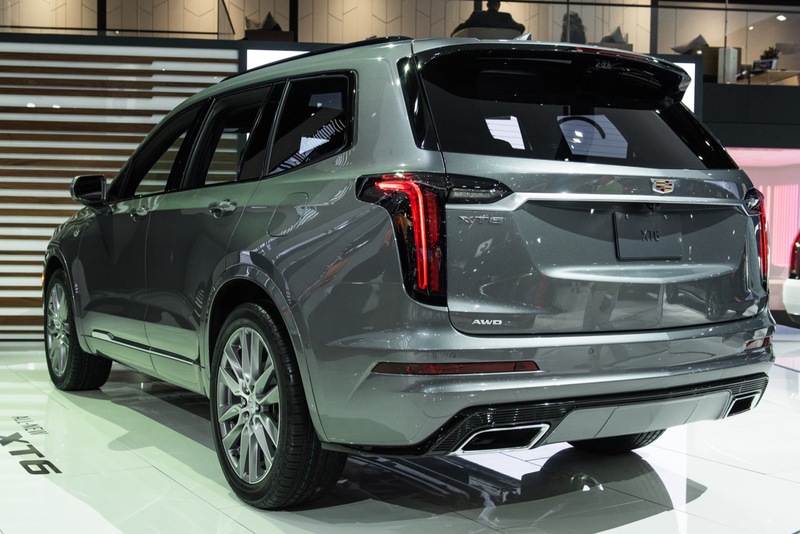 The engine options also force the hand of GM because in no way can they now just throw in the 3.6 (with no other options) and expect it to sell well. You can’t say you’re the standard of the world and only offer a 300 hp engine when the competition is well into the 400’s. 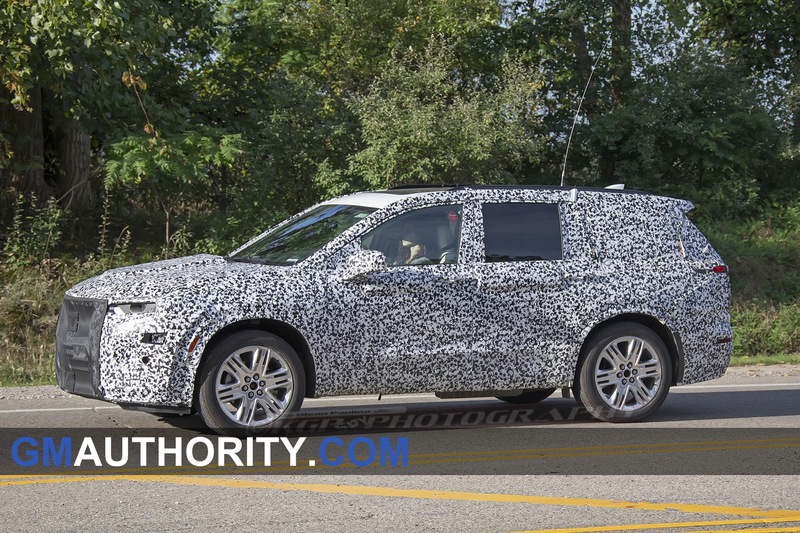 I’m really hoping Cadillac shocks us with the XT6. 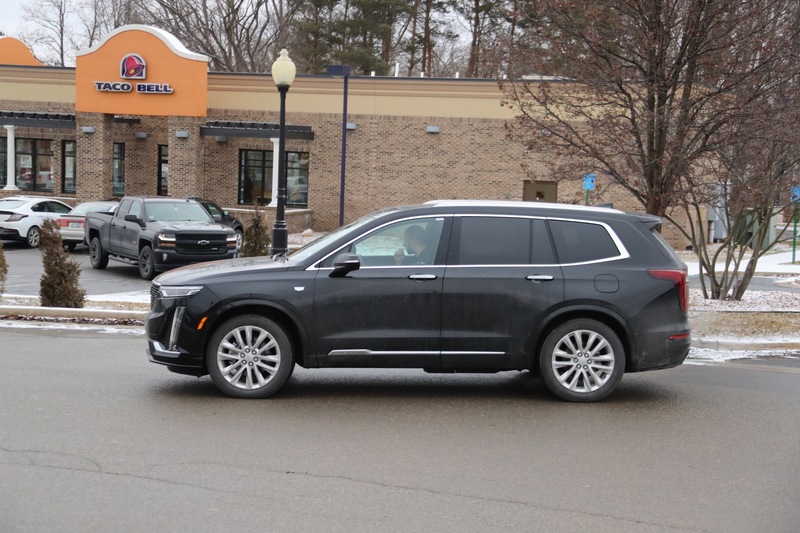 I saw my first XT4 on the road recently, black with sport trim and the long DRLs. Looked great. The hp and torque should be higher but from the exterior the car is sharp. 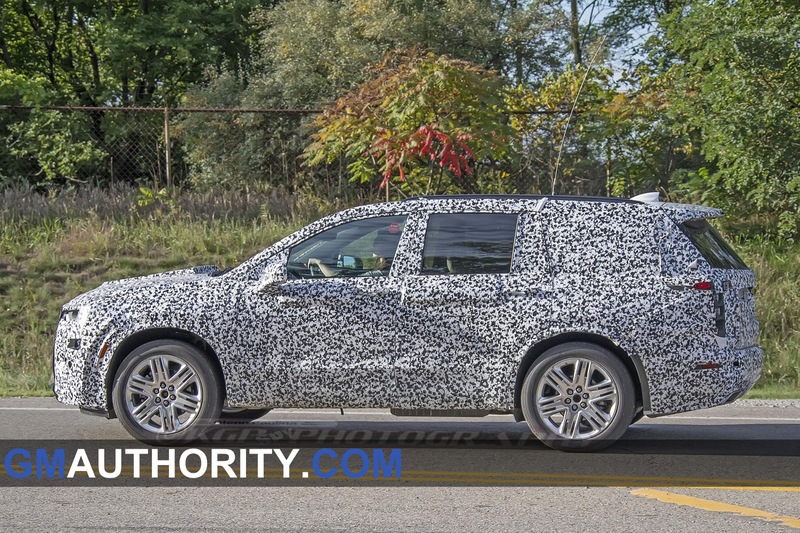 GM will probably stuff the 2.0 and 3.5 in the XT6 and call it a day. Barra wants 10% profit margin and this probably has something to do with the slew of cars being cancelled. 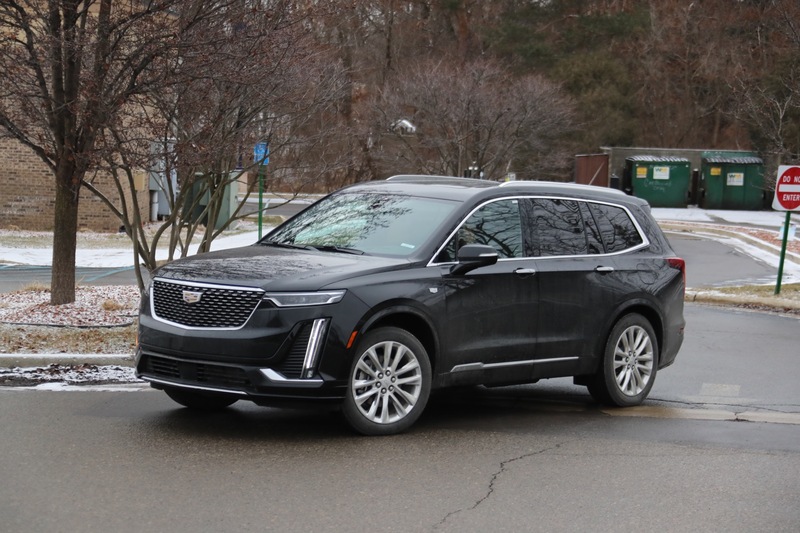 I can see the CT6 cancellation being a bargaining tactic for the union negotiations. No way in hell they’d spend the money to refresh it and develop a new V8 just to cancel the car. It’s probably best that Johan left. He wanted bigger and better things than he could get. Imagine if JDN, or any other leader, could truly get the funding this brand deserves. 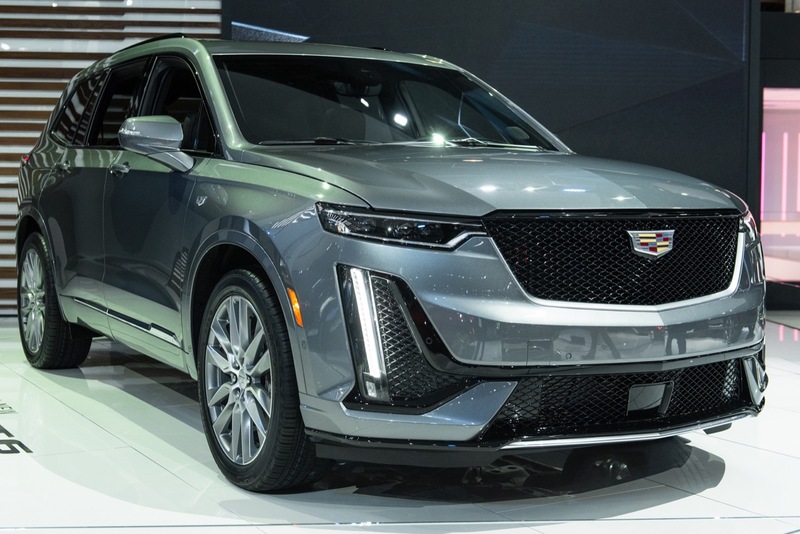 Cadillac is basically a Dead Company right now. At least in the NA market. 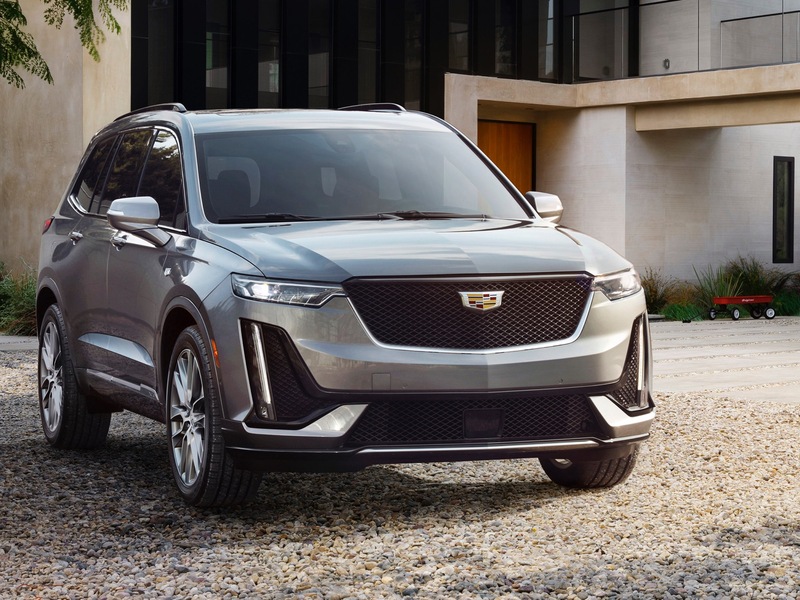 GM only cares about the money coming in from China. But how long will that last? 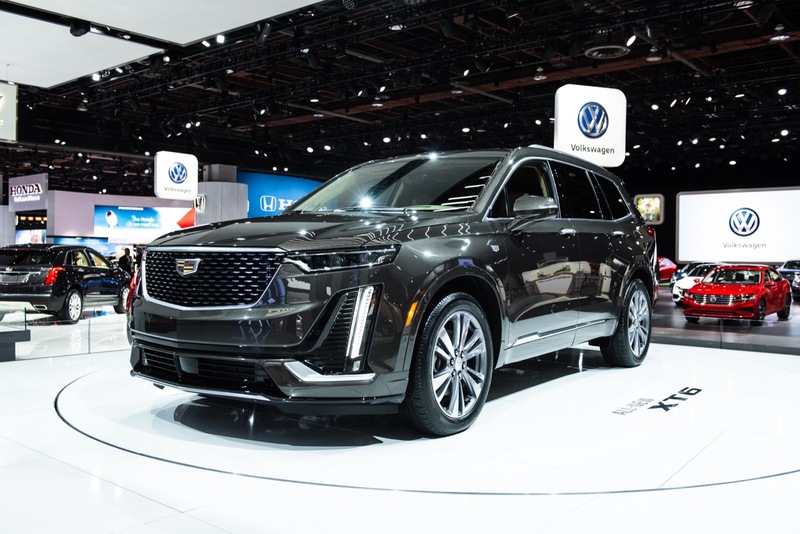 Has anyone seen what BMW/Mercedes/Audi are releasing right compared the barely adequate vehicles from Cadillac? 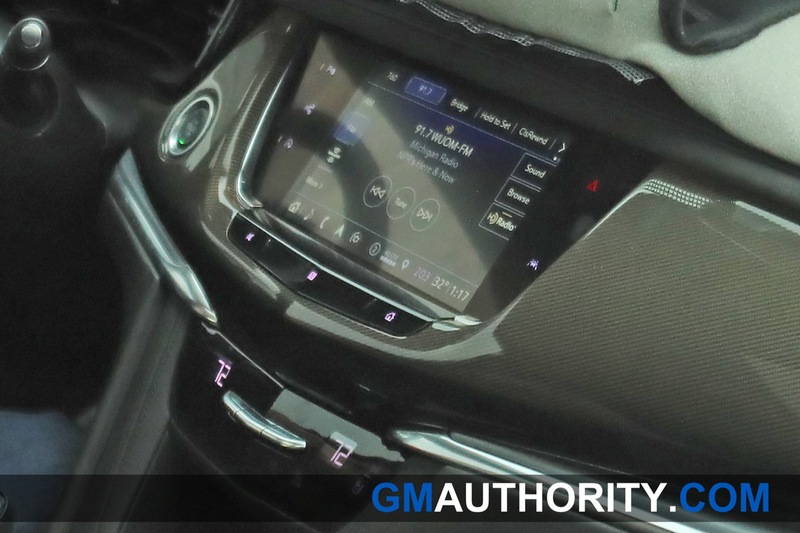 GM is just ridiculous. 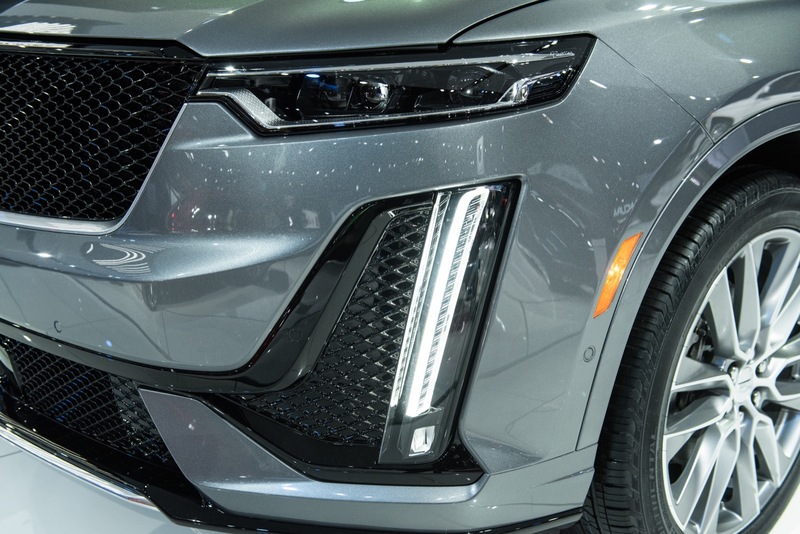 How they got rid of the Cruze while selling so many of them instead of just making it better to be a real comp;competitor tells us all we need to know about GM right now. It is extremely disheartening to say the least as a huge GM fan. Especially for me, I have had a soft spot for Cadillac ever since I can remember. And no, I am not old to remember the Glory days. 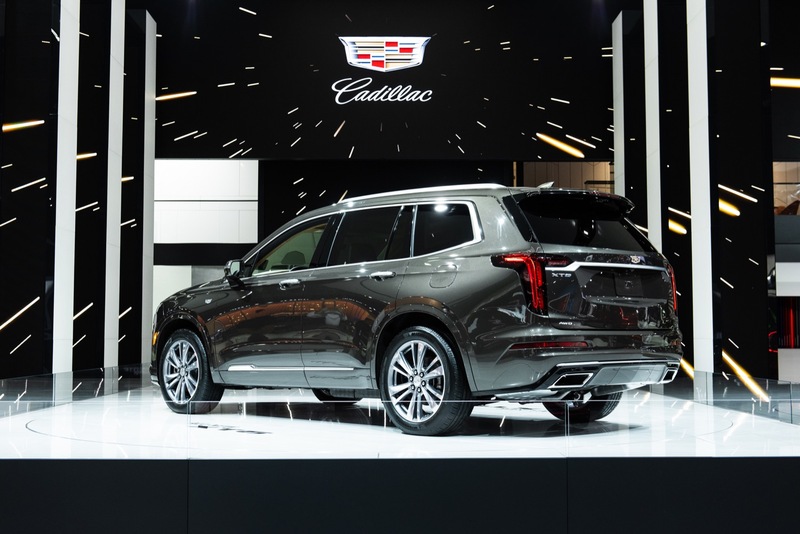 I grew up with Cadillac being an after thought in the Luxury market. Johan would’ve turned them around if he was allowed to fulfill his vision. No doubt about it in my mind. Hate to say but Aviator will be better I guess. Don’t forget the 2.0 T standard motor. 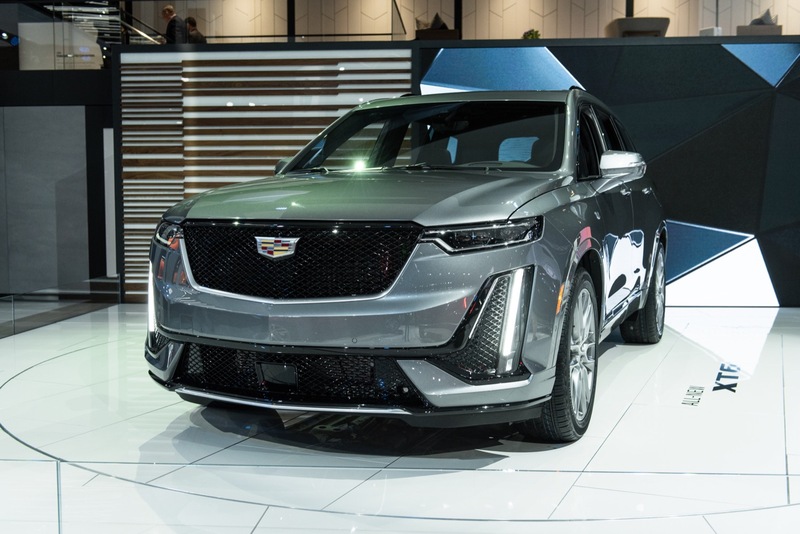 What a JOKE from GM-Cadillac. 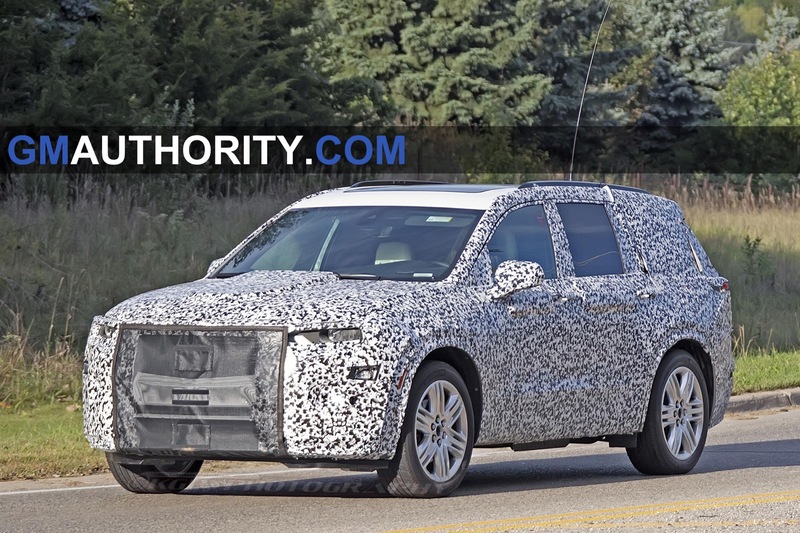 Ford couldn’t copy more of the Q7? Lincoln did a very good job with the Aviator. They’re not there yet (for me), but they deserve a round of applause & B+ for effort. 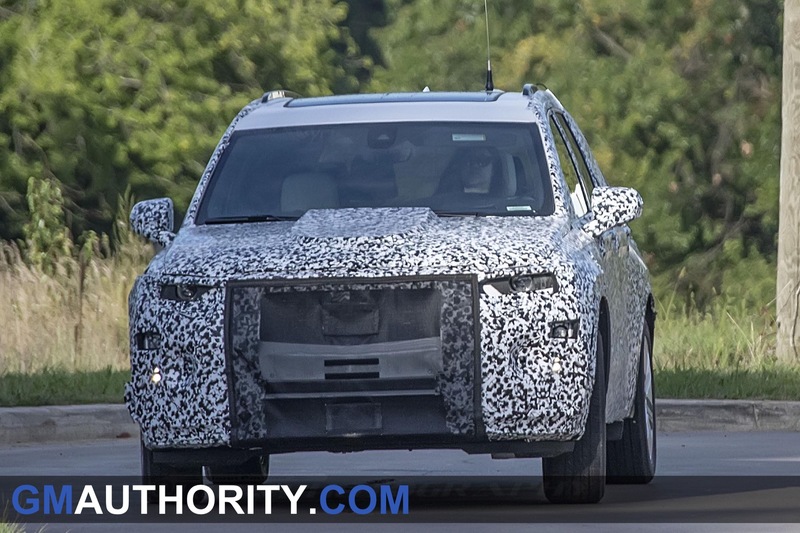 The Aviator will most likely crush the XT6 in the powertrain & chassis department. 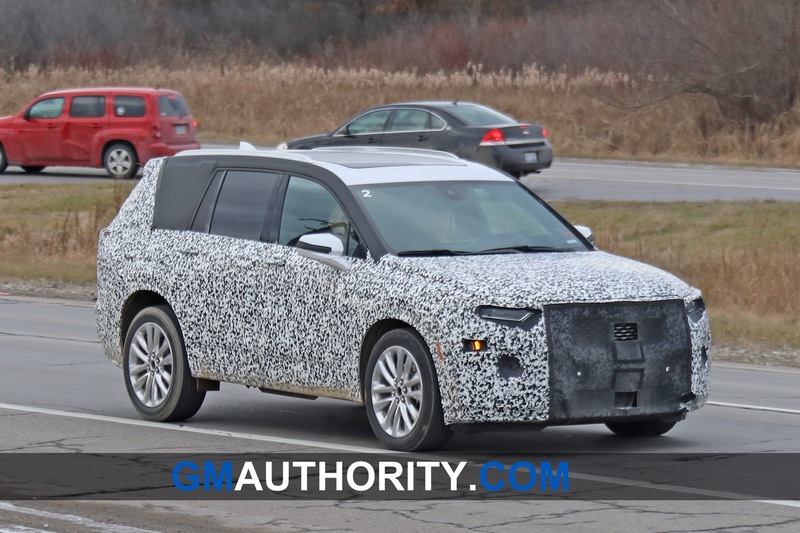 I think we all what engine will end up under the XT6’s hood. The wild card will be the refinement of the Aviator’s engine\transmission. 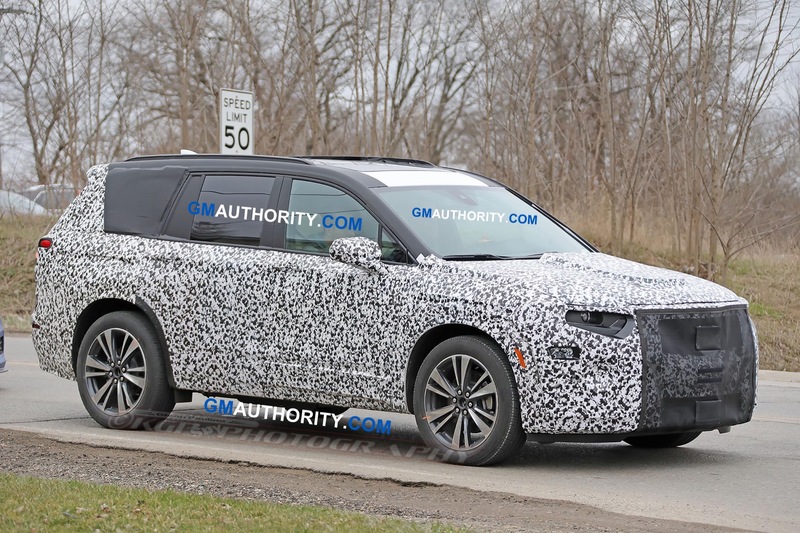 Exterior wise, although the Aviator have the RWD proportions, it looks like a Honda with an Infiniti front end (to me) & Cadillac could have a fighting chance here. Will they deliver? We’ll find out in Detroit come January. The interior design is potential bloodbath though. 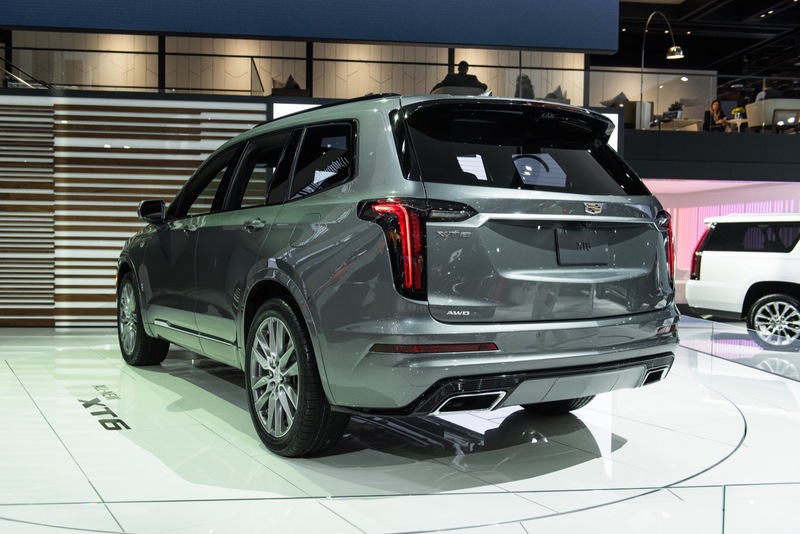 If Cadillac doesn’t leave the XT5 design in the past & the CT5\XT4 designs in that price bracket, its over regardless of its quality, fit & finish. The Aviator might have the best interior design an American car company came up with in recent memory (the bar was very low anyway), but It still fails in some areas like the Navigator (to me). 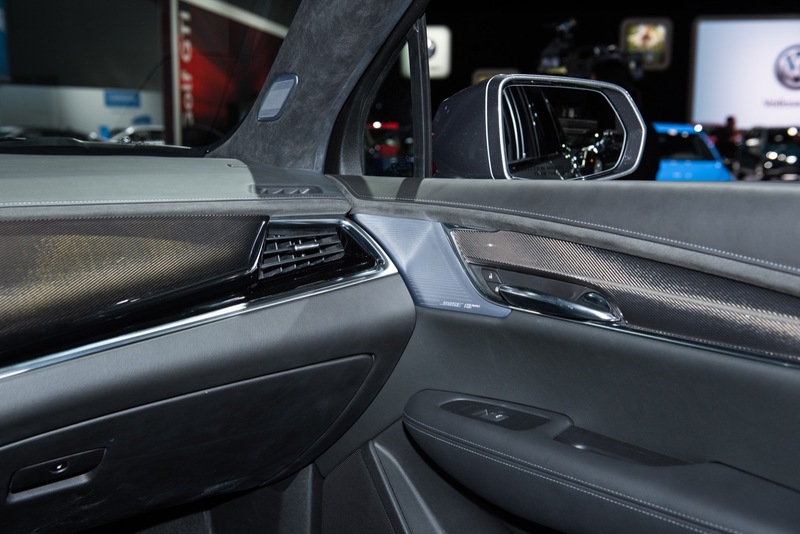 Lincoln will win in the interior color & trim department. 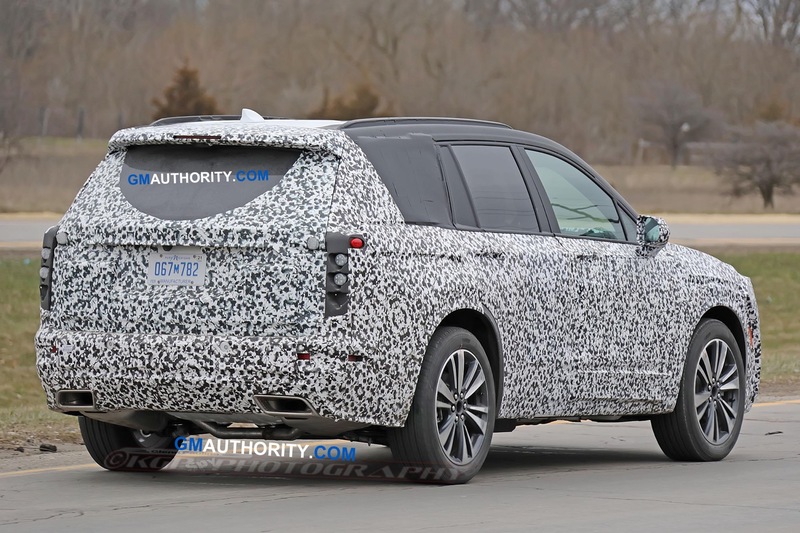 The XT6 will most likely have the same boring Cadillac palate we all come to know very well. 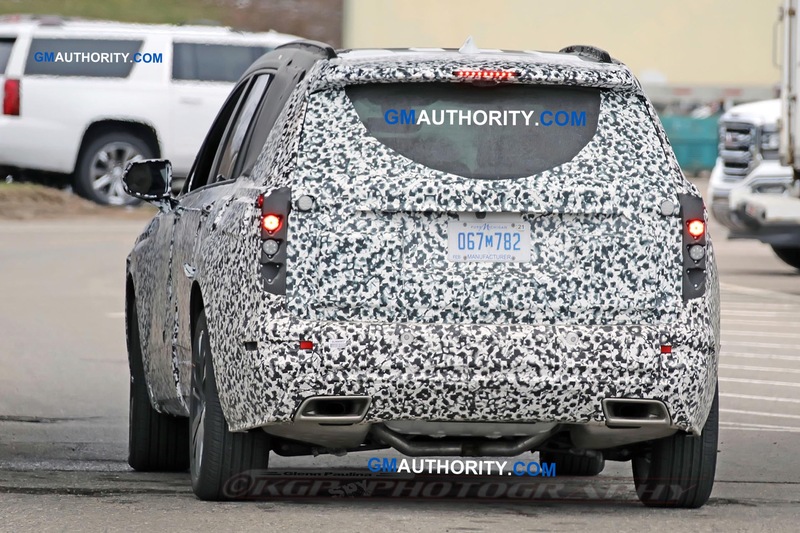 If GM fumbles the XT6 (& probably will), their asses will be handed to them & they’ll deserve to be laughed at. 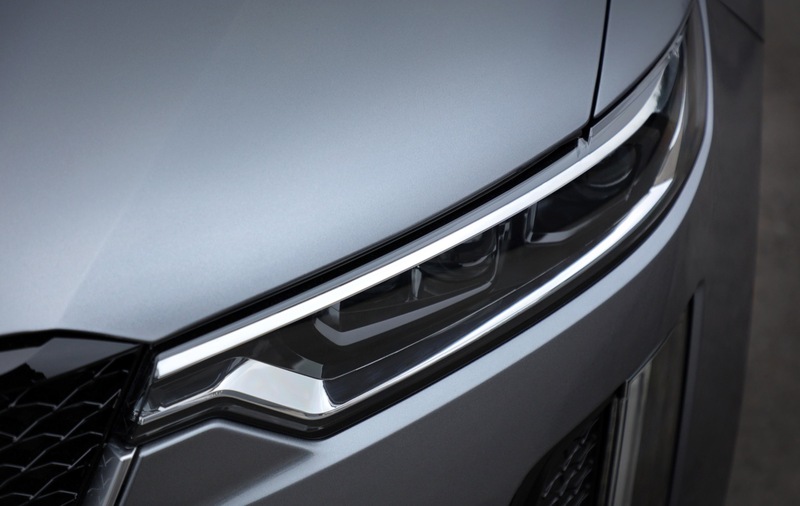 The Volvo XC90 came out 4 years ago & everyone took notice … Just look at the new X5, GLE & Aviator. You know bad you have to be for frickin Lincoln to beat you? They should make a non-turbo version of the V8 and use it as the base engine instead of the 3.6 V6 the other versions have. 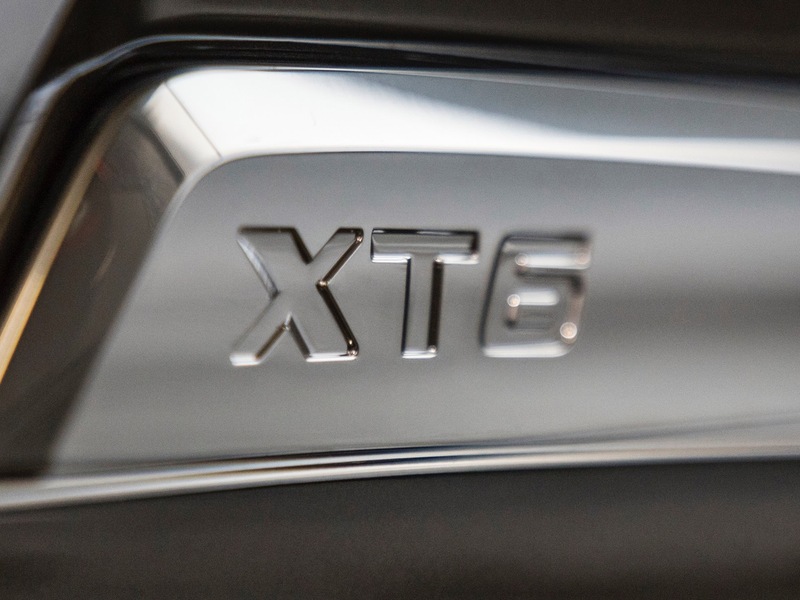 That will help justify the higher price and spread the development & tooling costs of the V8. 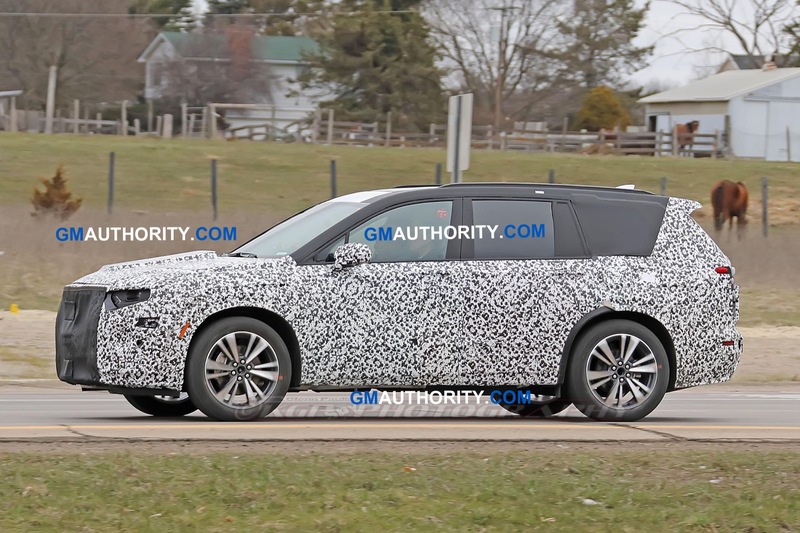 They could do the same for the CT5. Instead, they might put the 3.0TT in after a year or two. 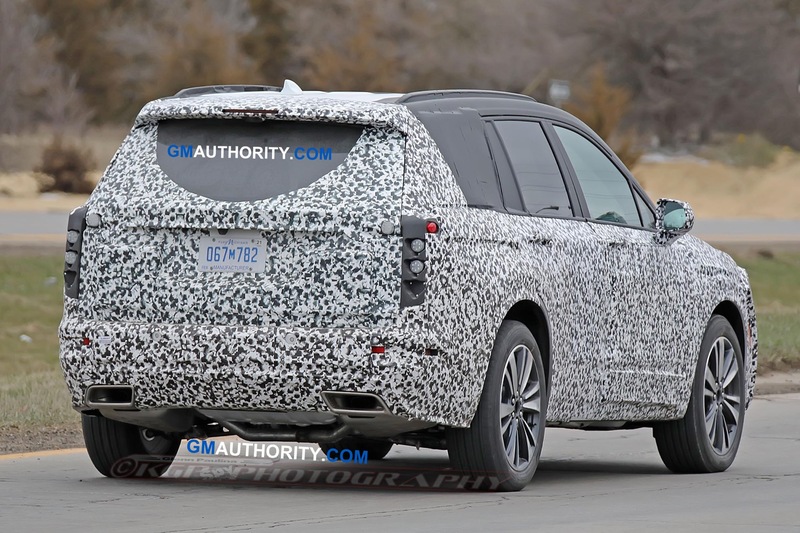 Correction; Chevyllac/Chevallac Unlikely To Rival Lincoln Aviator or anyone else who’s legitmate. Are most of the comps RWD? 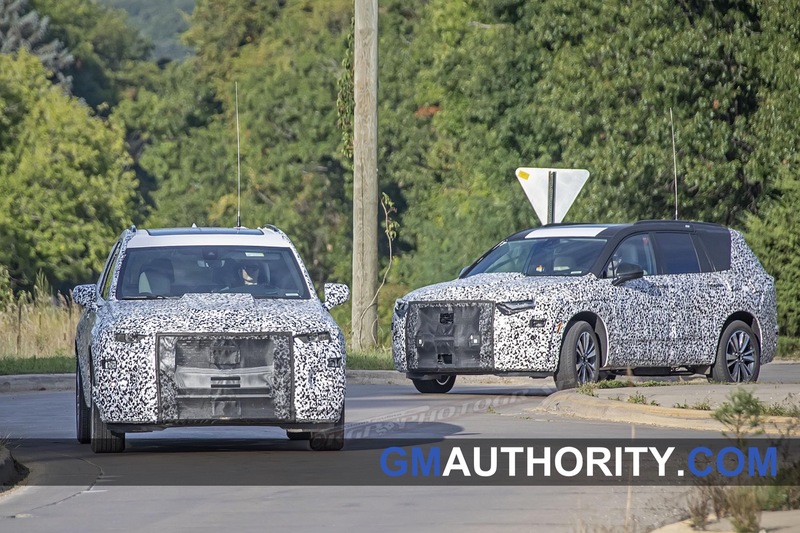 X5, GLE, Q7, and others? I am asking. 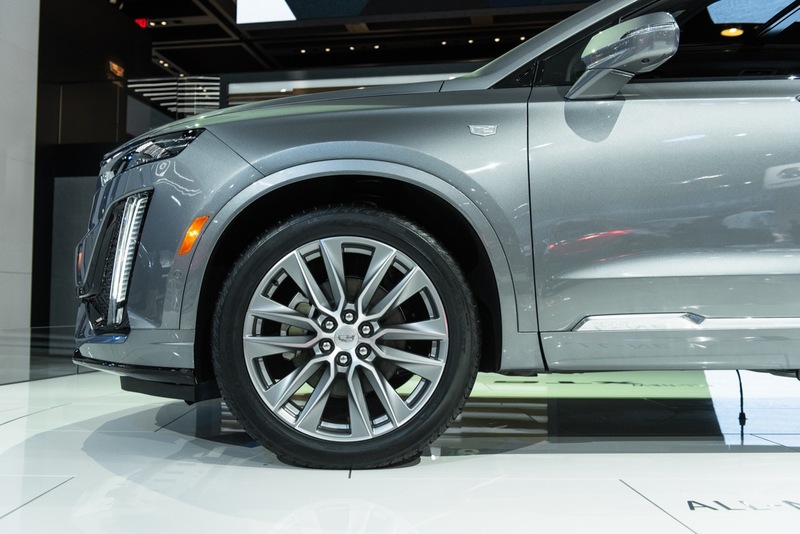 I think this new Lincoln is very nice. 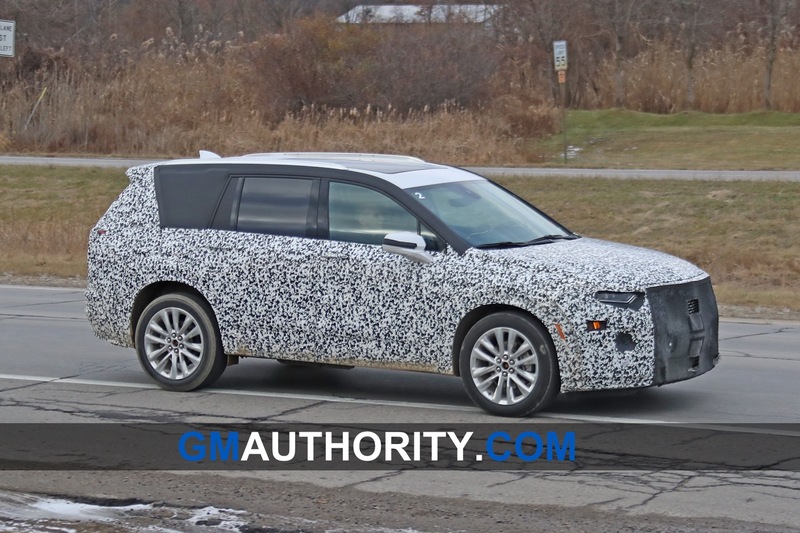 It is Lincoln’s own take on a mid size luxury SUV. I like the low slope roof line, the interior and power. Come on Chevallac, as I stated before. Don’t be last to the party and be the worst at the party. It was just done with the XT4. Chevallac you have to be like; y’all seen the rest now here is the best! I am gunning for you Chevallac! Maybe one day I can call you Cadillac again. So many let downs; Allante, Cimarron, Catera, XLR, ELR, SRX, DeVille, DTS, DHS, STS, SLS, Seville, Fleetwood, Brougham, CTS, ATS. I mean what the hell is a Cadillac nowadays? CT5, CT4, and XTsss-whatever. 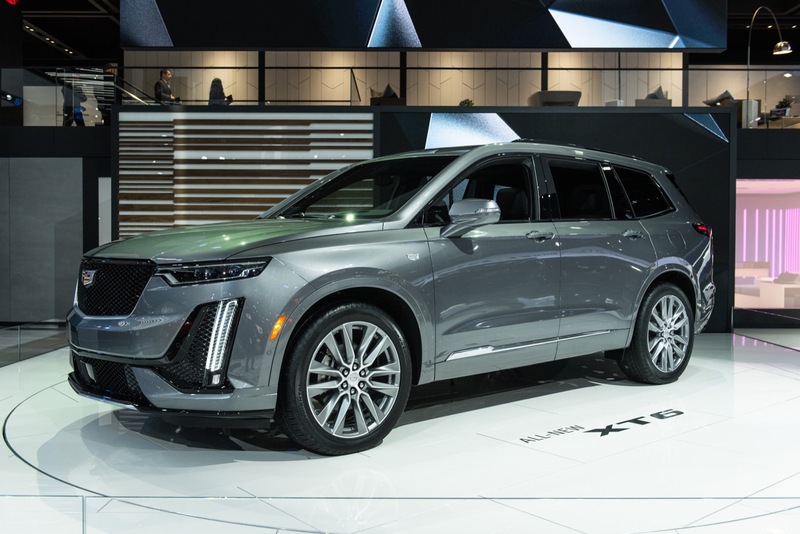 So if these upcoming cars fail they start a new line of Chevallacs with new names and say we are ready to take on the world in 2025/26? Get it together Chevallac! 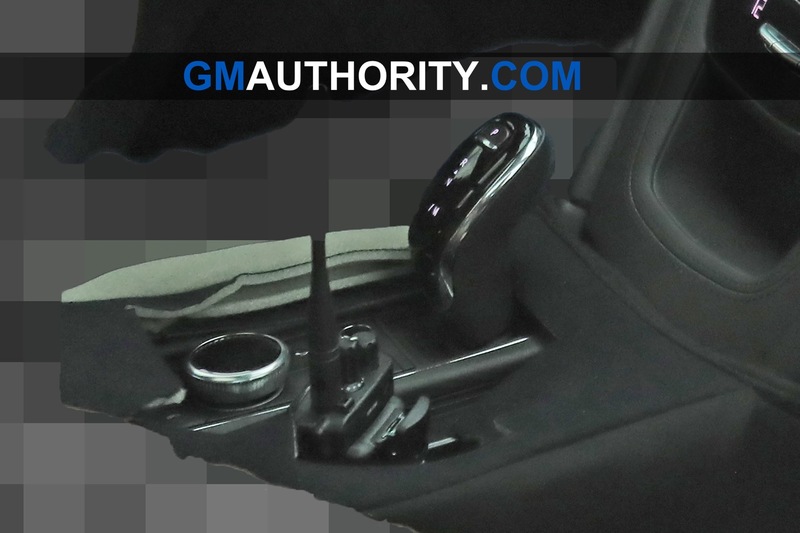 General Motors keeping it very..generally generic. 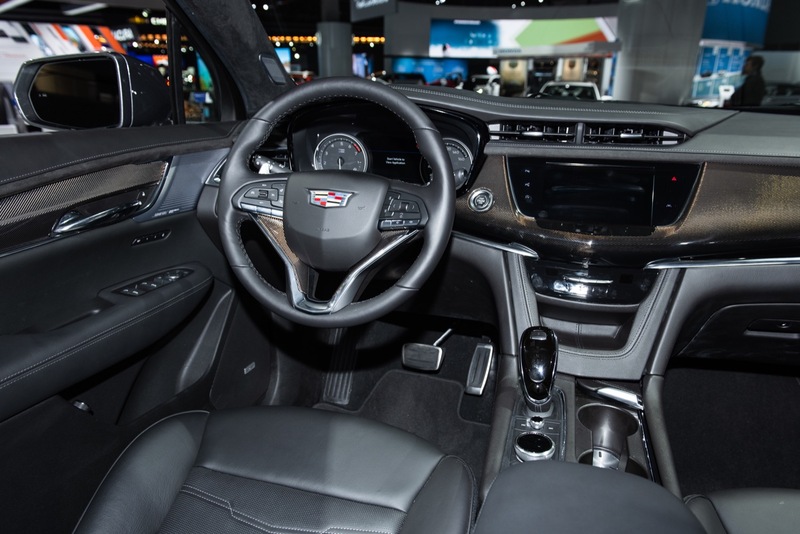 The Aviator is a great looking vehicle, and the interior will blow any Cadillac away. The Aviator is very impressive technically but most of the technology is nothing new to talk about but it could be first in this segment. 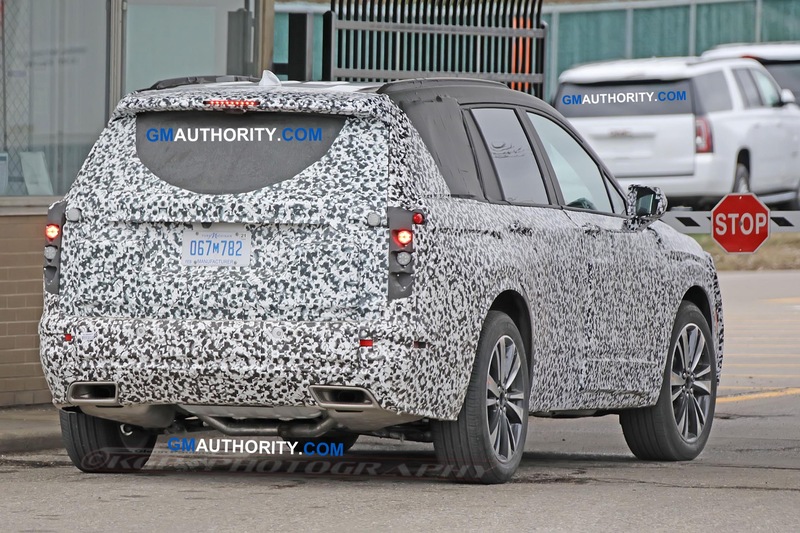 Also, the exterior design is a mix of Range Rover (profile) , front end is Jaguar (grill) and rear-end is anonymous. 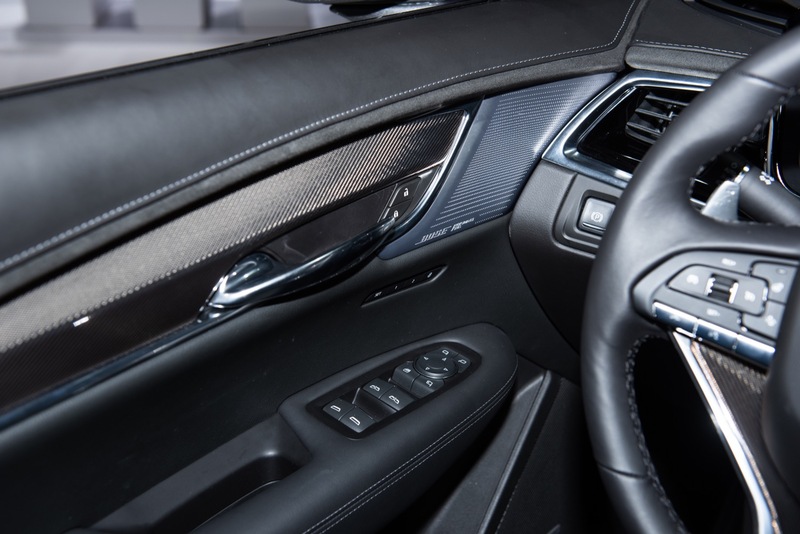 Although the interior design is gorgeous, why can’t Ford go all the way and have brushed aluminum or piano black buttons on the door panels instead of the cheap black plastic buttons to control the window switches, seats and memory? 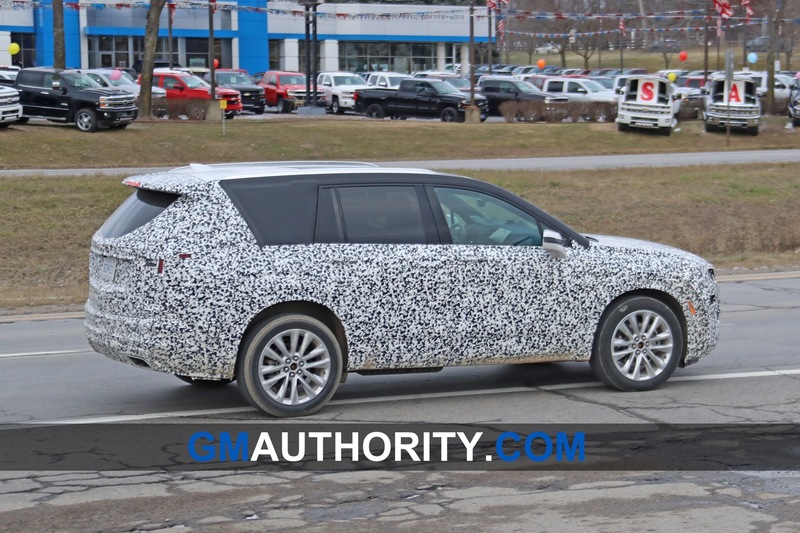 I will be paying attention to this vehicle very closely. 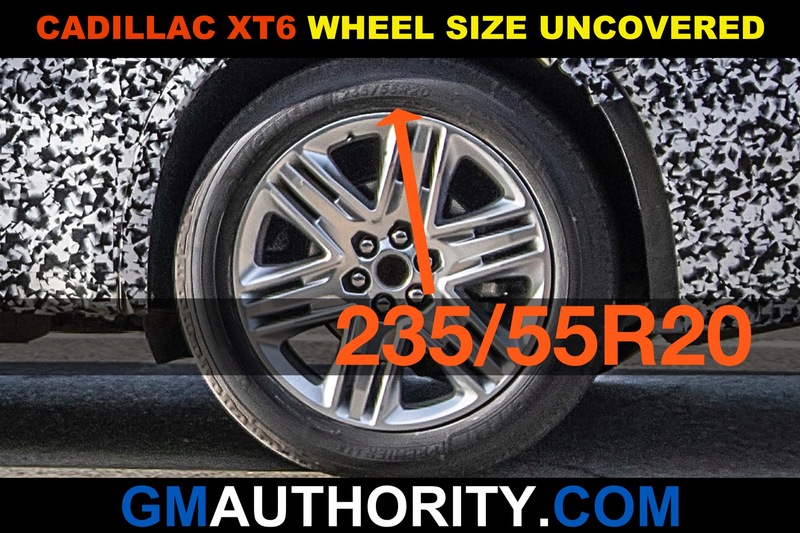 We don’t know what the XT6 will bring to the table and Cadillac may shock us technically. 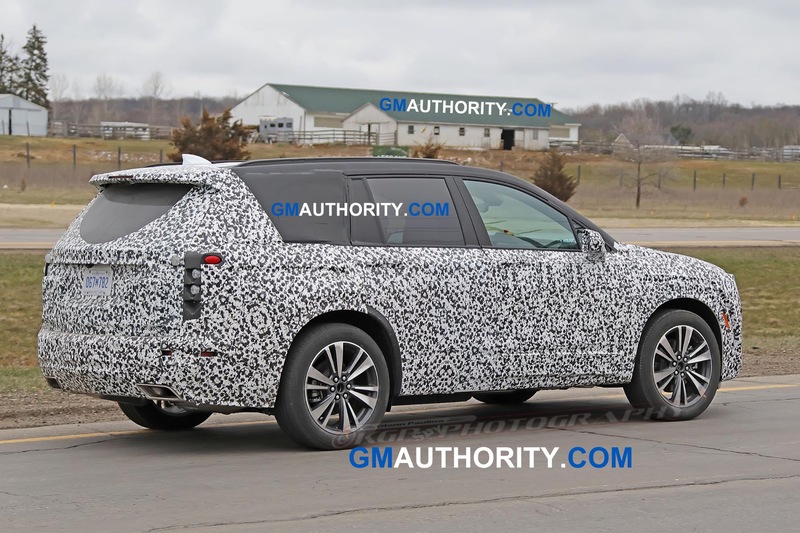 So, the two new segments from the automaker is too early to compare, so I’ll reserve judgement but looks like that Ford seems to understand luxury with Lincoln more so than GM does with Cadillac these days. 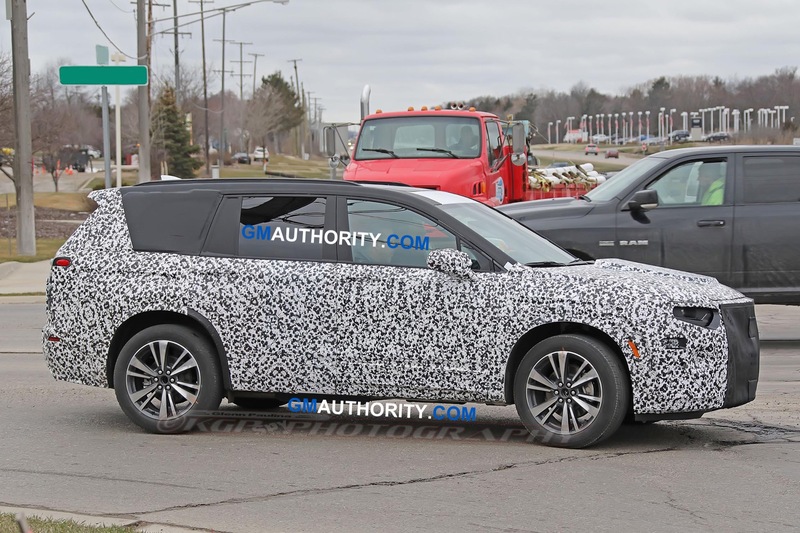 I believe this best defines the uphill battle Cadillac, Lincoln, and certain other premium\luxury brands are facing currently in this market! 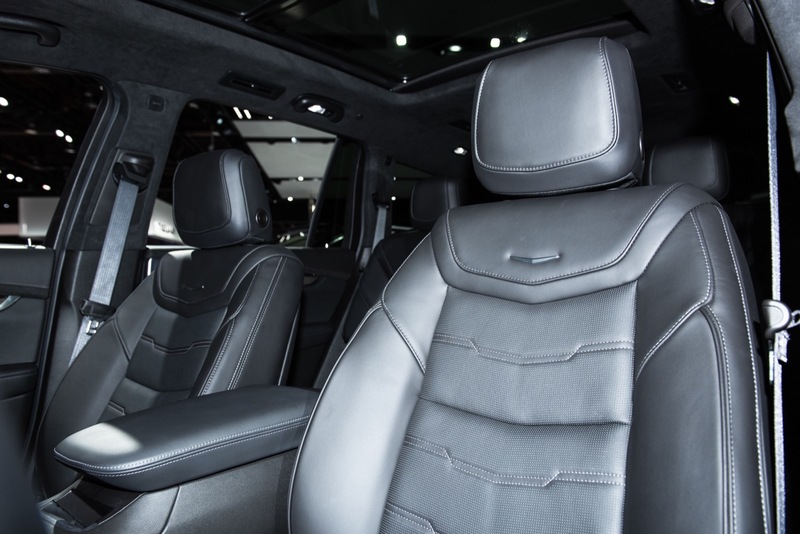 In addition to a strong presence, a luxury car also needs to provide a higher experience than that of the mainstream, non-luxury cars on the road! 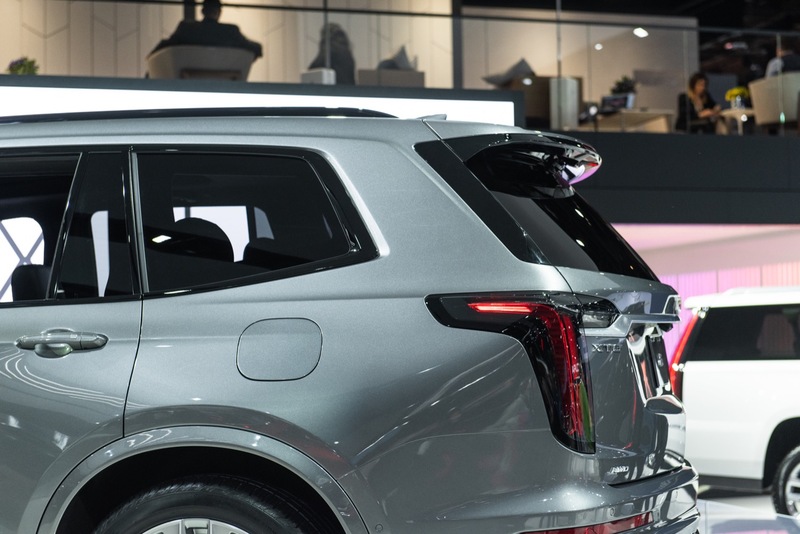 That can best be achieved by offering solid customer service, the best driving and handling, refinement in every detail, and even offering tech not available on non-luxury cars! 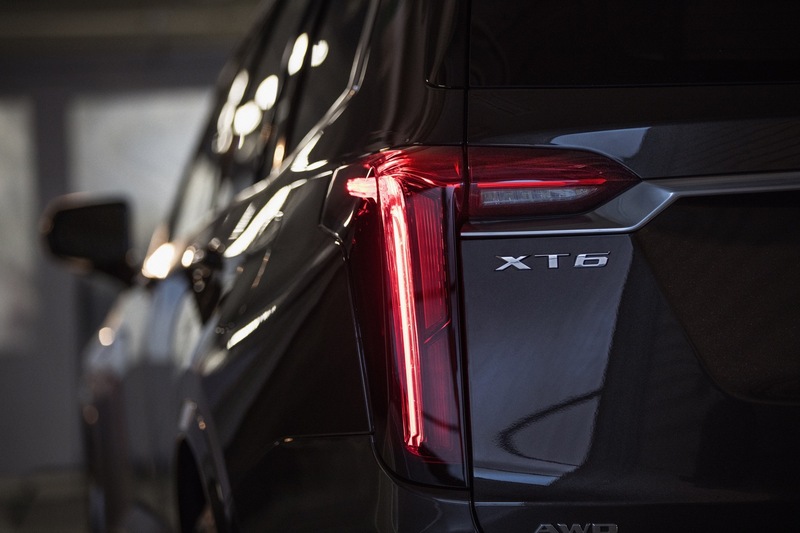 The Aviator being RWD may not necessarily make it a better offering than what’s expected of the XT6, but as the article points out, the overall presence it brings to the full-sized luxury crossover segment could! In essence, it’ll be even more appealing if the Aviator was totally exclusive. With the next Expolorer not expecting to ride on the new CD6 architecture. But it is what it is! 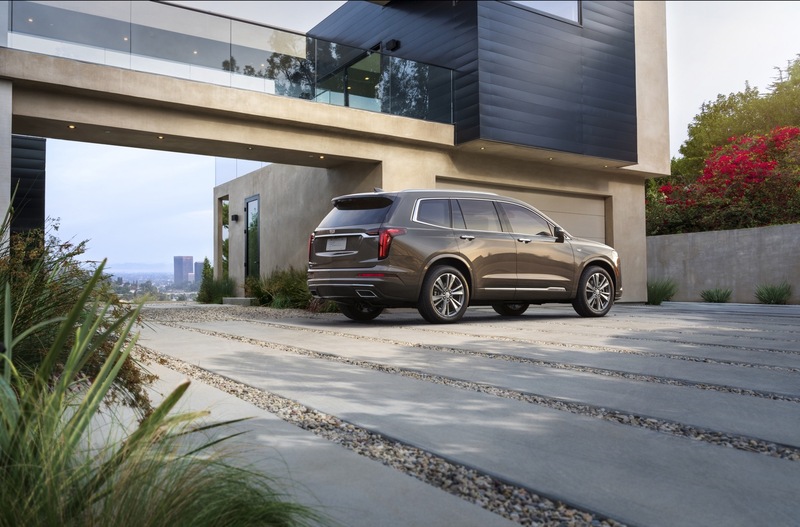 The Navigator showcases Lincoln’s ability to utilize Ford tech while successfully elevating its appeal over that of the vehicle it’s based on! The reviews make this clear! And judging by the looks of the Aviator, it certainly does the same for Lincoln! VW also does this well with their engineering and technology being used throughout the Audi, Porsche and Lamborghini brands! 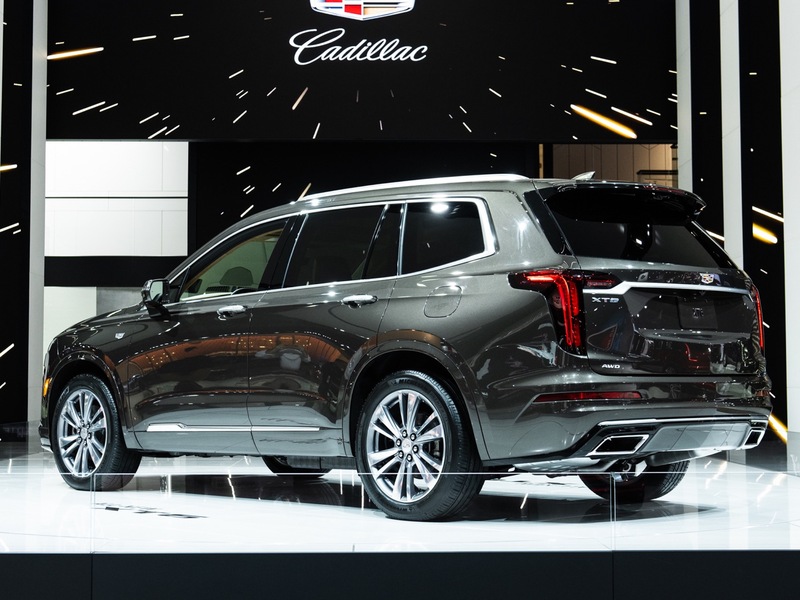 Unlike Cadillac, which can’t seem to elevate the Escalade’s appeal over the Tahoe\Yukon; although it is currently the best selling vehicle in its segment. 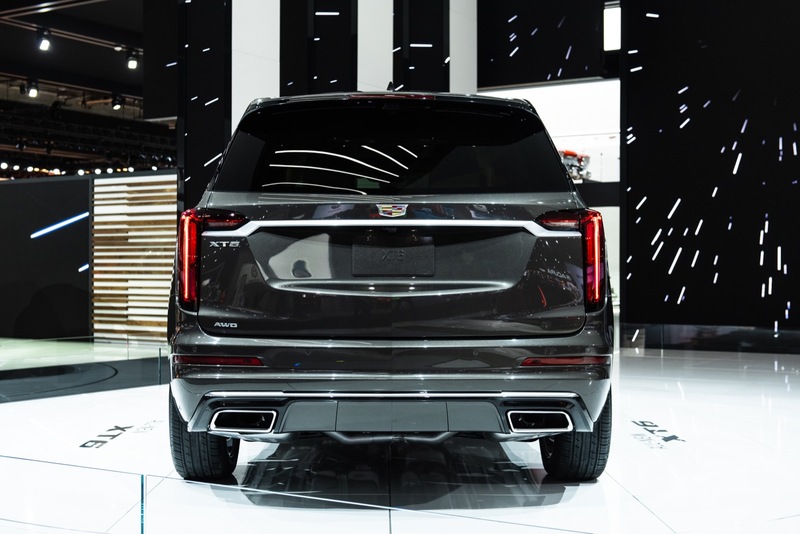 That’s because the Escalade has presence, which the undiscerning luxury car buyer can see and appreciate! 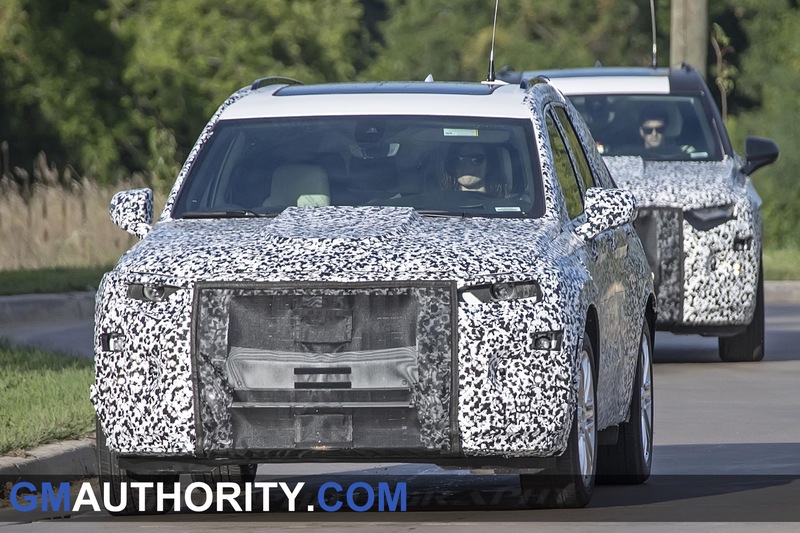 But now far more is expected of Cadillac if they hope to keep it successful! Just “sticking to what works” isn’t gonna cut it! 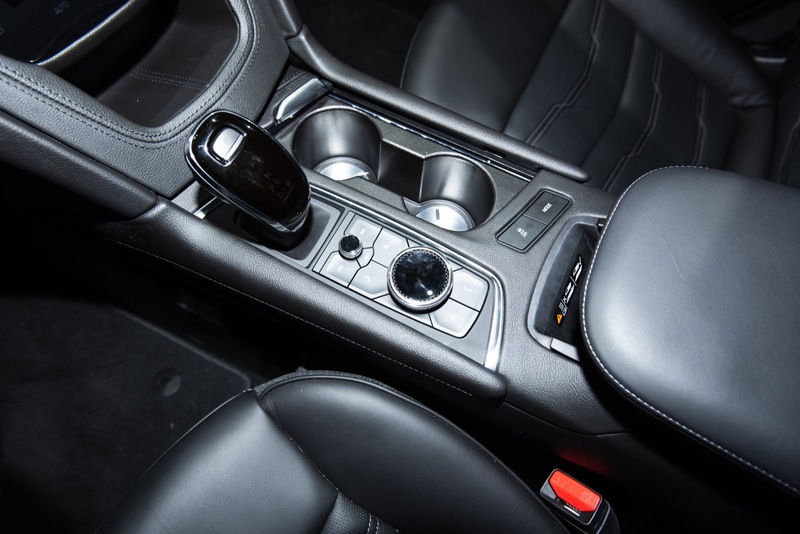 Car and Driver once made an interesting statement in an article covering the MKZ 3.0T model. 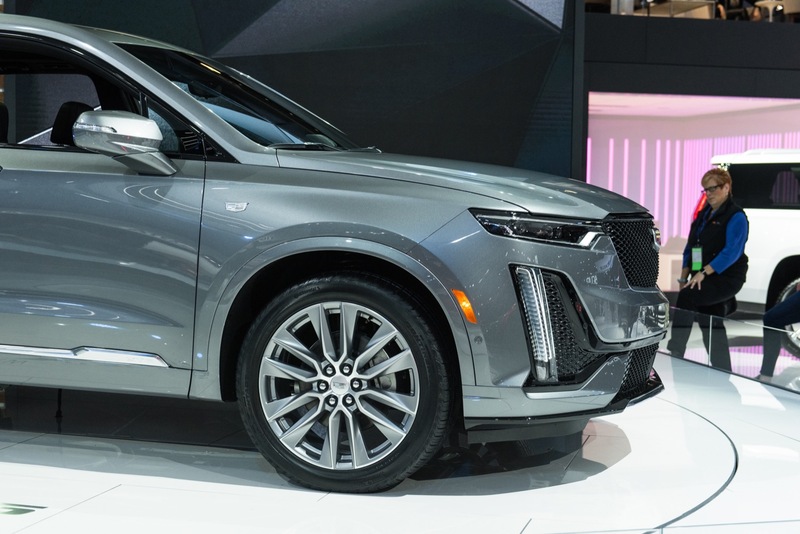 They said something along the lines of how it’s difficult to turn a vehicle that wasn’t designed to serve as a luxury car into a luxury car. 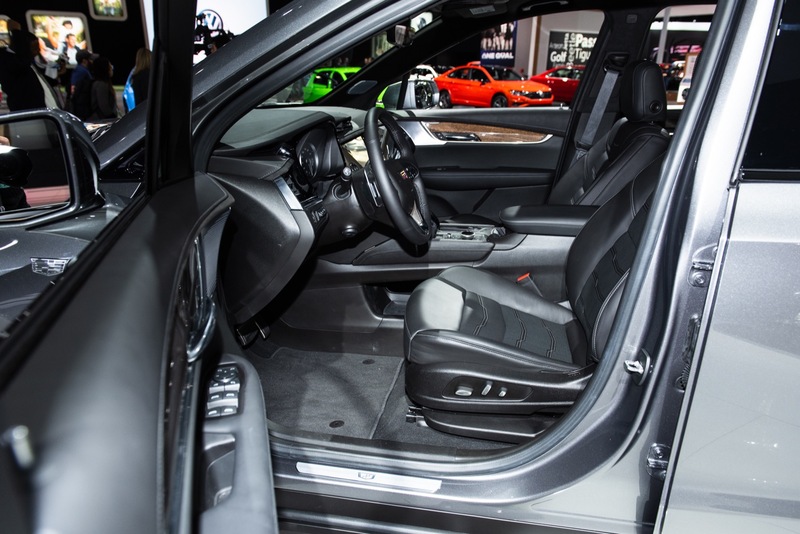 Once the best of the vehicle has been experienced in a non-luxury application, there’s little that can be done to elevate it! Which is why, for the sake of parts\platforms\tech sharing, it’s best to debut the best tech in a higher end vehicle, then spread it across the rest of the company! 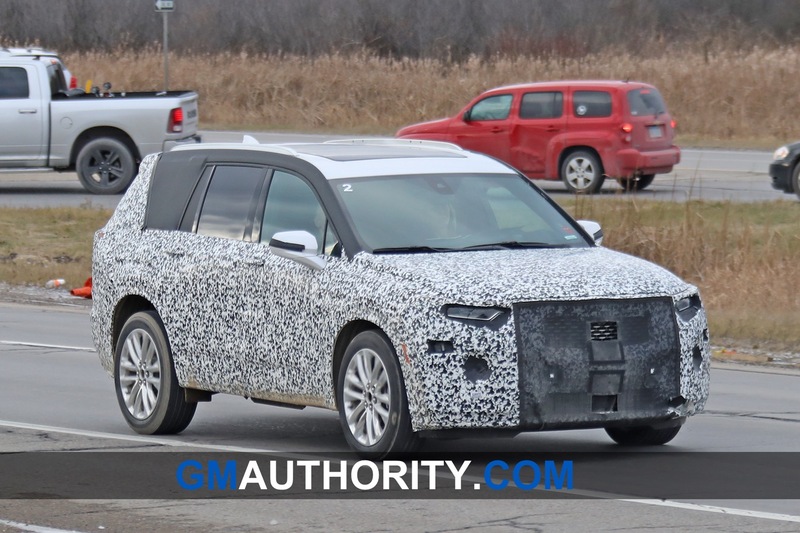 Cadillac successfully did this with the stellar Alpha platform. 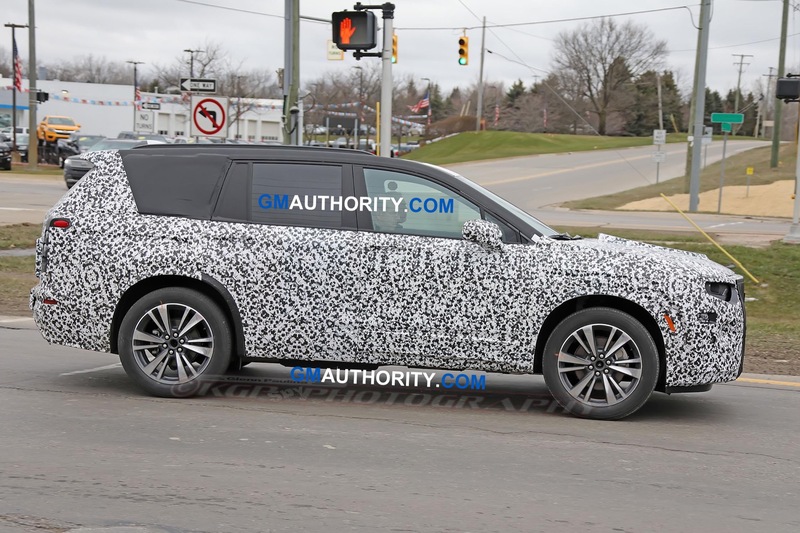 If only they’d had the provisional insight to develop it with crossovers in mind!….Now Lincoln is in position to do what Cadillac could, in essence, have done with the best of their engineering and tech! 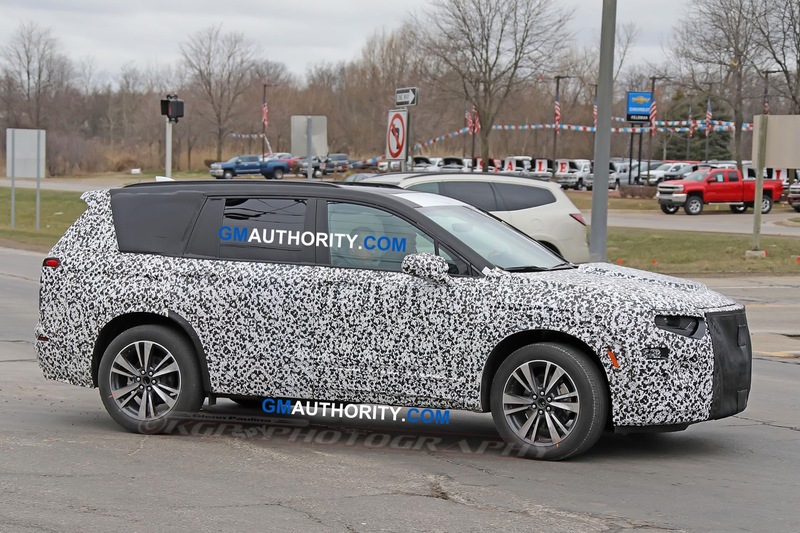 The Aviator is entering the market as an exclusive vehicle temporarily, which should give Lincoln enough time to establish it as a legitimate American luxury alternative to the German competition! 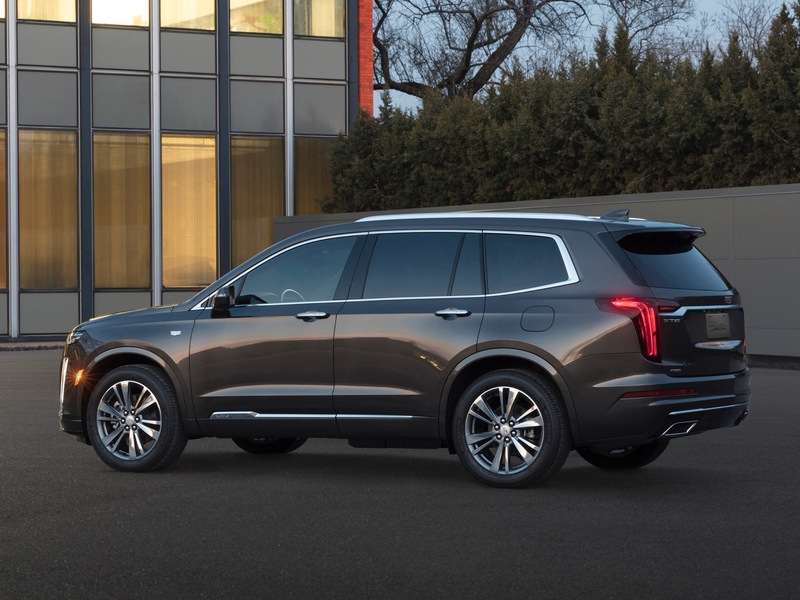 The XT6 will only build off the strengths of the Traverse and Enclave, but this doesn’t have to be a bad thing IF Cadillac takes a more serious approach! 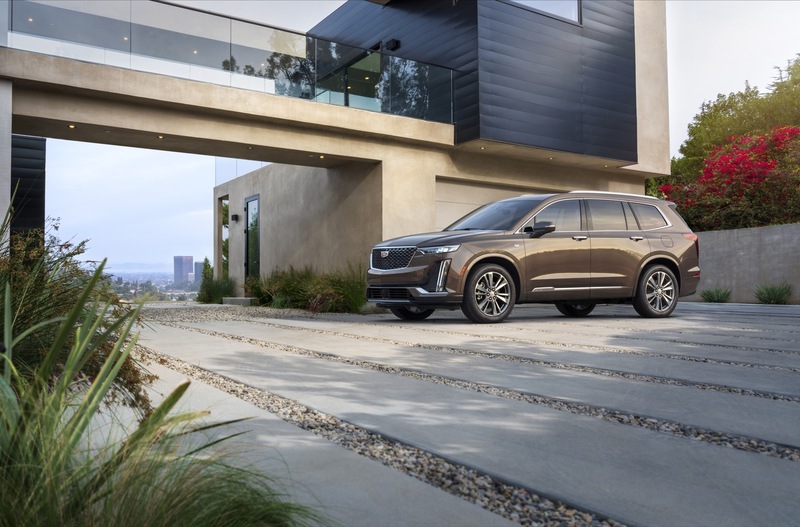 This is their opportunity to break the stigma of badge-engineering by offering what the Traverse and Enclave doesn’t: exclusive technology, exclusive power trains, and an overall exclusive luxury experience! 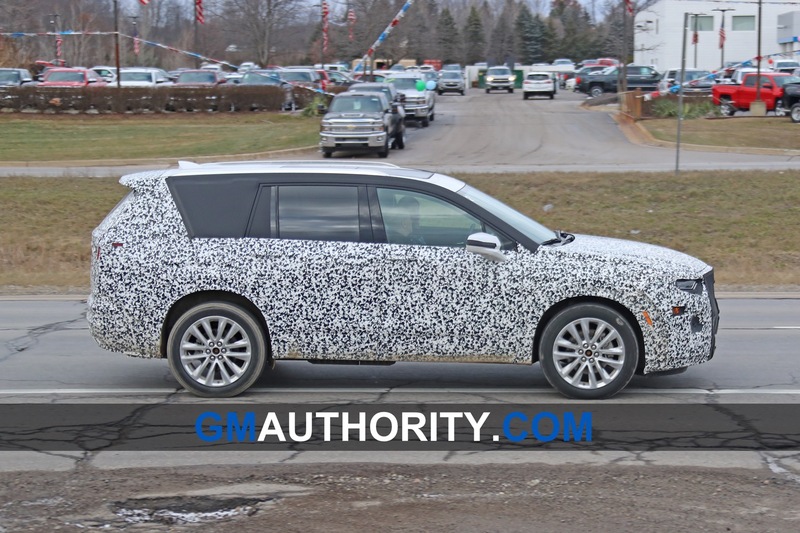 But will they?…Or is the “old GM” mindset still present? 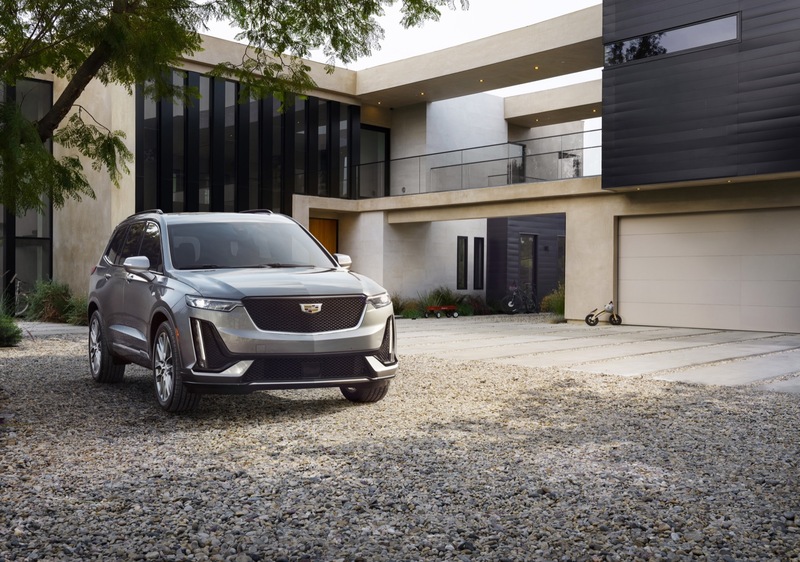 Should we expect Cadillac to truly elevate themselves over their GMC and Buick corporate siblings? 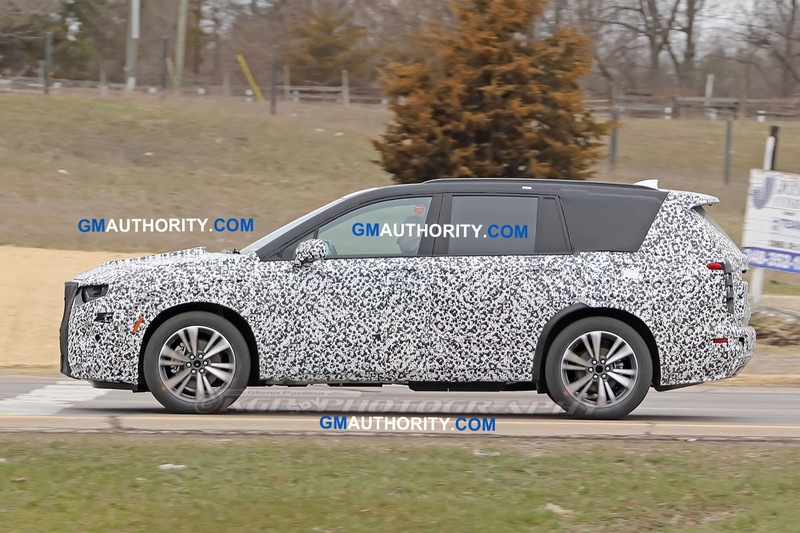 If you’re in the market for a vehicle in this segment, or you’re simply a loyal GM customer, are you confident in the integrity and strengths of GM’s corporate power plants serving as the heart of what will potentially be a $50K-$90K + vehicle? Ya know will always be a Cadillac man. But I have to admit, Lincoln is definitely doing something right. 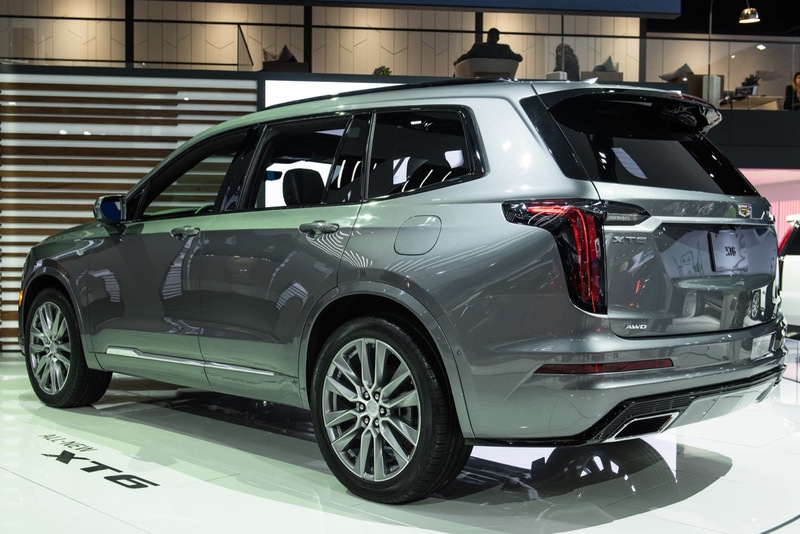 Cadillac has great cars, but they are still BMW copy-cats. 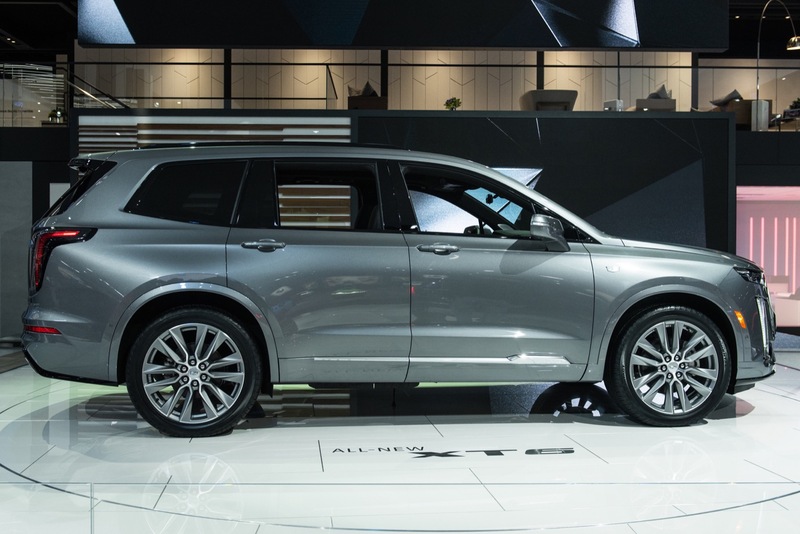 Lincoln took a risk and decided to go “traditional American”; comfy vehicles that have a massive engine (or massive power) that may not handle well, but they are just pure luxury and elegance. 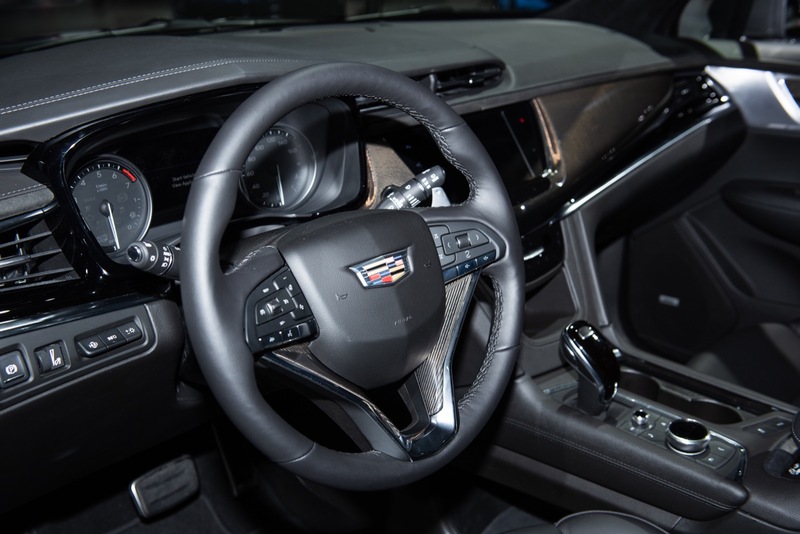 Cadillac spent a ton of money on engineering, yet they lack just a bit on the “luxury” part of some cars…… think “no heated seats in a base model CT6 (a 46k+ car)”. 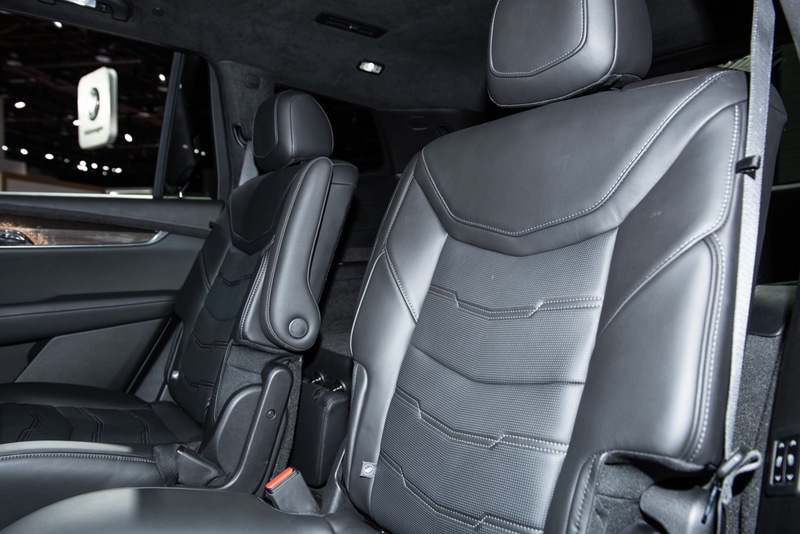 Ford on the other hand reuses platforms for the most part and the quality is still a bit lacking however they defiantly put most of their money into style and pure luxury. 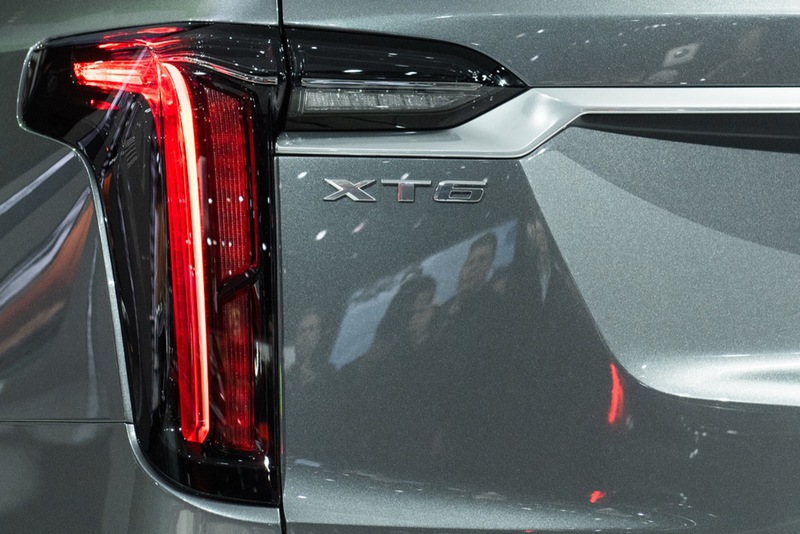 Caddy is getting better as the XT4 and XTS have LED lights in the base trim. 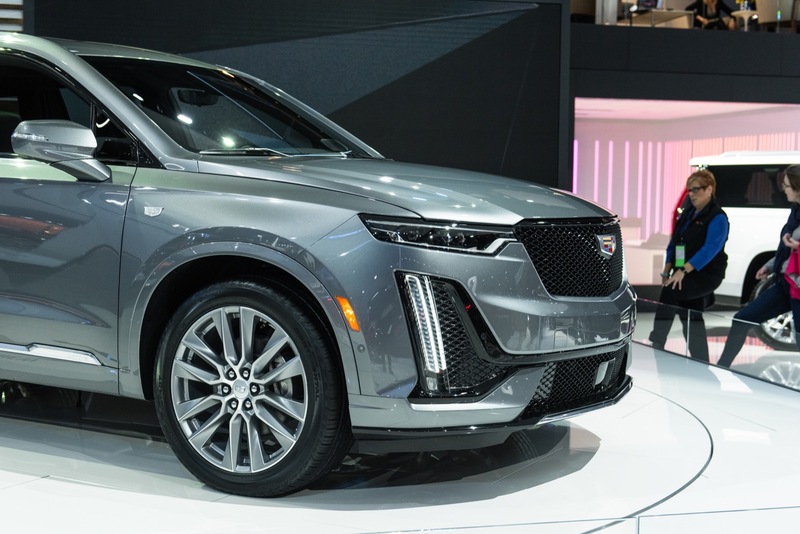 I feel like Cadillac is also giving up big time. 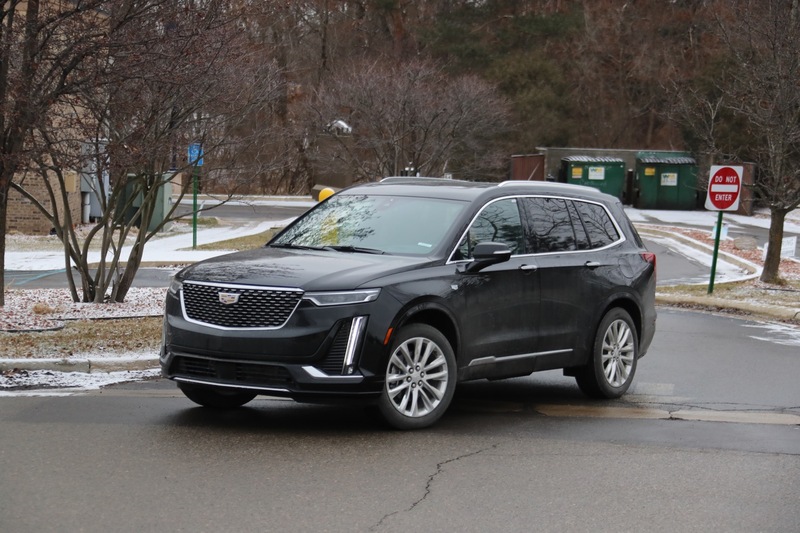 Personally I think the CT6 is a decent car, if it were my money I would buy an XTS but the point is; they have 2 really great cars in a segment they are known for, and they are getting rid of both of them. Sad! neither car had much marketing. Don’t you think that S-class sales are in the toilet right now? Of course they are! 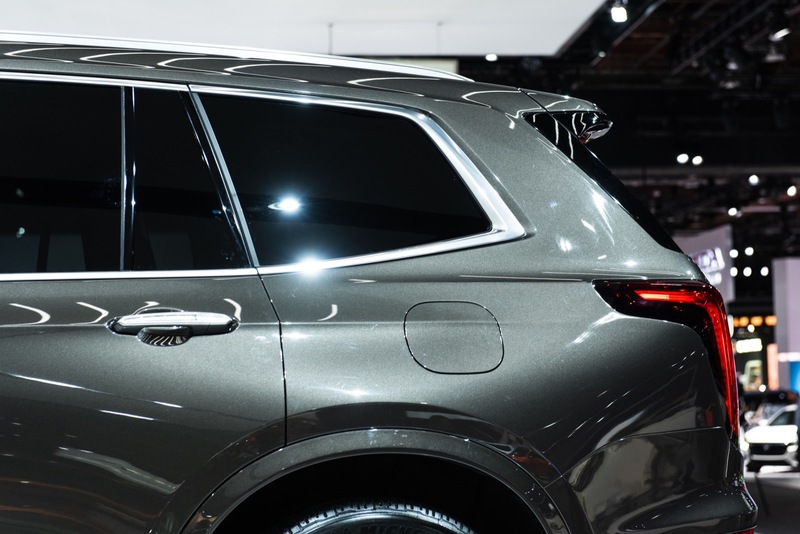 All sedan sales are in the toilet right now, but Mercedes is not cutting models, they are bringing even more out (A-class). 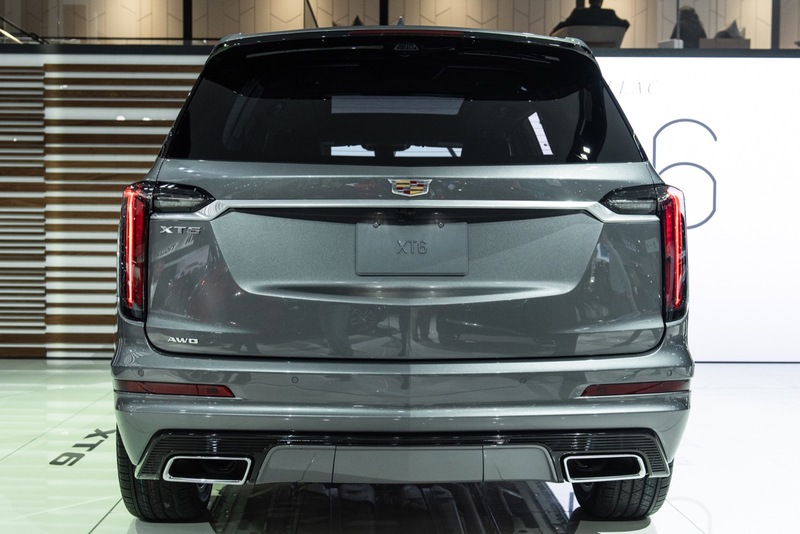 Take some of that $17,000 per Escalade sold and keep the Vehicles on life support for the time being. 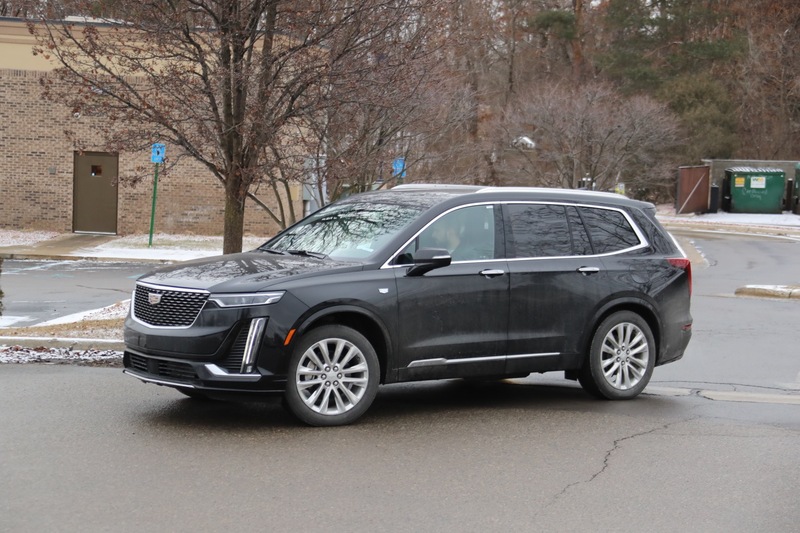 The CT6 was not even given appropriate time to gain traction in the market with only 1 generation, and XTS sales have started to pick up with the refresh. Actually S class sales are up! From month to month but down by a less than 1% I would not call that in the toilet. 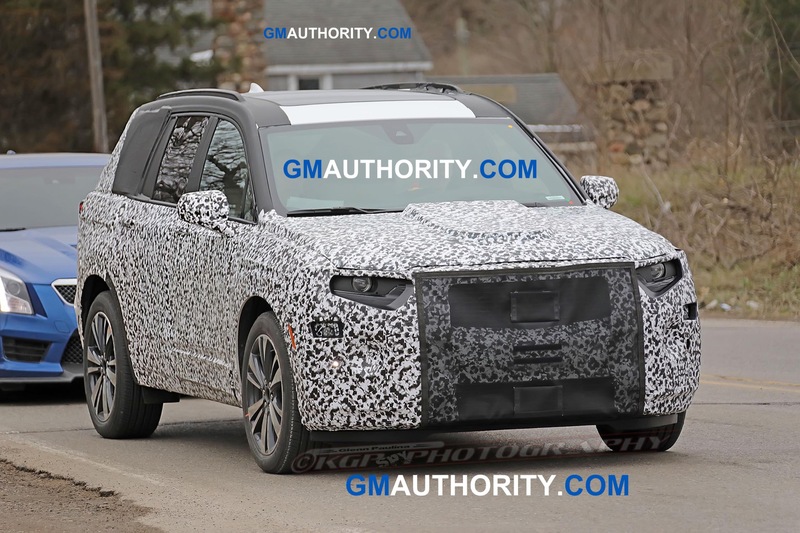 Don’t you worry, GM will surely include stop/start that you can’t deactivate on the XT6 and then market it as some great luxury and technological advancement. 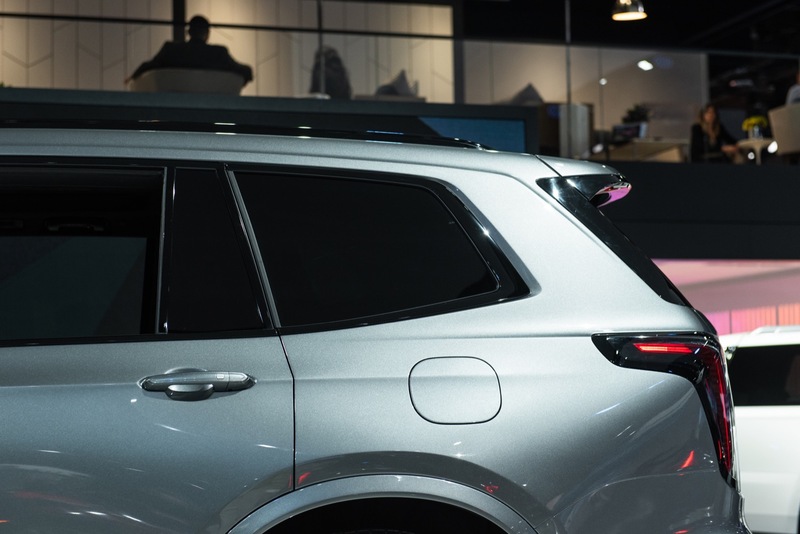 A lot of crossover buyers are women, and they don’t typically care about driving dynamics like a lot of sedan buyers. 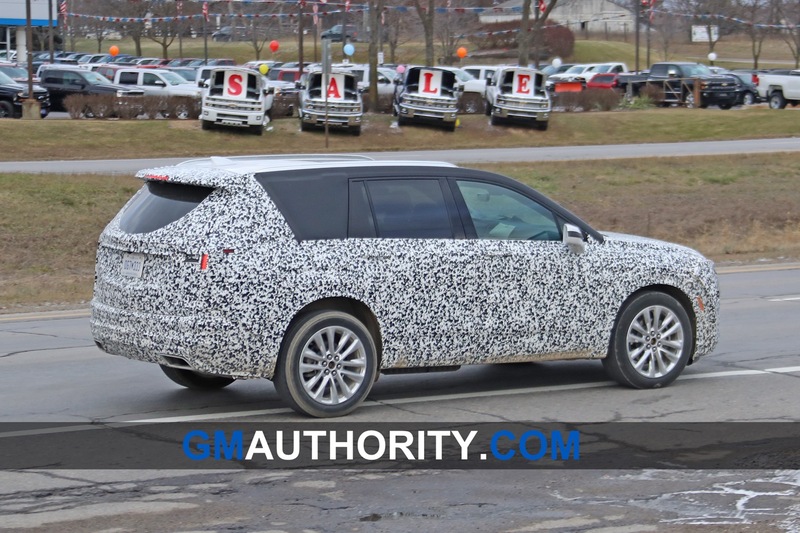 That being said, the XT6 needs to be fully baked. 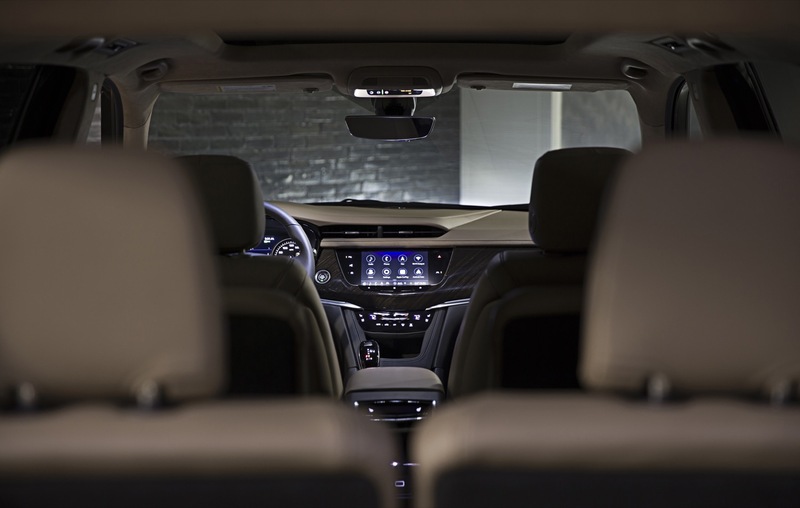 No compromises on the exterior styling or interior quality. No gimmicky equipment packaging. No forgetting the automatic start/stop defeat switch. 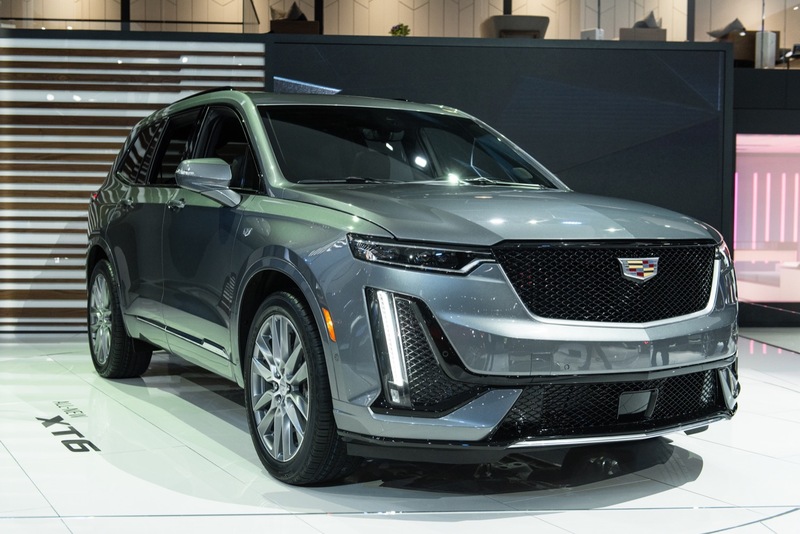 you are calling Cadillac a Chevyllac . What are you calling Lexus which is the same as a Toyota or a Infinity which is a Nissan or a Acura which is a Honda or a Audi which is a VW . 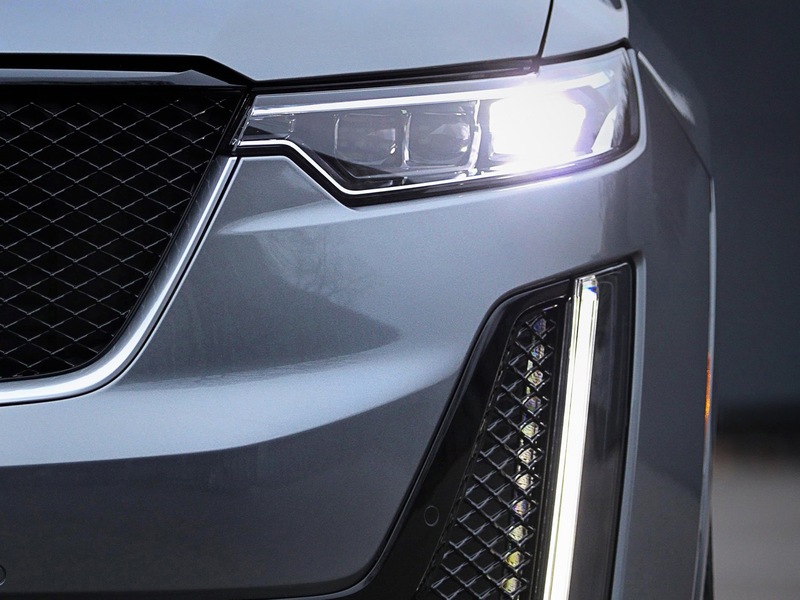 So I’m confused all these nameplates have intermingle parts within they’re company , so would it be called a Lexusota and so on . On thing I’m strong on is Mary and her simple minded cronies must be FIRED . what makes these people think we want electric cars and some computer to drive one for us . AS for discontinuing sedans , do you see Toyota ,Honda, Infinity, Acura , MB , Audi ,VW , discontinuing any ??? 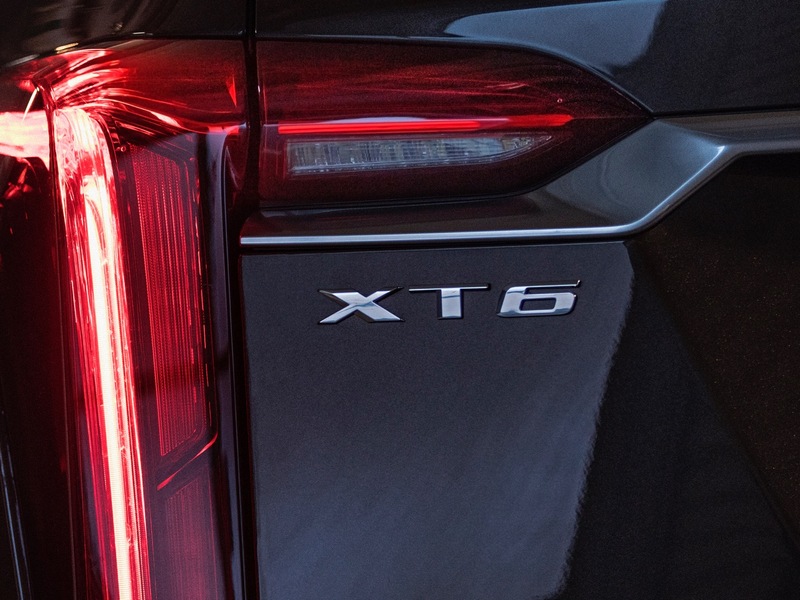 I do agree there are too many levels of one model , example Xt5-Luxtury XT5-Premium Xt5- Platinum XT5 and the same is done with all other Impalas – Cruze – Lacrosse —cut the levels don’t cut the model . Tom G, This Chevrollac is NOTHING compared to what you are comparing it to. Sure this topic has been talked over here ALOT. 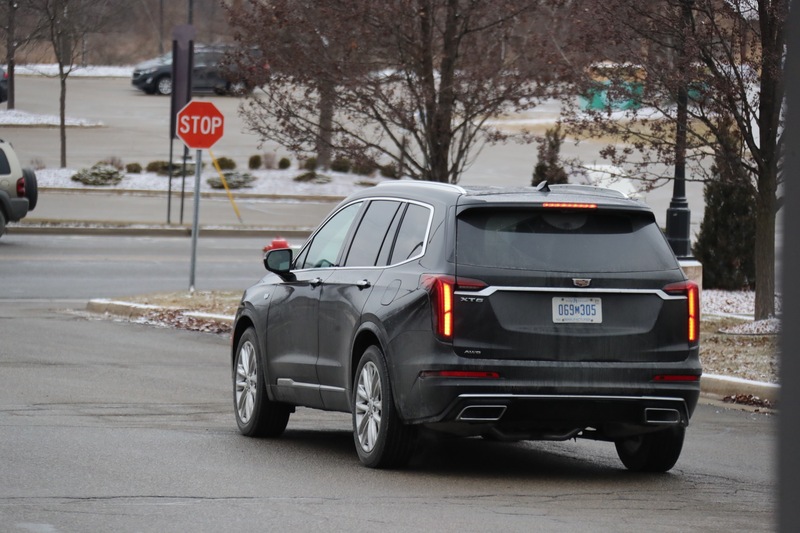 The MASSES AGREE GM does a TERRIBLE job of re-badge-ing. 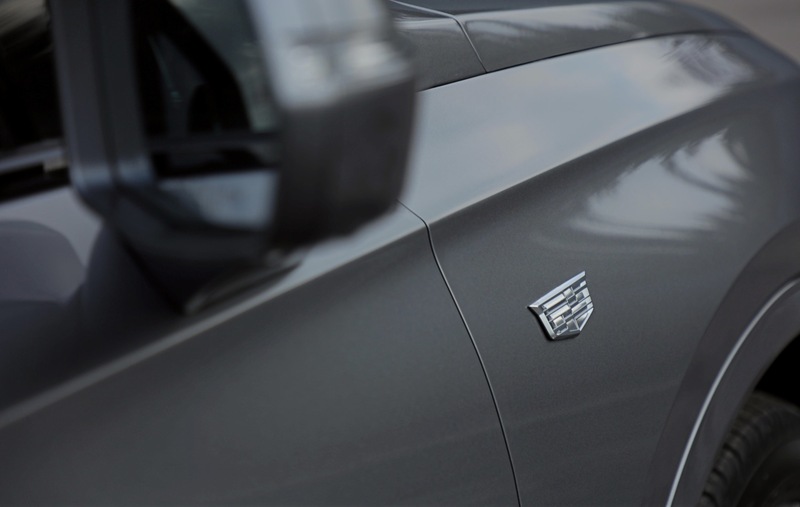 And with GM the Cadillac badge has the LOWEST% reliability score. The others simply know WHAT parts to use and what parts NOT to use. And this LOW standard, or BASE, what the H*ll . 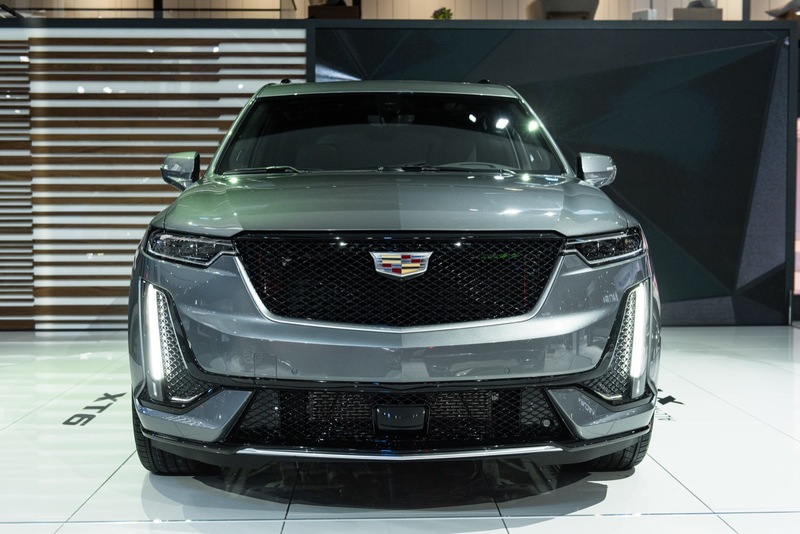 This is CADILLAC, isn’t it supposed to be the TOP of GM. 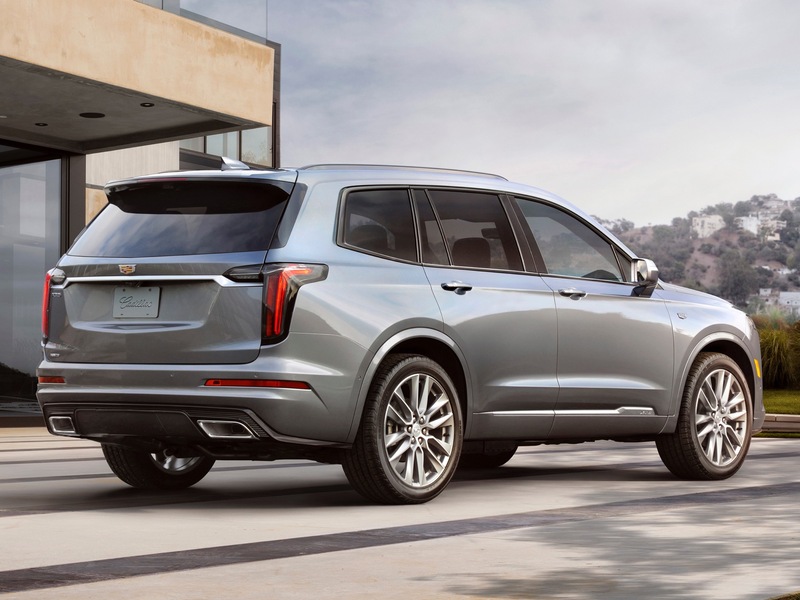 You can buy a Chevrolet with more options for the same or less money than Cadillac. 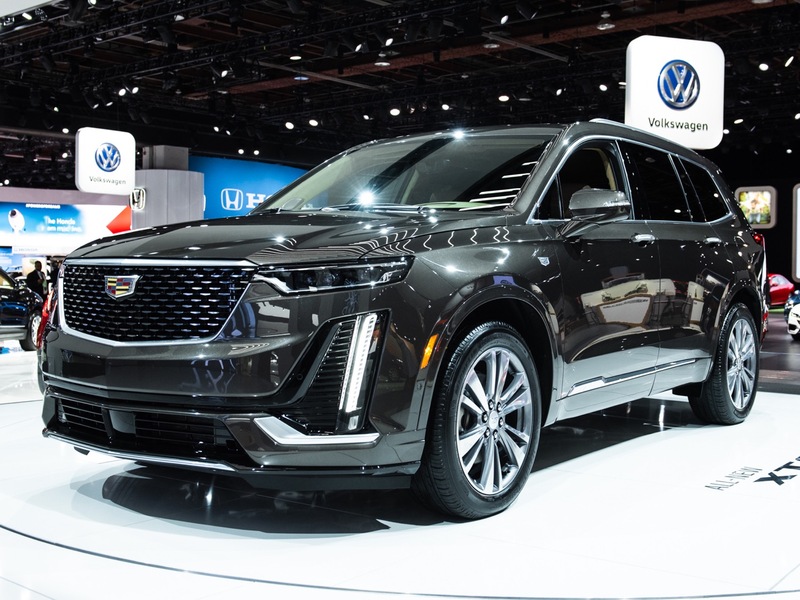 The Chevrolet Equinox has more HP than the Cadillac XT4. And so on. 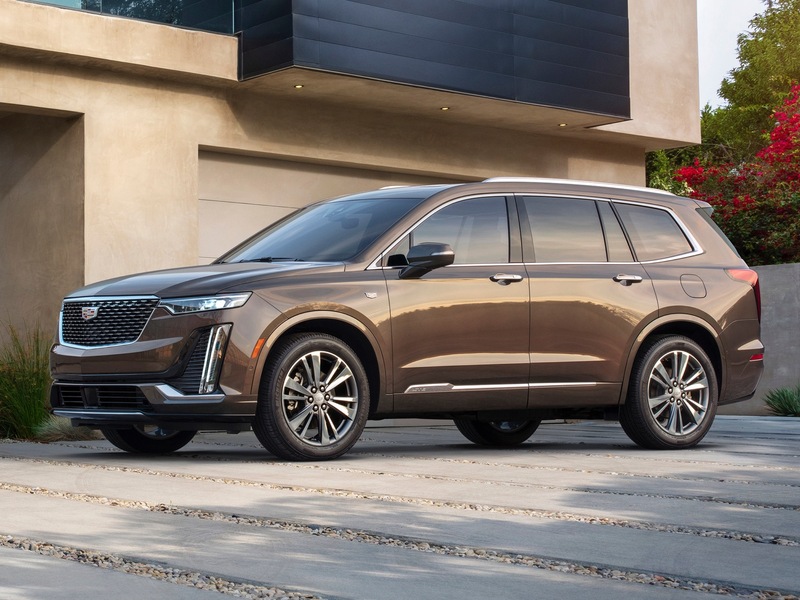 The others you are comparing Chevrolllac to have BETTER reliability, customer service, and overall better owner experience. The biggest thing is you get WAY more for your $$$. 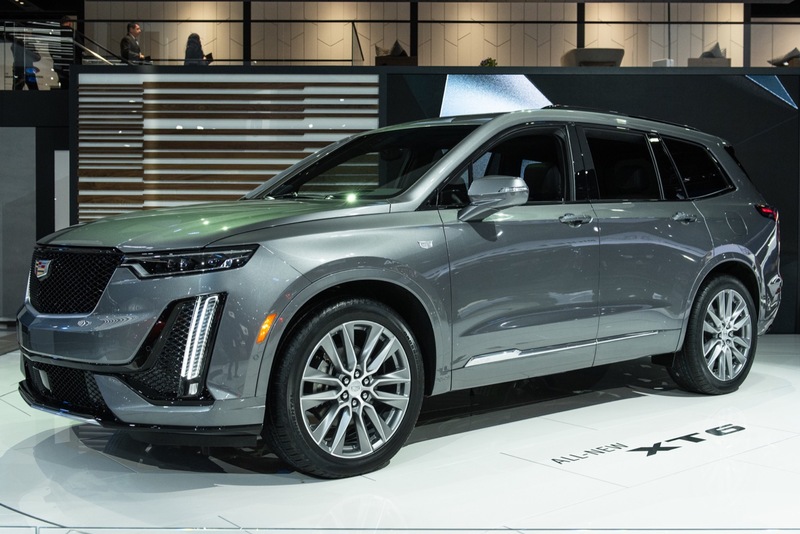 Like the CT6 I was comparing last week. To get a CT6 with a 3.0T, which is standard on an Audi A6 it is $8000,00 more. And still less of a car. I agree with you on the discontinuing of sedans. There are ALOT of sedans sold in the US. Its that GM cant sell them. This is simply do to the way GM and the dealers are set up. 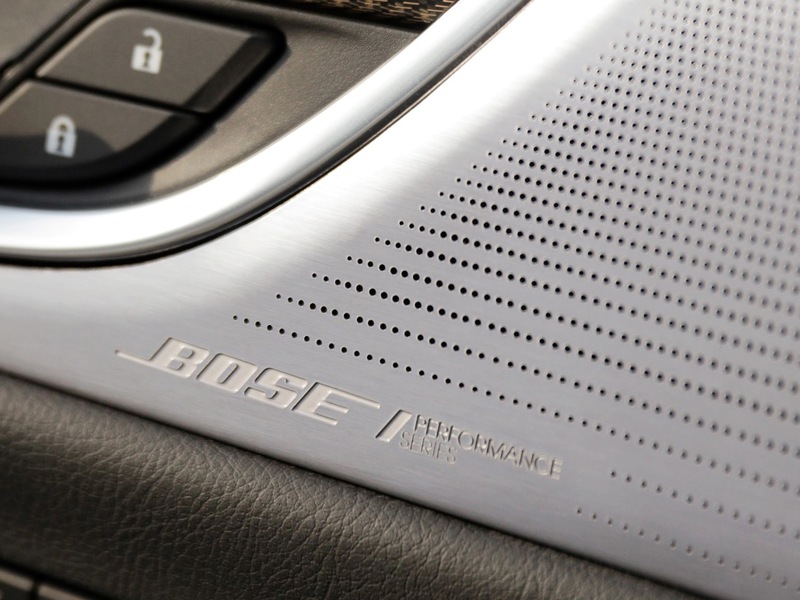 With foreign automakers the automaker CARES how the dealer treats the customer. The foreign automaker knows that over time if you take care of the customer they will take care of you. I am not making this up and there is ABSOUTILY NO debating this. LOOK, LOOK at the owner loyalty on the foreign brand sedans. NO USA company will be able to break this hold because it will require CARING about your CUSTOMER. 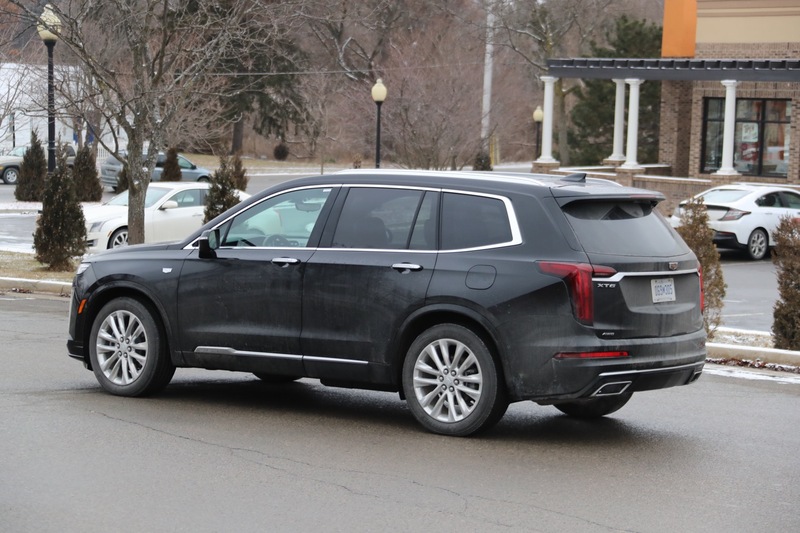 What I can’t figure out is Cadillac China. 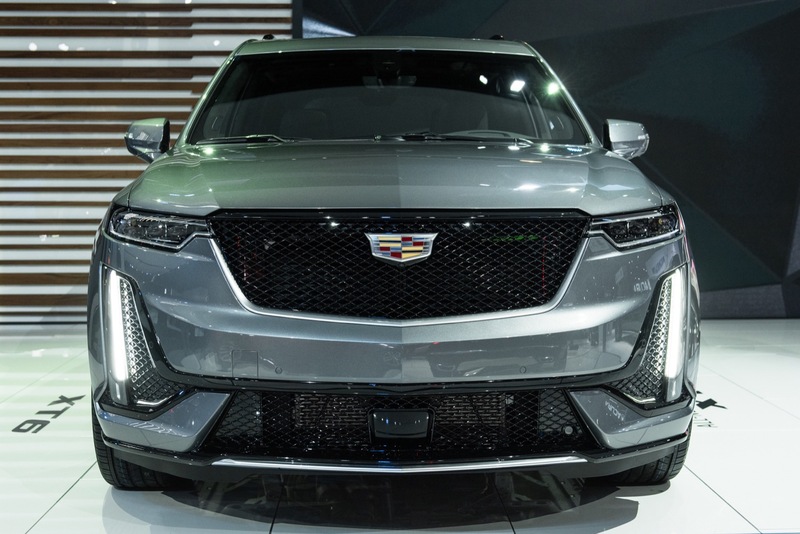 Sure GM is selling a TON of Cadillac in China but if China gets 40% or more of the profit there is that. 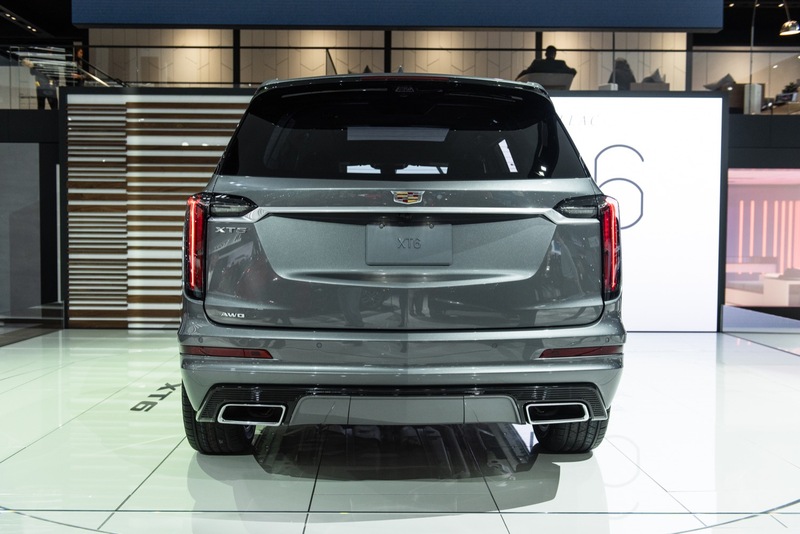 And why does China get the good Cadillac, The electric, the ATS extended. 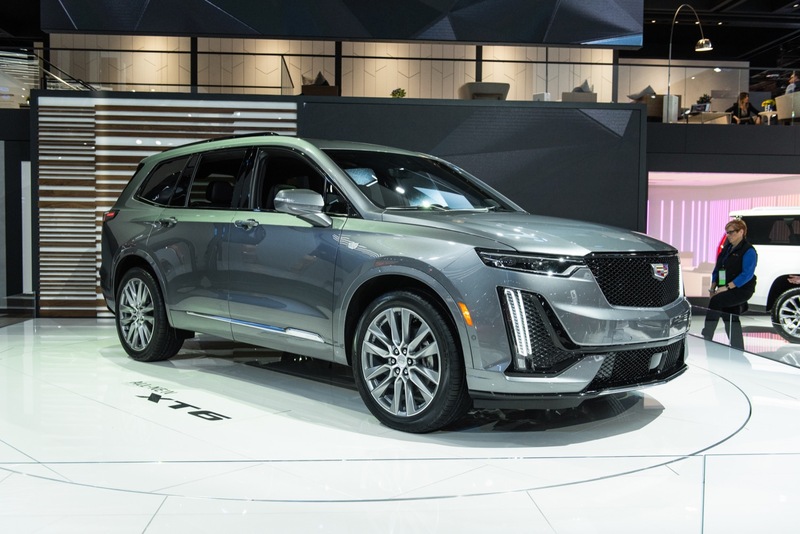 Look at the CT6, Cadillac says they are killing it in the US but now China gets an electric try powered CT6, WHY is this happening? 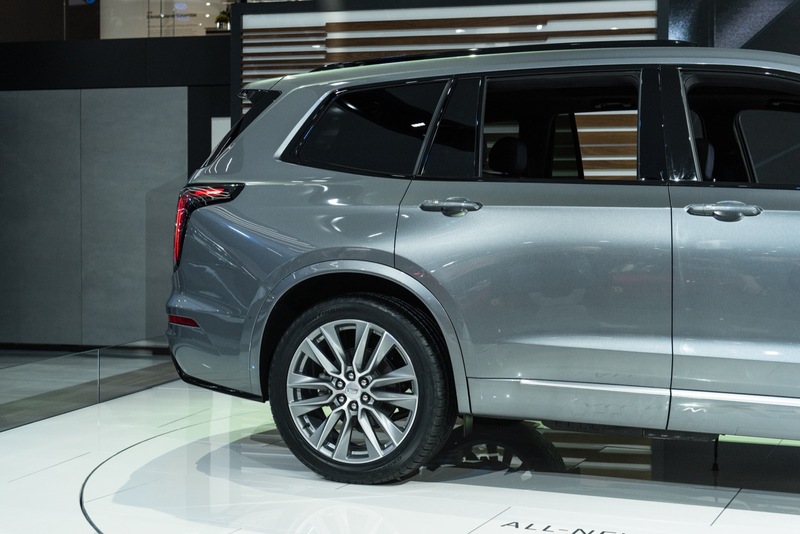 Or is it just GM can’t import China built vehicles to the USA YET. And as for the future of GM in my opinion. I agree in change for the better. 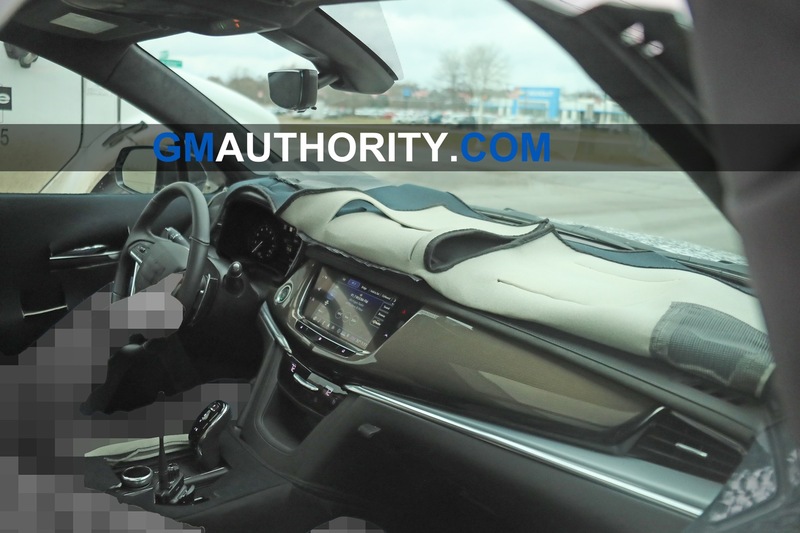 GM STRONGLY NEEDS to get some true tech people it the company. 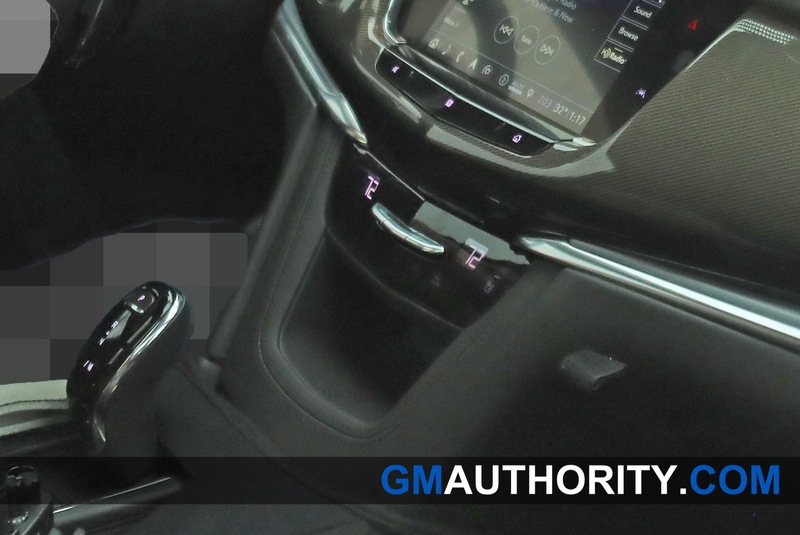 However there is NO WAY that TRUE TECH will work for GM as GM is set up. TRUE TECH is relaxed, comfortable, out of the box thinkers. When you add bean counters and deadlines, TRUE TECH will simply quit and move on. Look at Dan at Cruise, took over to install targets and deadlines. Any bets on how that will go. 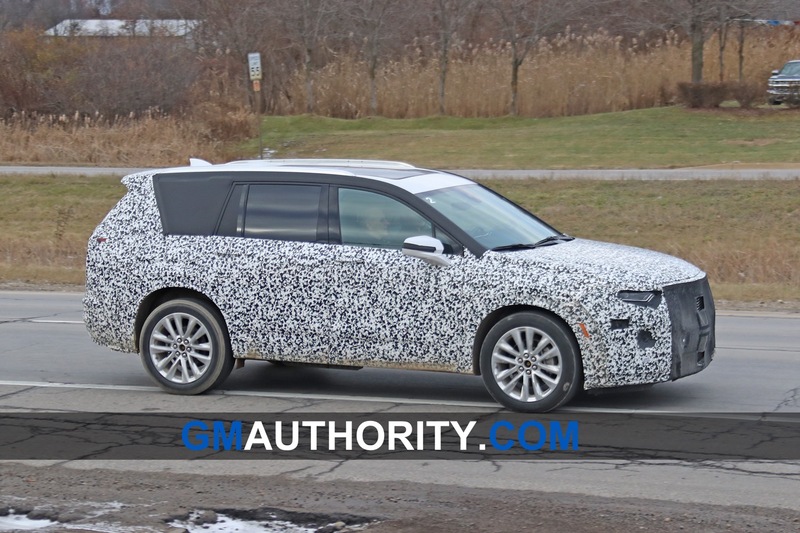 GM better be careful as to the profit generators. 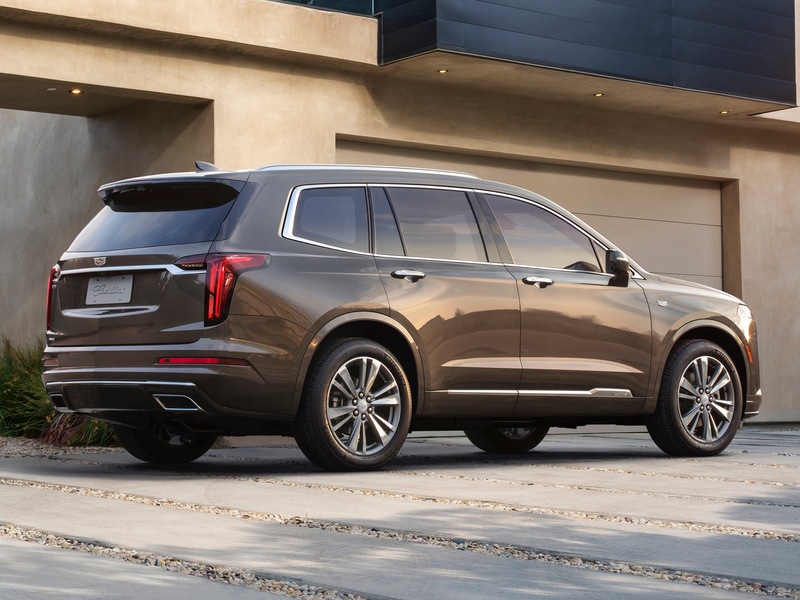 Truck sales DOWN, Cadillac sales DOWN. 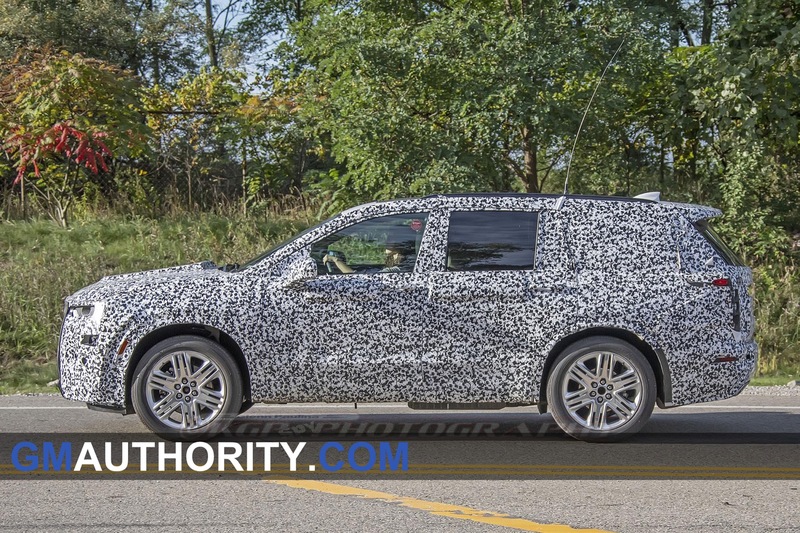 RAM out sold Silverado, Lincoln is closing on Cadillac, and we are talking GM NEW stuff. 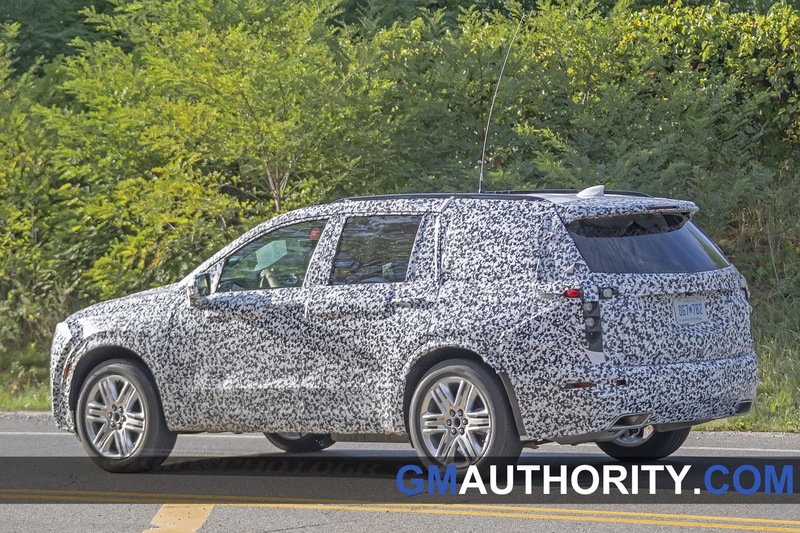 If this trend continues it will not be good for GM USA. YES I AM Calling a once great brand what it is a tarted up Chevy Now known as Chevyllac/Chevallac/Chevrollac. 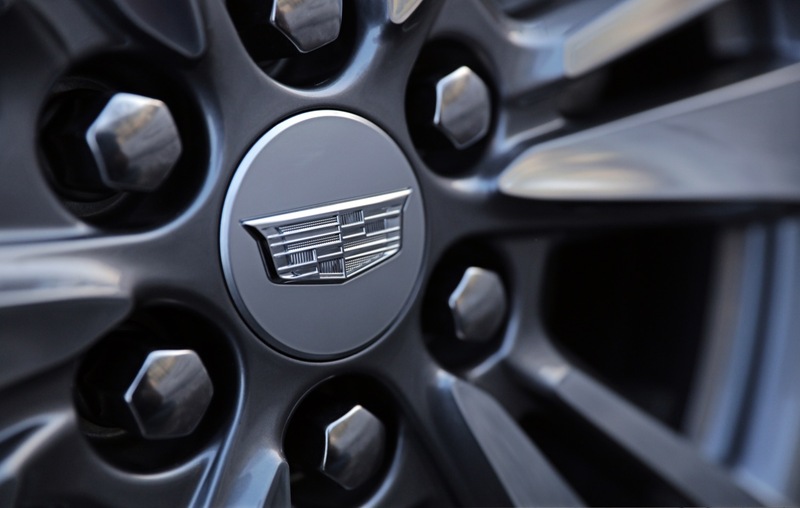 REMOVE THE CADILLAC EMBLEM from almost any Cadillac and you would not think it is a high-end luxury vehicle. 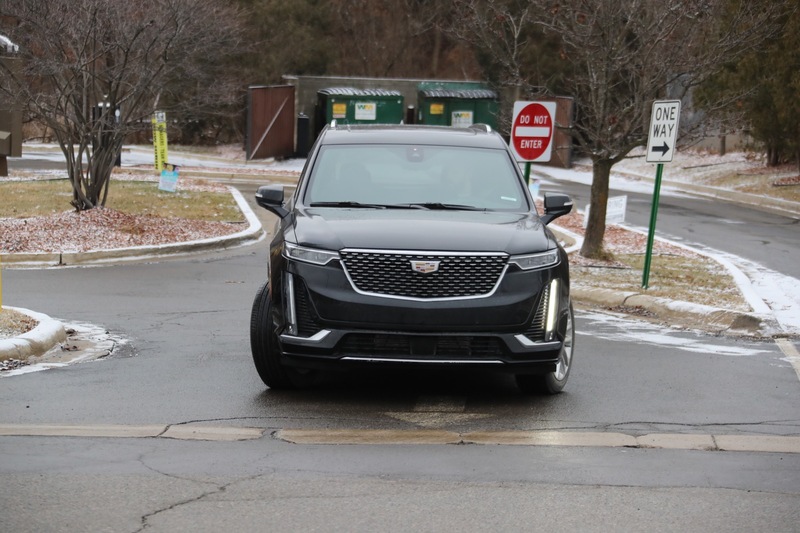 The XT4 what a joke (though I think it will sell) I sat, and drove it. 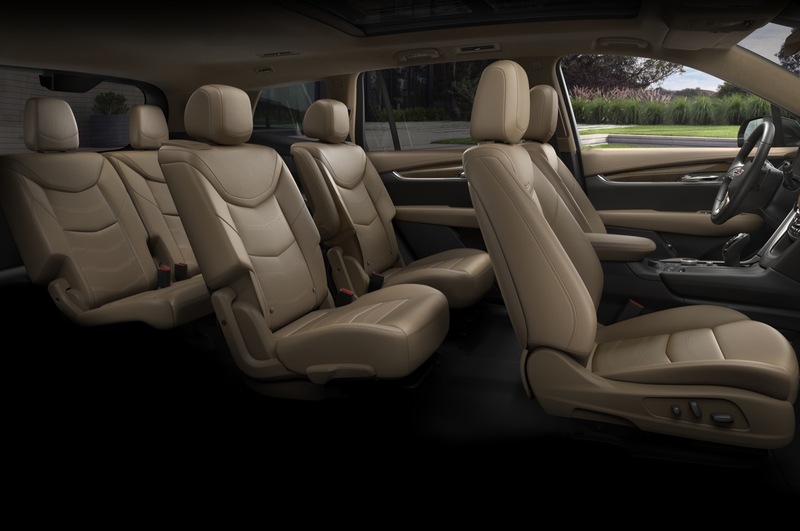 The inside looks a step down from a Honda CRV LX. 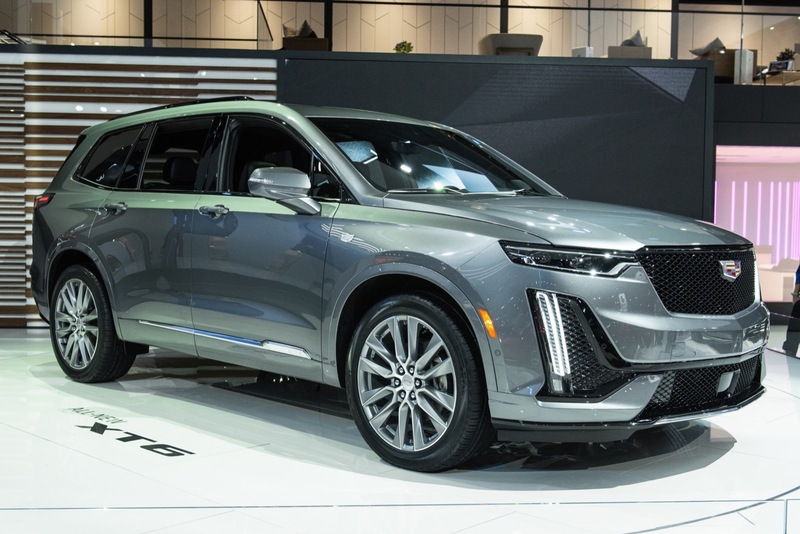 Well Lexus makes something Cadillac does not QUALITY! I have owned two Lexus while not the most dynamic; they have been reliable a built very very well. Honda quality. Infiniti they’re okay. 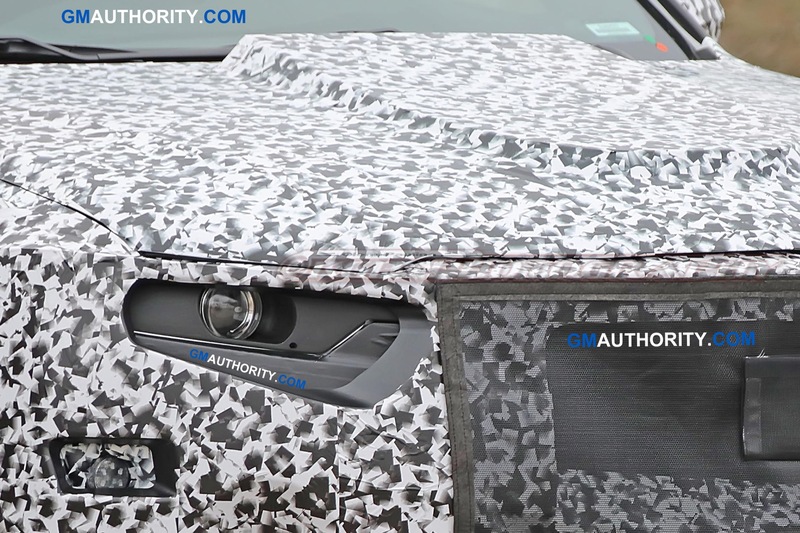 VW makes AUDI vault solid! 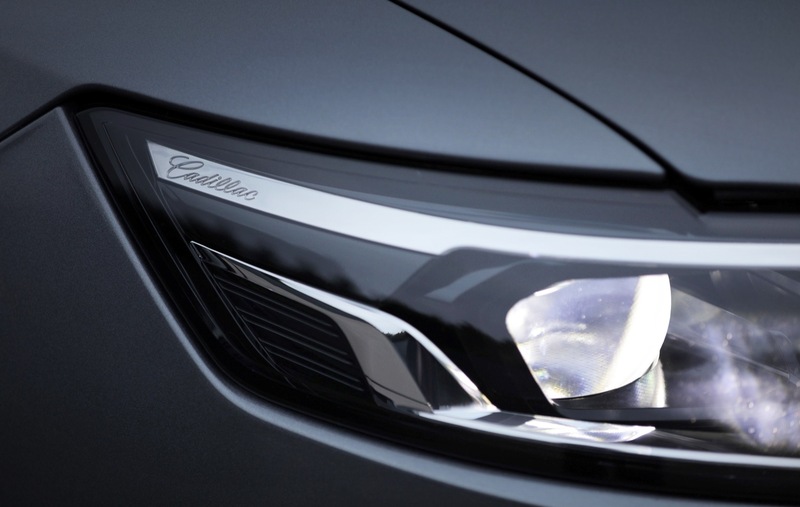 Have you ever driven an AUDI A6 with Quattro? There is not one cheap surface in that damn A6 I mean this was a 2016 the last one I drove before I bought. 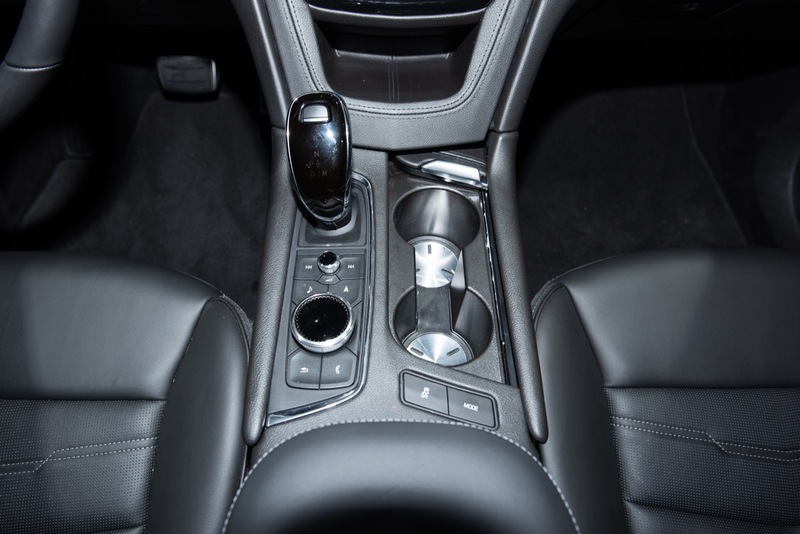 The BMW 5, I did not like interior design but the fit and finish is amazing. The Mercedes E was just nice. When I was a kid I would read the car mags back in late 1990s; Cadillacs would always come in to last place for many different variables. Now that I am an adult and can afford almost any car south of an S class. I got see first-hand. I wanted to buy an ATS. Later, I tried to buy the CTS. Both cars while dynamic were poorly made! Fact. 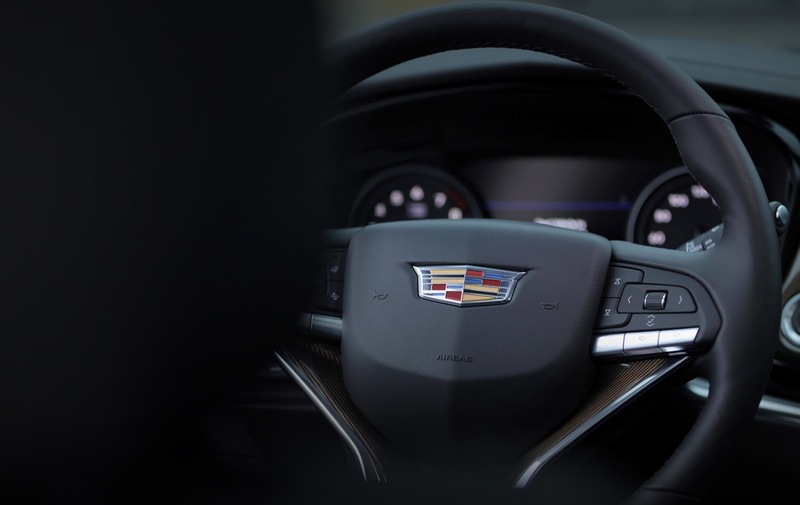 The gauge cluster in the CTS and ATS is awful. To get the upgrade cluster in the CTS I would have pushing high 60s…That should be standard. 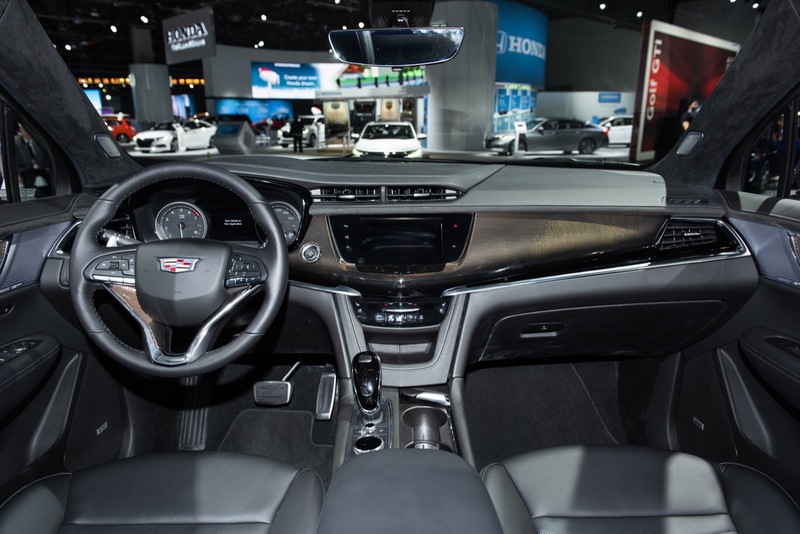 The E,5, A6, and GS I drove all had a combination of better build quality, or whatever than the CTS. For the ATS I drove the A4 , IS, C and 3. My least fav was the C class to honest. 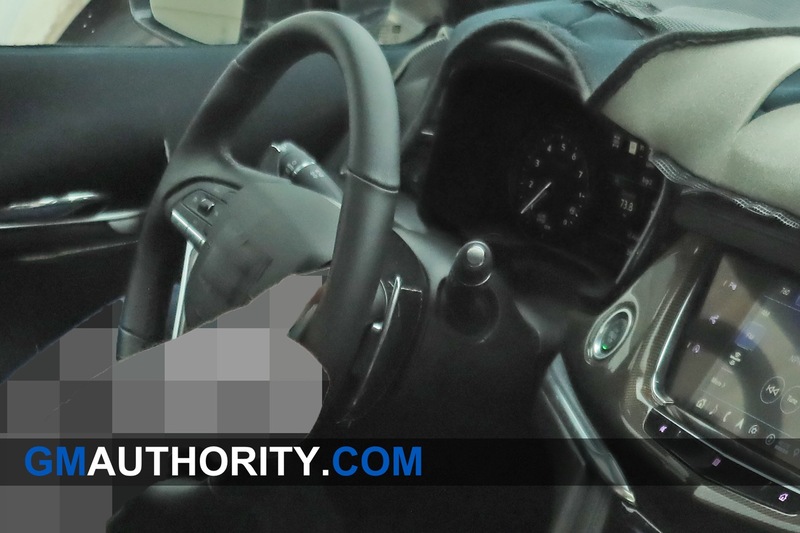 But the ATS looked felt so cheap inside. I could not believe it was priced just as much as the 3. The 8in screen was opt in the ATS. 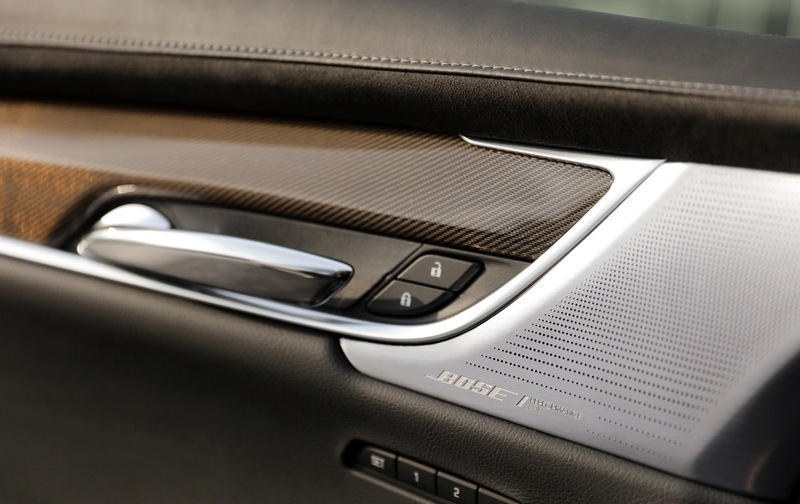 BMW and MB have been putting large and now even larger display screens in their latest generation cars. 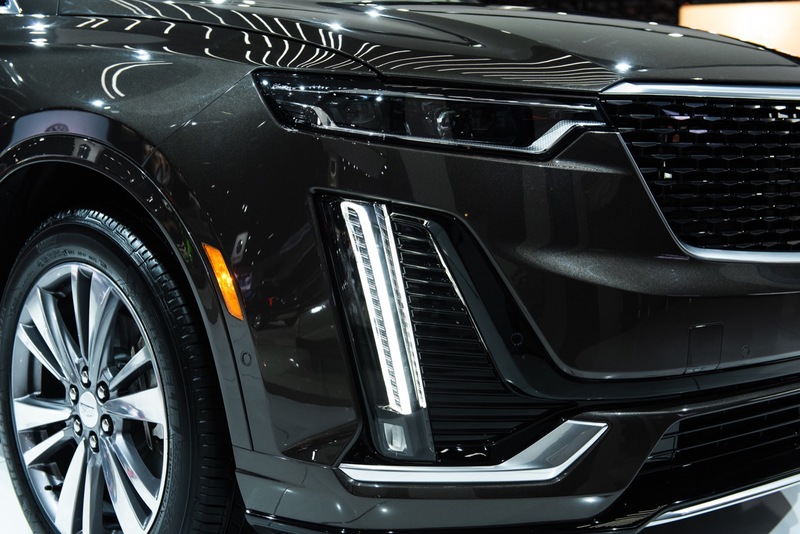 Cadillac. No. 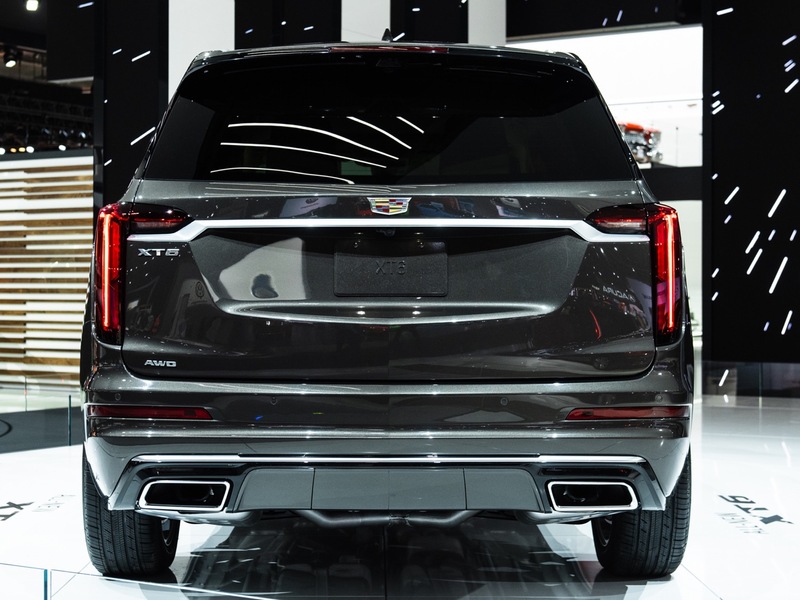 I am not attacking you I am saying Cadillac wants to appeal to buyer like me who 30-40. It has not yet. Your right trim the levels. GM just handed the small car market to the Corolla and Civic – though have been the kings for some time. They are global cars and Toyota and Honda won’t be killing them off anytime soon. 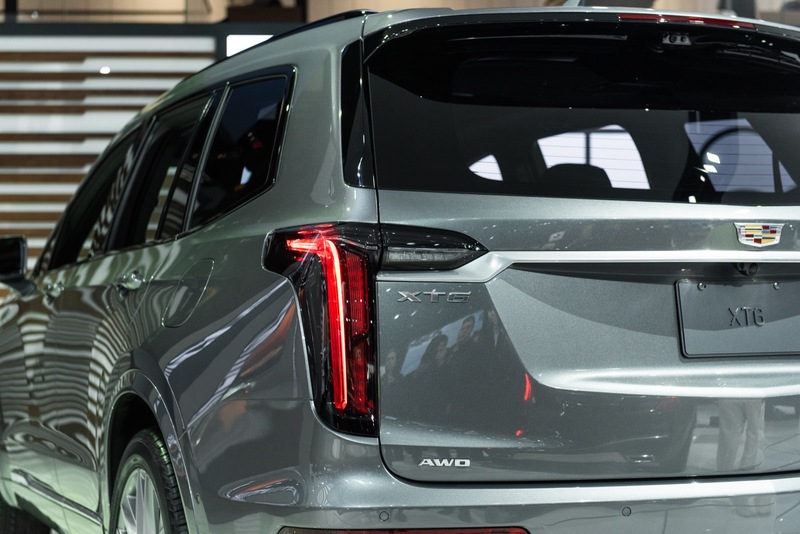 GM comes out with a new Cadillac or GM name and expects ppl to buy without any history of the car. Civics, Corolla, S, E, 7, 5, 3, Camry, Accord, ppl know those names. You have to have something different like Tesla. 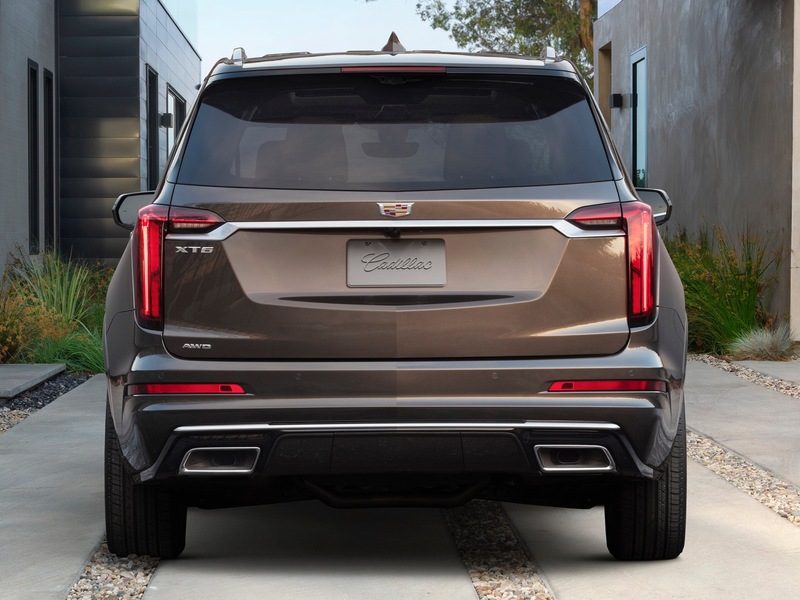 Now we have all new Cadillac models coming out. What is a Ct5, Ct4? 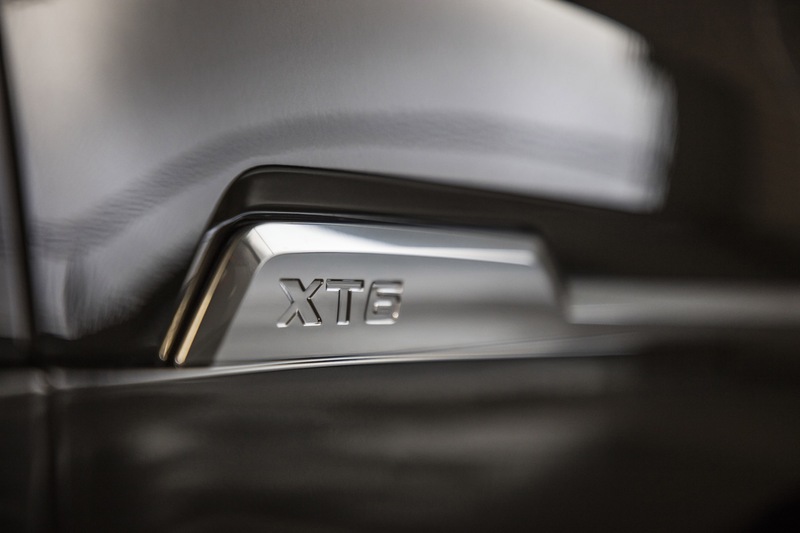 What’s an XT4, XT6? 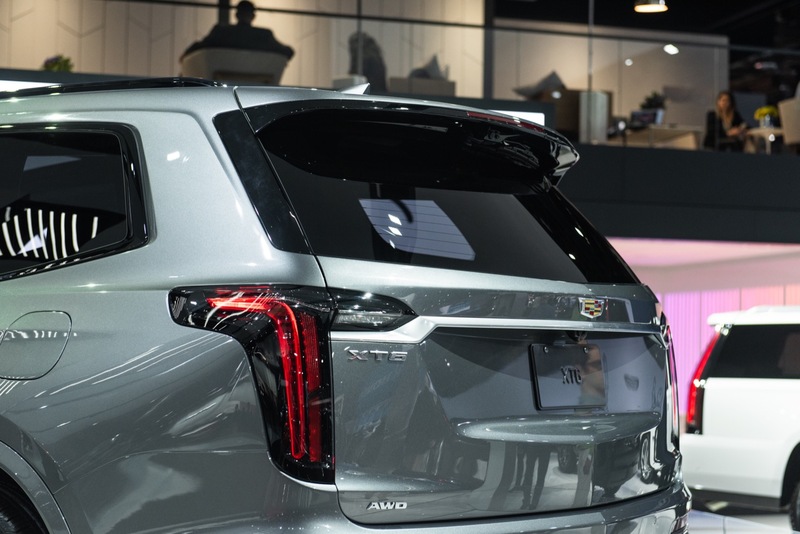 Only the Escalade is known as Cadillac. 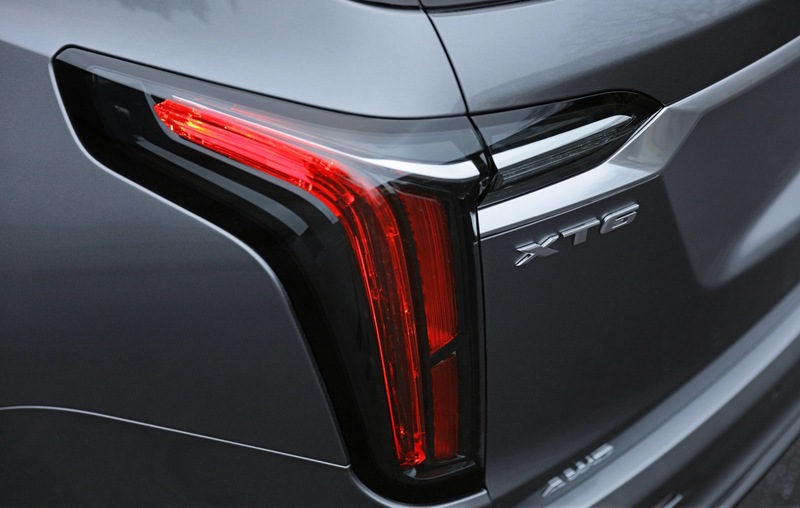 Maybe the CTS. So these new models will have to be explained on what they are! 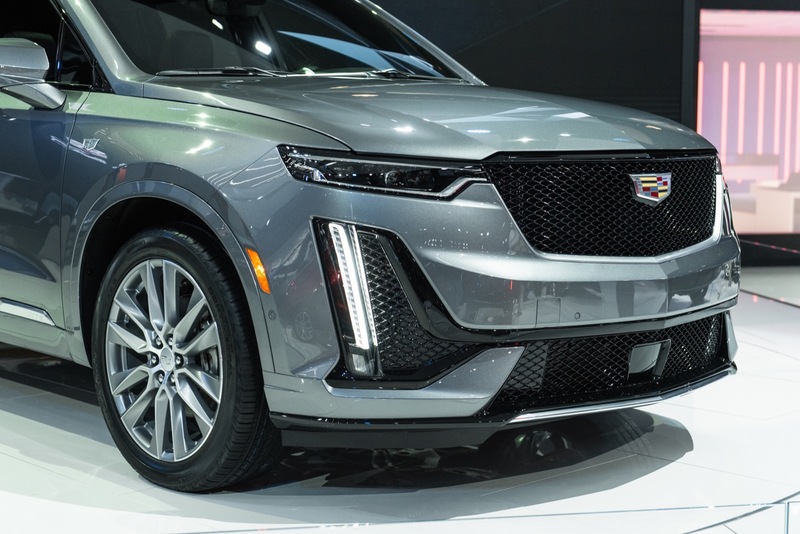 Nobody had to explain what a 3 series is, and if the Cadillac CT/XT nomenclature is too difficult for you to understand, then it shows that your education has failed you as you are confused by letters and numbers of increasing values. The larger the number, the larger the vehicle. That’s all there is too it, and the system translates perfectly in every single market, even in China. Nobody in China knows what a Fleetwood is, and the name itself means nothing to anyone under 40 years of age, even in the US because they don’t want to own a Fleetwood if the name is firmly associated with terrible products. You’re just wrong. The 3 Series has been around for decades and always stood for excellence, it’s an icon that’s why everyone knows what it is. 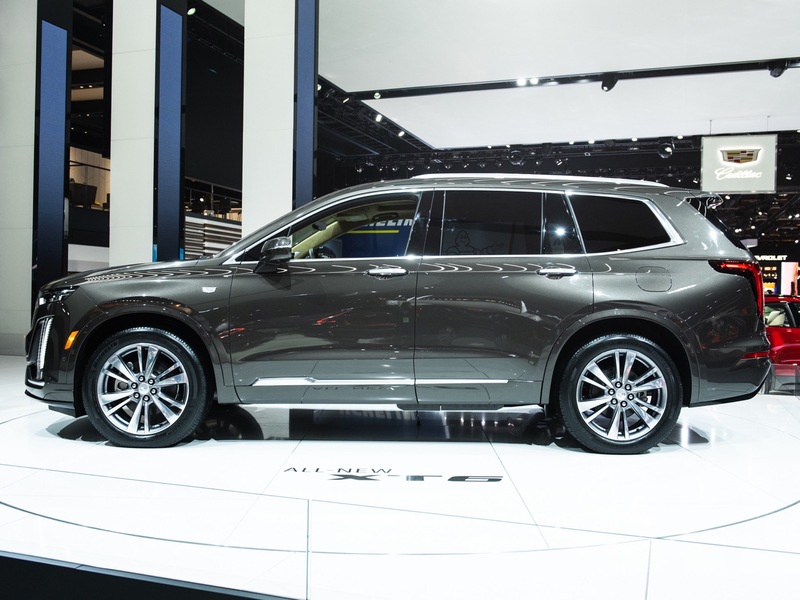 The Chinese LOVE Buick’s and Cadillacs because of their history, which includes the Fleetwood. Everyone on the planet knows what a Corolla and Civic are because the keep the name for each new generation. THEY are icons! 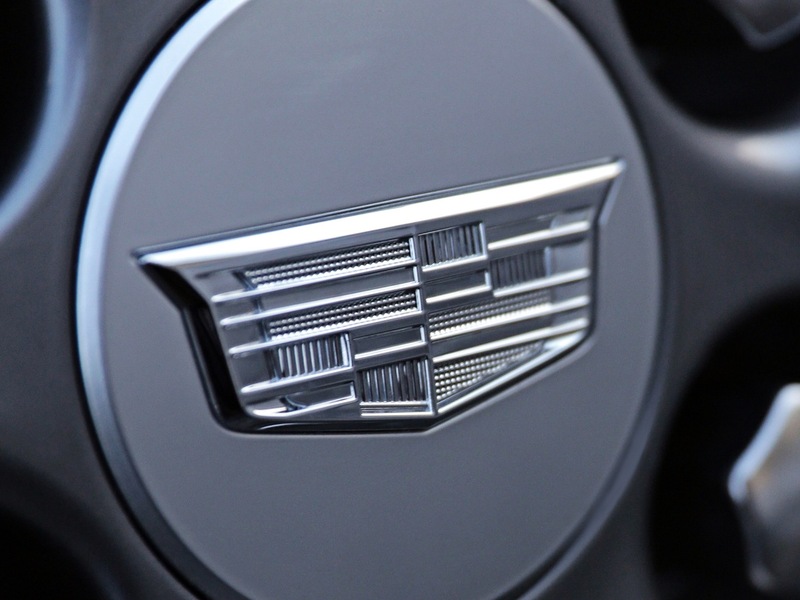 All the new Cadillacs need to go back to names which have nostalgia and meaning. Poorly made does not equate to standard lower trim for that matter. 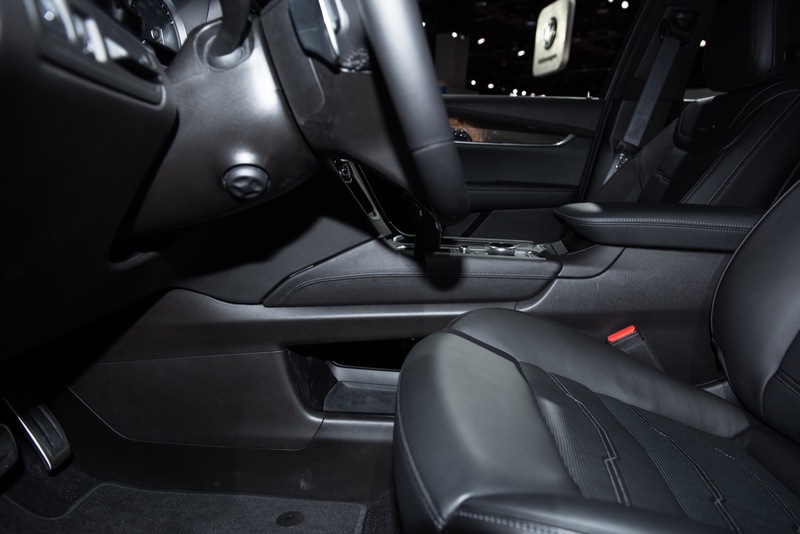 You can have higher quality trim pieces and materials with poor fit-n-finish in the cabin. 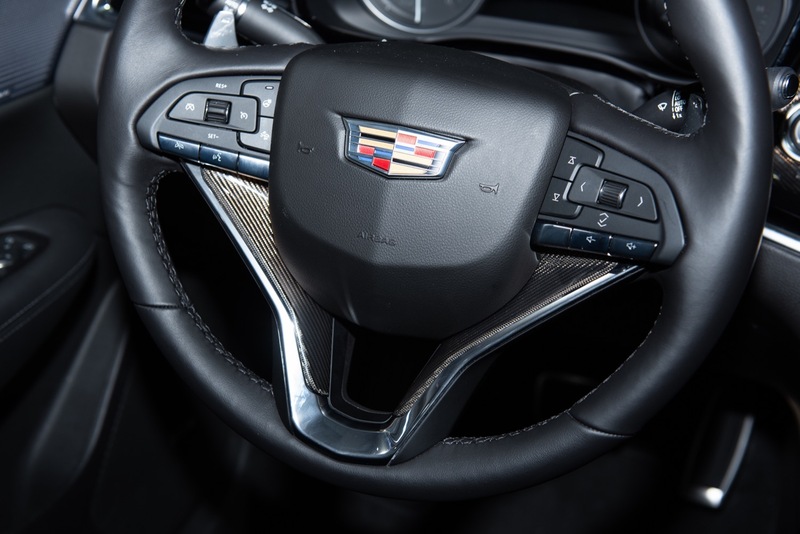 Cadillac received a lot of flack about the standard gauge clusters, but no one complained about them being defective. The gauges were reliable while easy to navigate without a concern to read the manual to operate them. 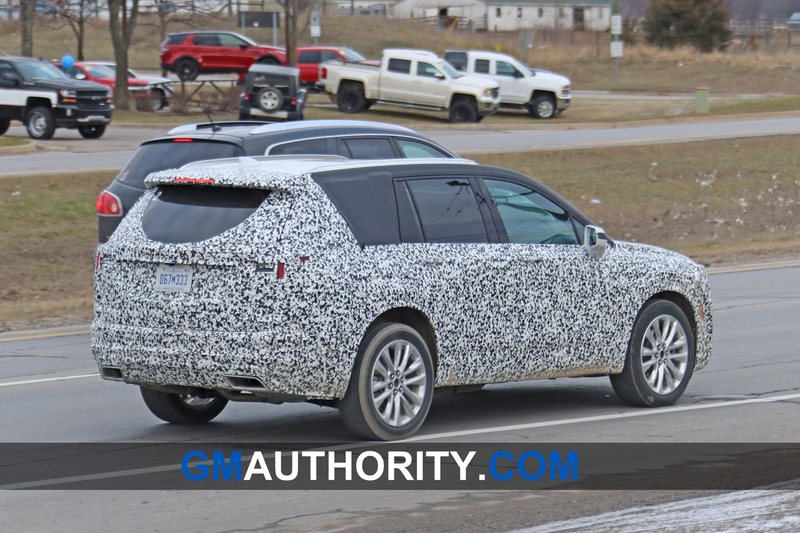 lifelonggmowner –I seem to realize wait your saying we have owned only GM Oldsmobile’s that were all great no big issues . 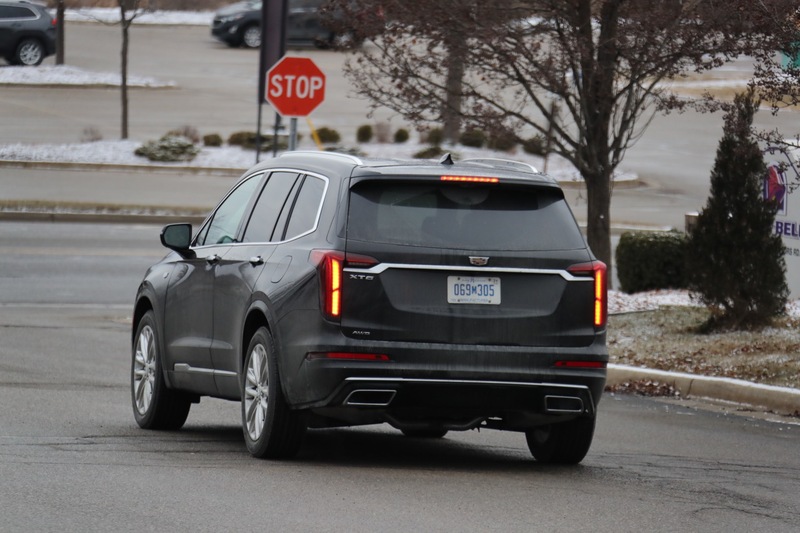 now a 2010 lacrosse and 2018 xt5 luxury ,no directional mirrors no puddle lights-plastic interior door panels- no chrome wheels – no cornering lamps ( only part on additional package including nav ,cost almost 2k ) . the lacrosse is better equipped . 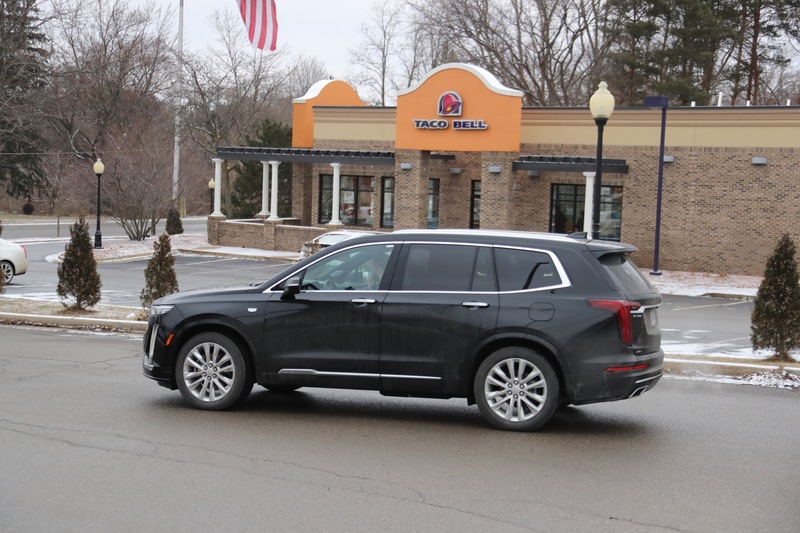 GM cheaped out on the xt5 , but it is a outstanding vehicle . we will still only own GM . 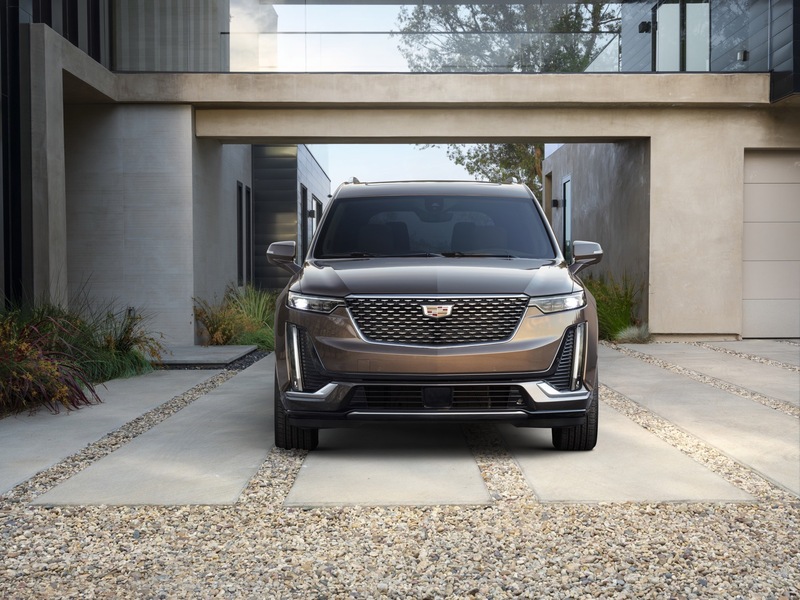 The end of this very successful automotive sales cycle is going to cause the demise of Cadillac. 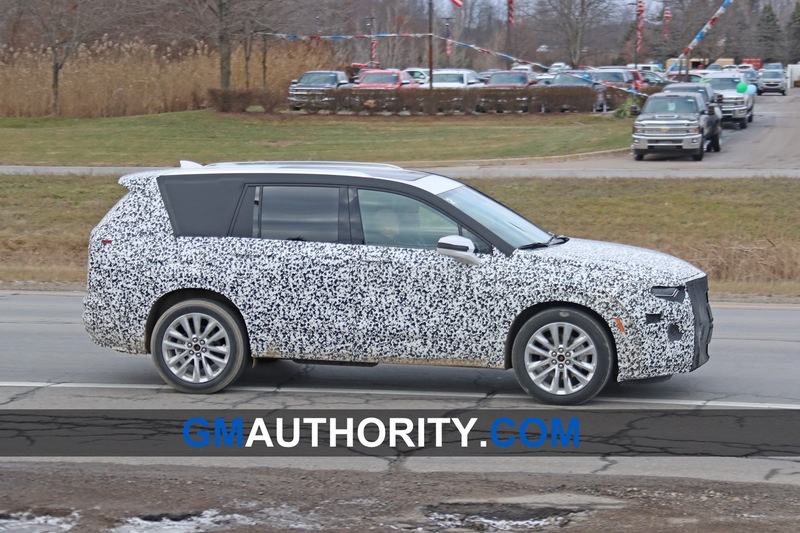 GM is already posturing for labor negotiations by unallocating all these underutilized plants and tightening it’s belt by offering re-badged cars as Caddies. The decisions are all economic and not based on keeping the brand exclusive. 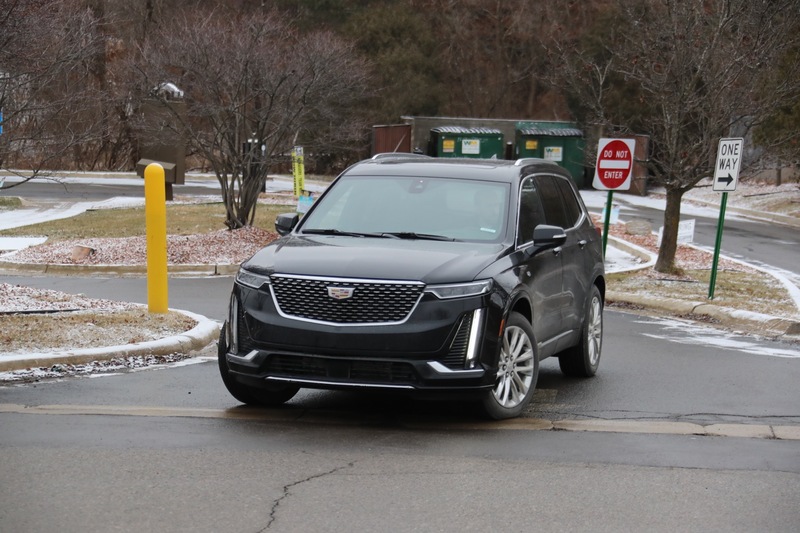 I worked at Lordstown for years – so I know GM to a degree… and my personal belief is that the only way to create the Cadillac mistique is to dedicate a plant to Cadillac products. 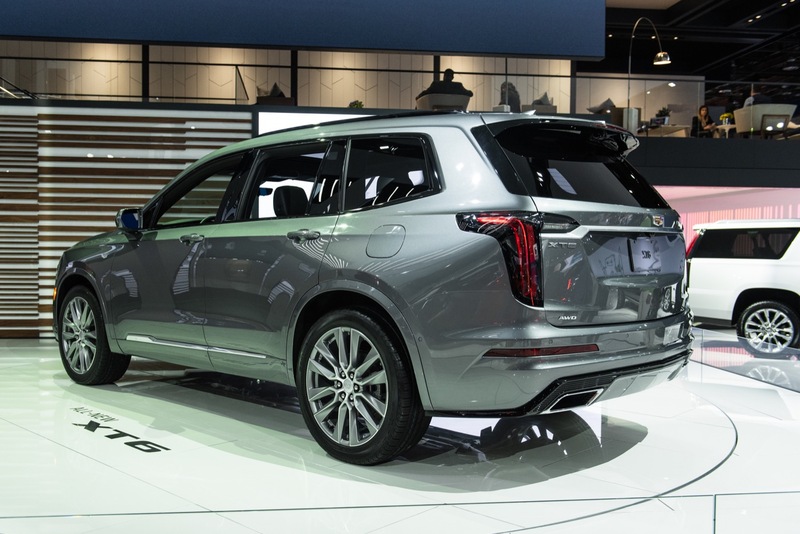 I know that makes no fiscal sense … but there is absolutely no way to market Cadillac as anything special. 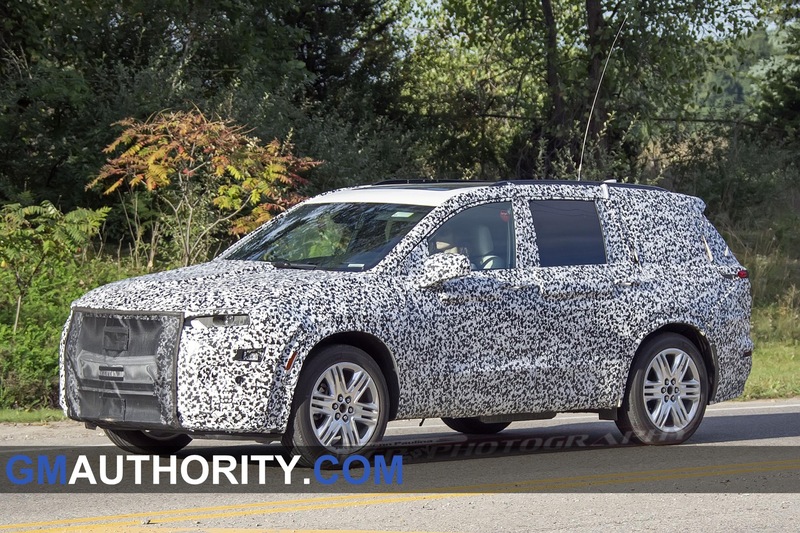 The SUV should be built on the same platform as the Caddie Sedans. Johan thought moving the HQ to NY did that… but that didn’t make the product special. Yes! Bravo. 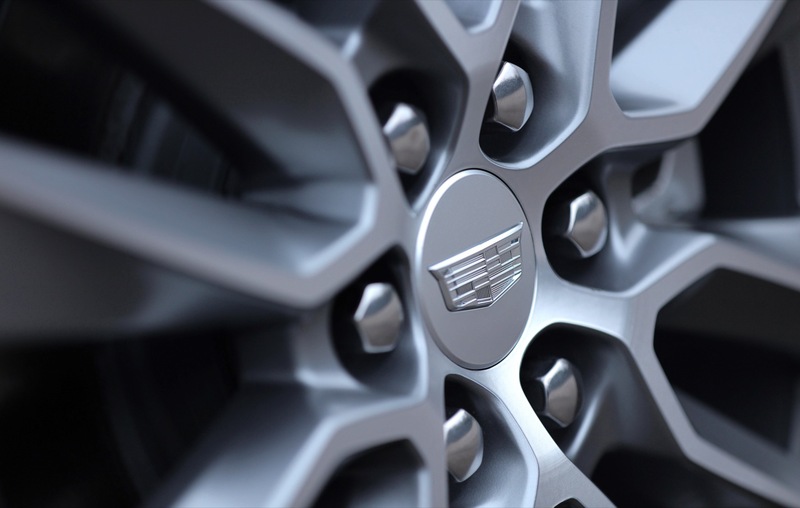 Luxury cars are sold on image and GM needed to create an aura around the Cadillac brand. Take what GM did with Saturn and Spring Hill and multiply it times about ten. 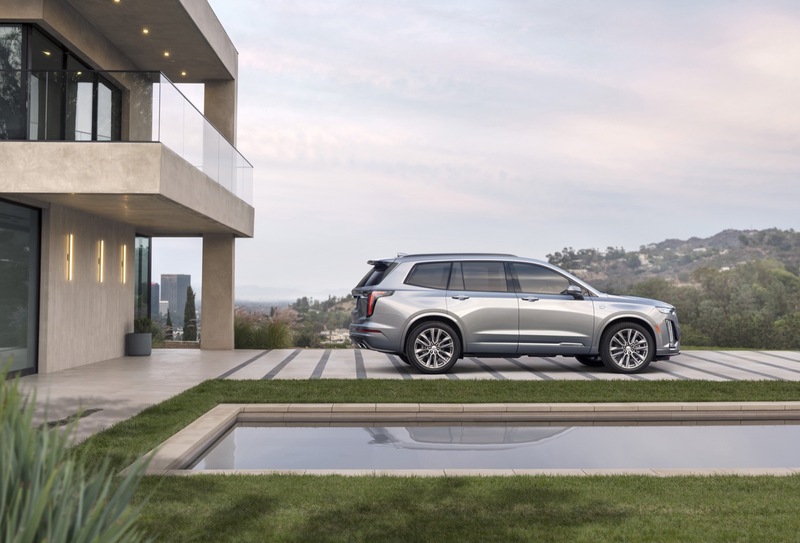 Cadillac needed a home that would be one part automobile plant and one part mythological birthplace/shrine. Say the word Maranello. What is conjured up? Ferrari. Every Rolls Royce is hand crafted in Goodwood, England. A Bentley comes from Crewe. The Corvette has Bowling Green, Kentucky. 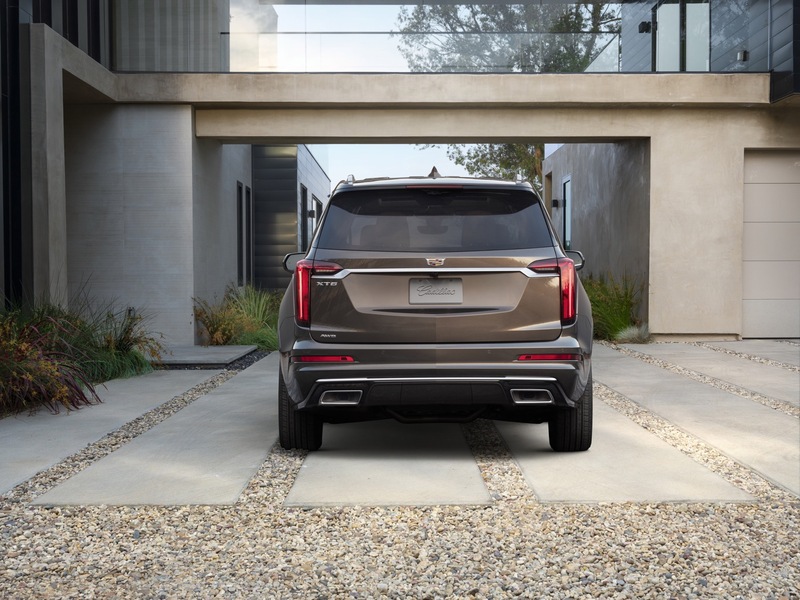 Cadillac needed a place from which to say their products came to life at the hands of artisans and skilled craftsmen. 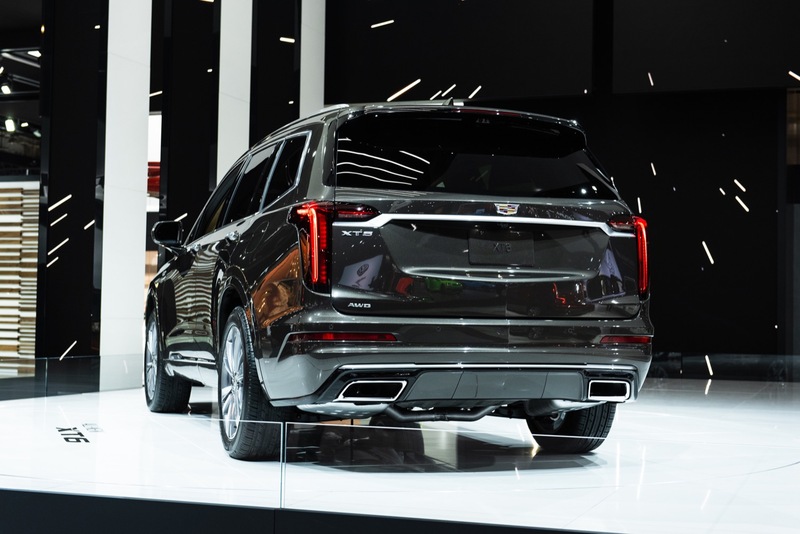 It’s all about creating mystique which Cadillac desperately needed to shake off the ‘Chevrolac’ perception. 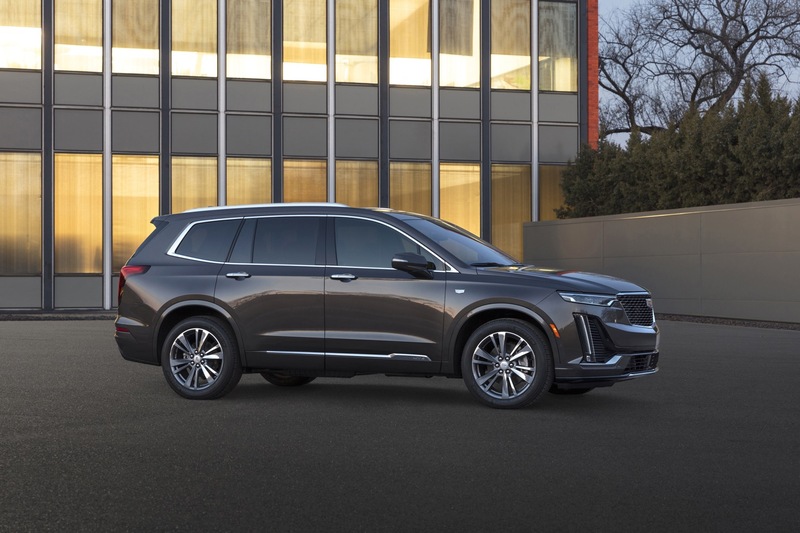 To be a Cadillac the vehicle needs to start as unique & not a rebadged Chevy/Buick. 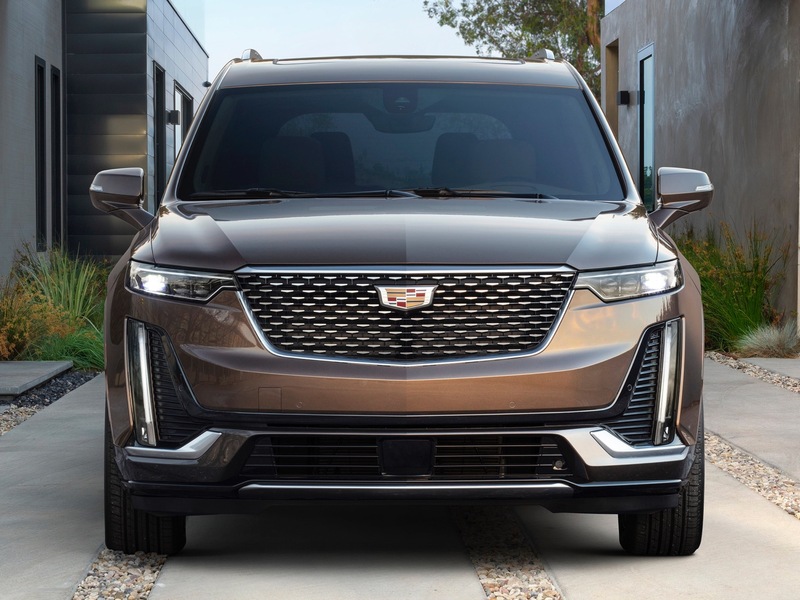 Cadillac has missed a golden opportunity to have a unique 3 row SUV, based on the CT6 power train/ chassis. This concept was erroneously determined to be incompatible, but re-evaluated to be feasible. 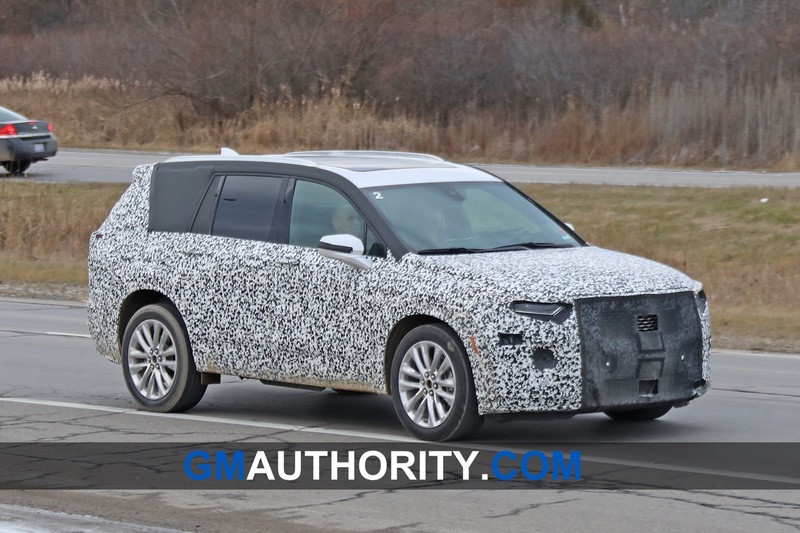 Such an SUV would compete with the Lincoln Aviator, but the upcoming XT6 will be left in the dust.